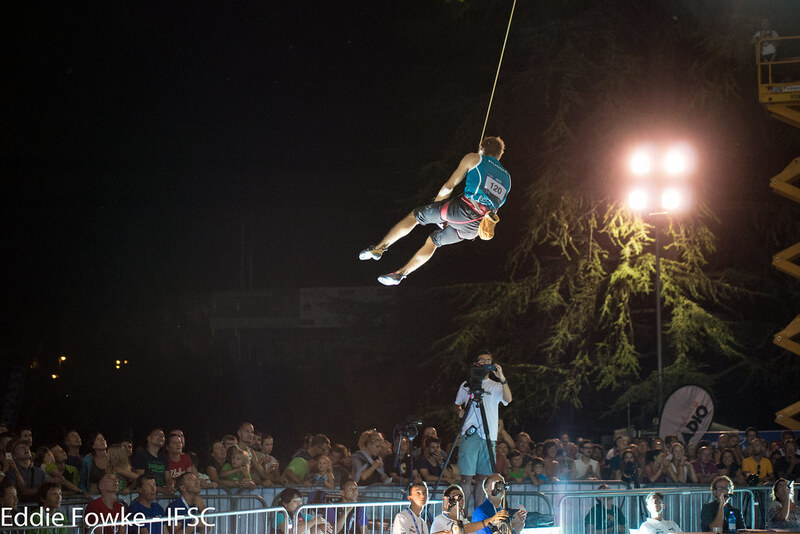 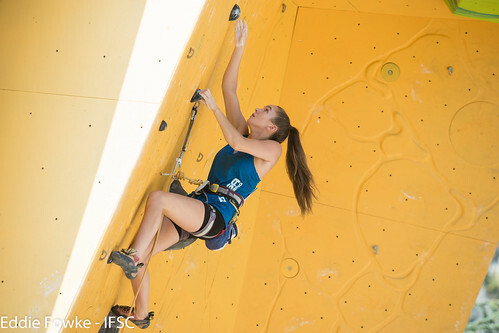 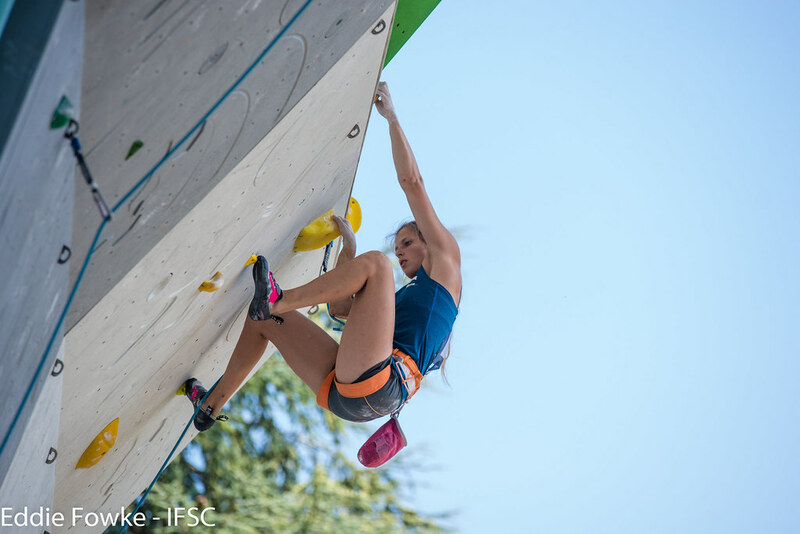 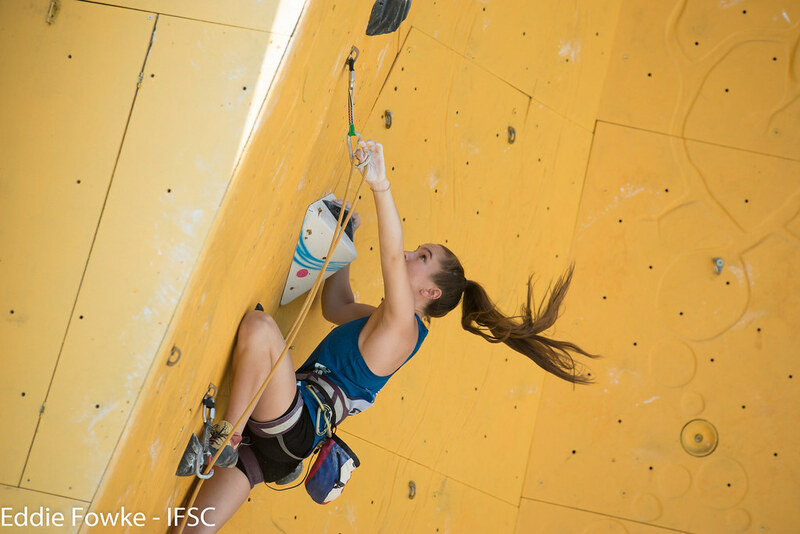 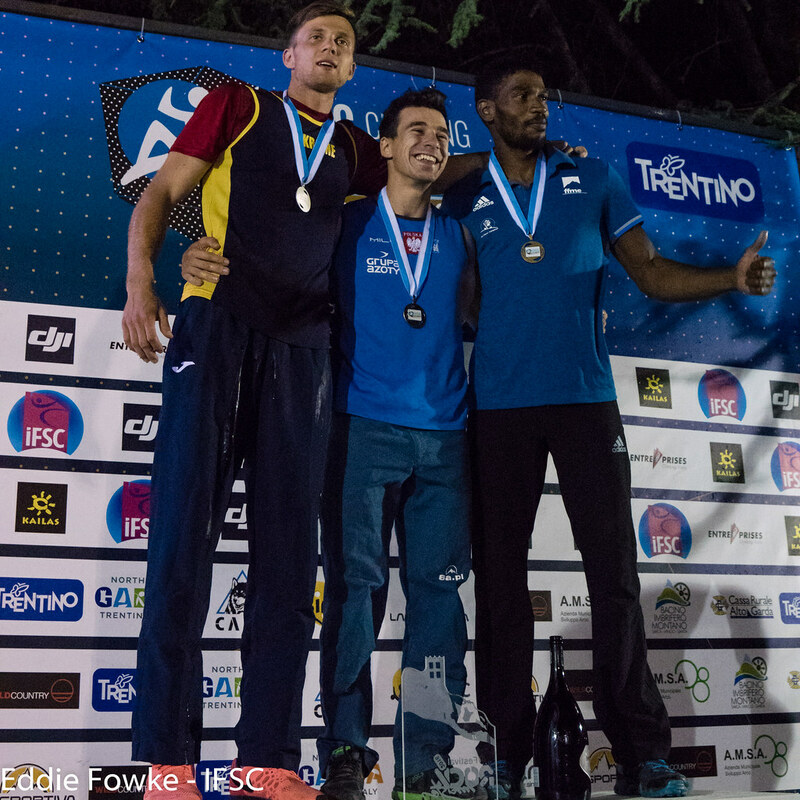 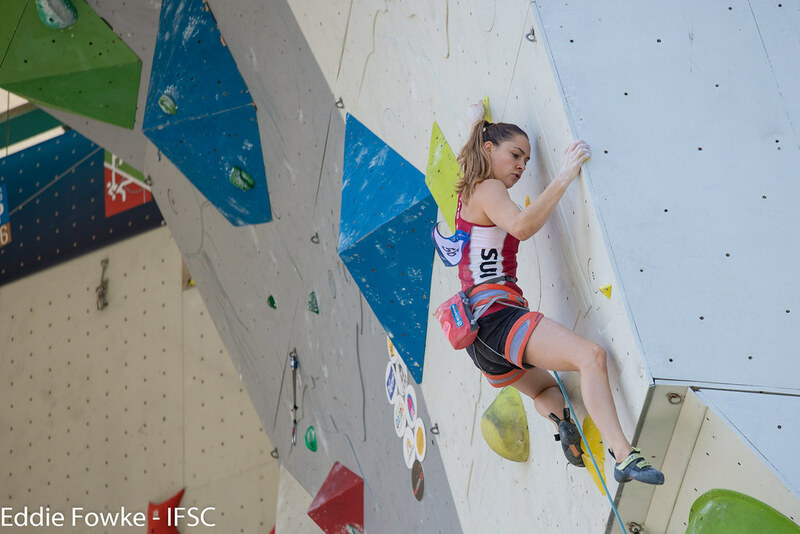 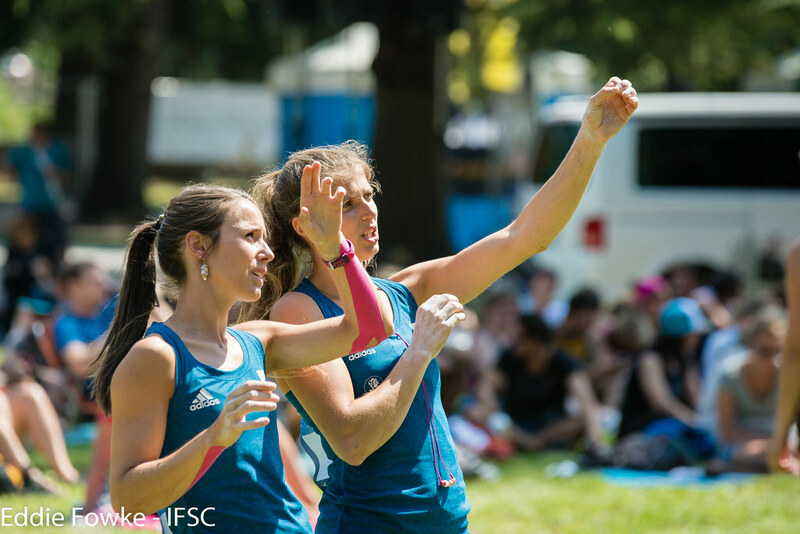 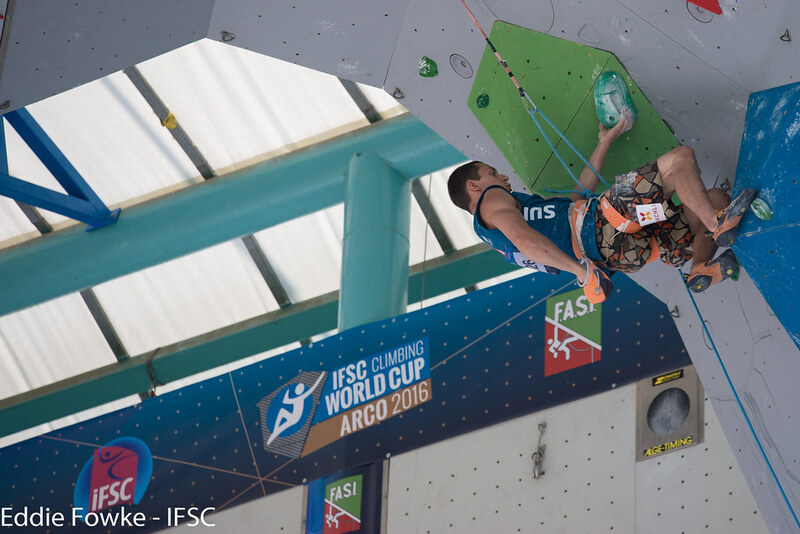 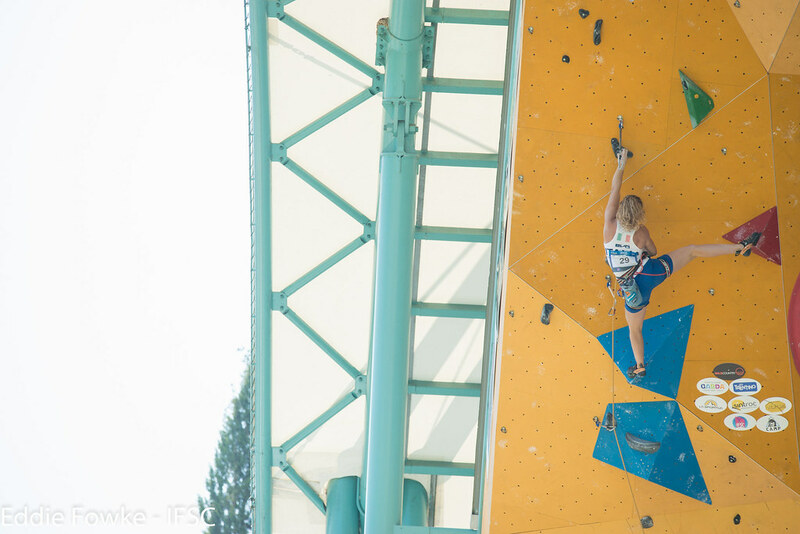 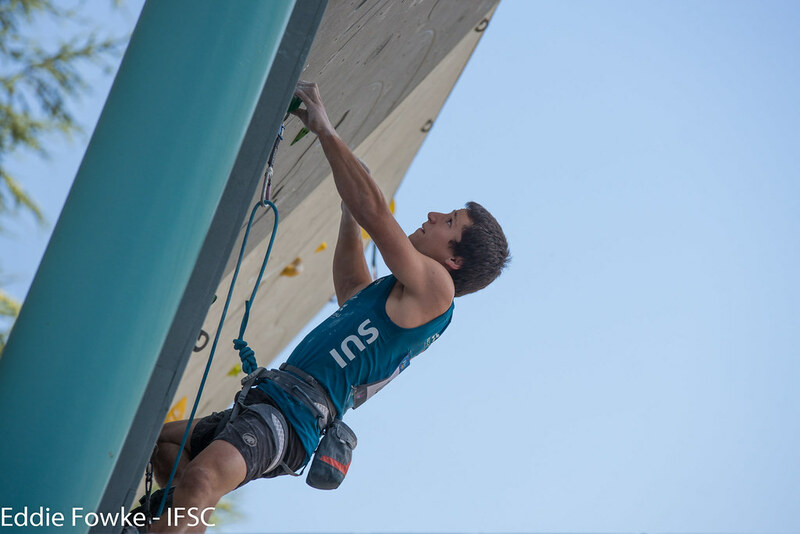 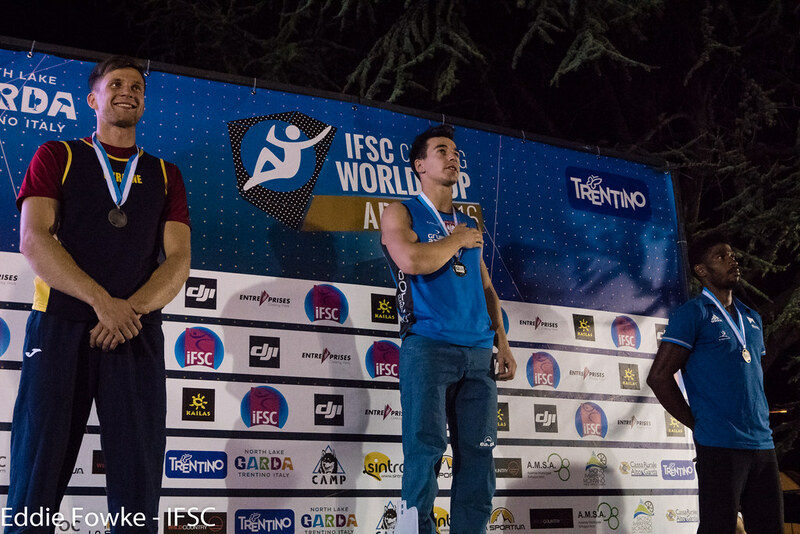 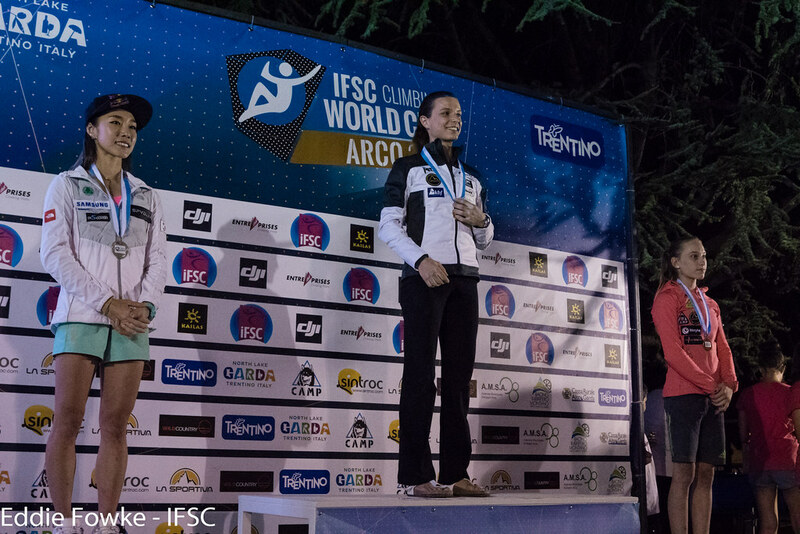 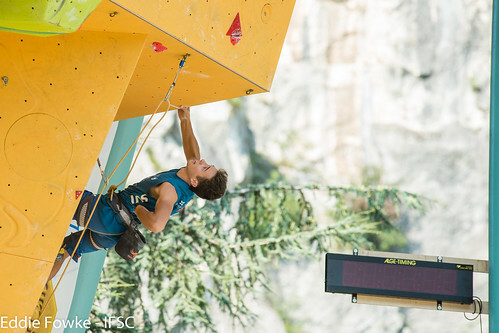 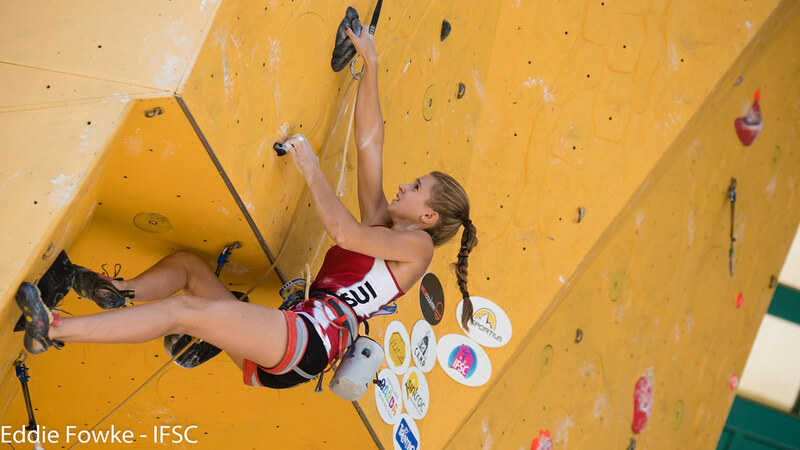 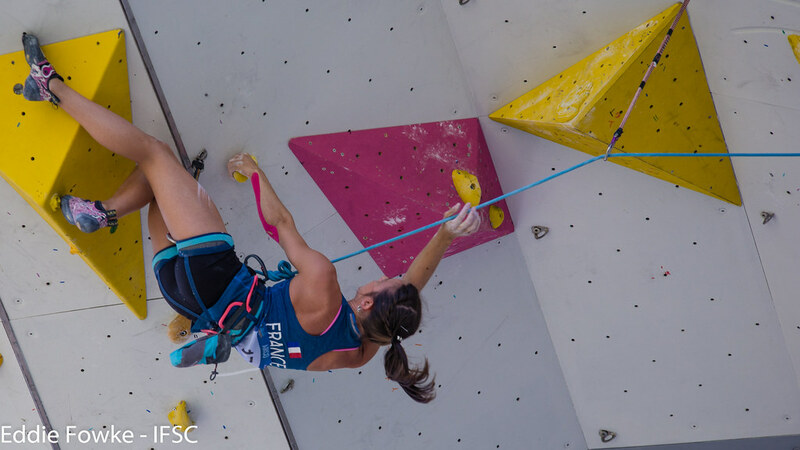 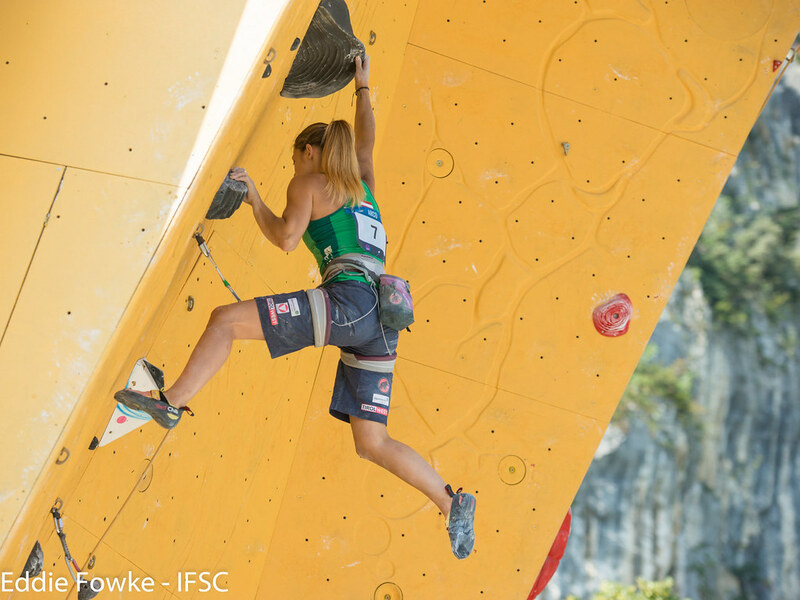 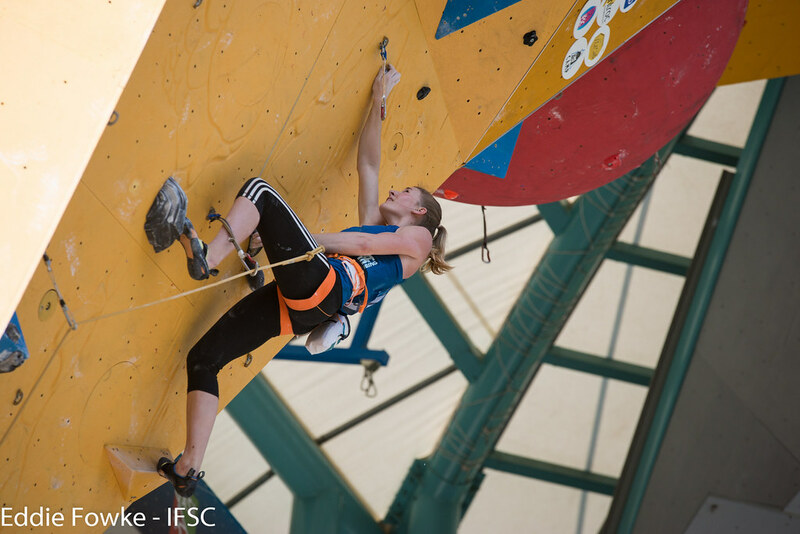 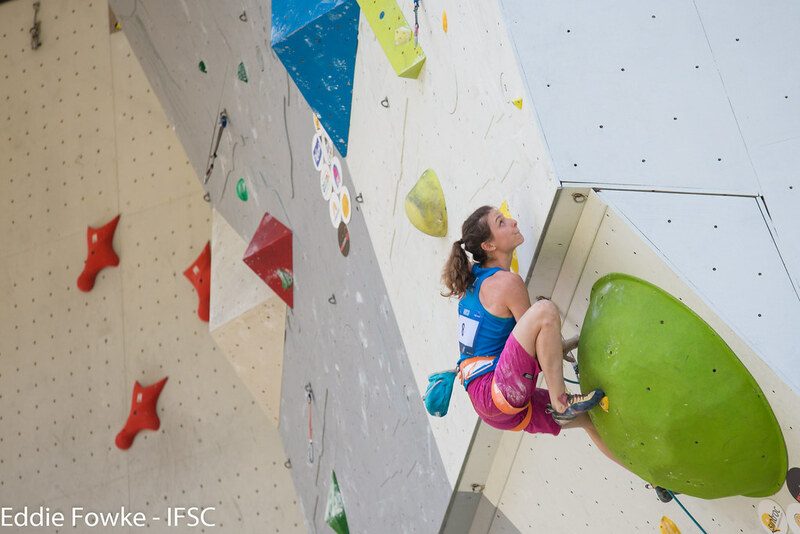 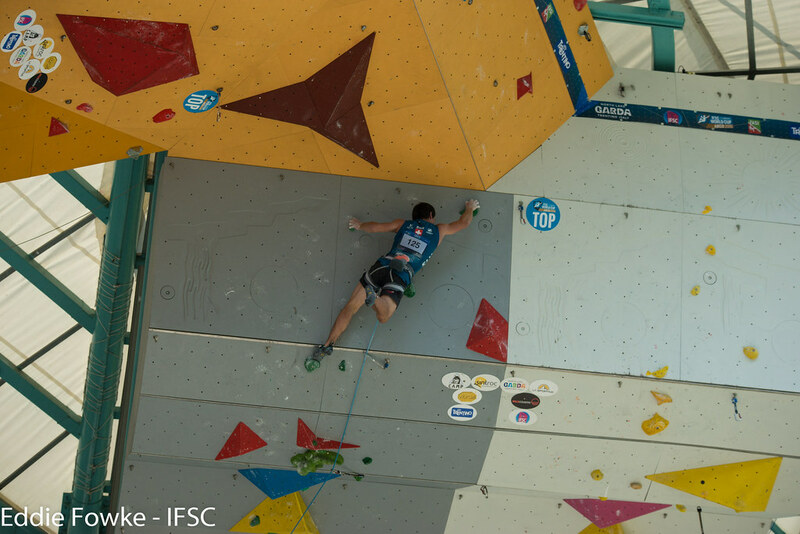 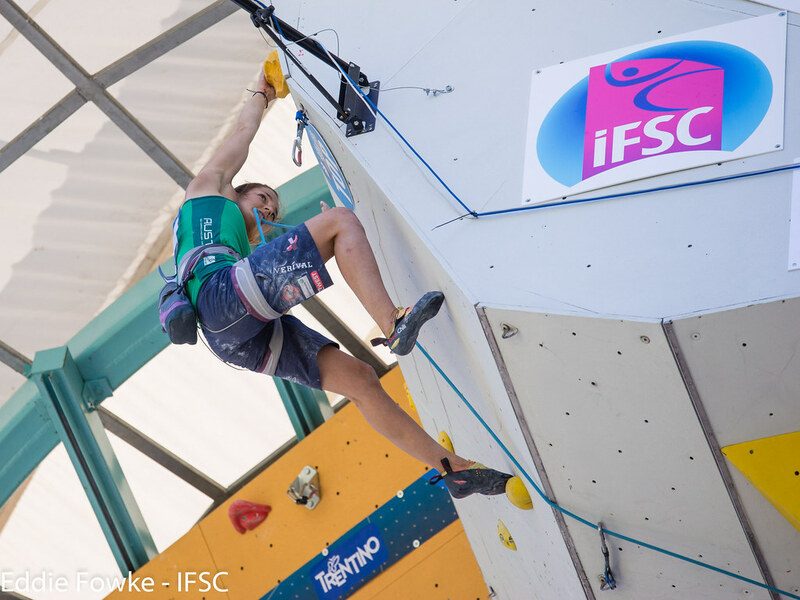 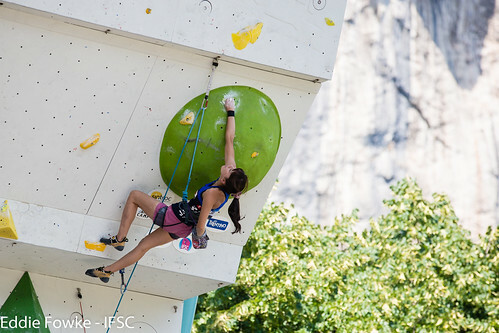 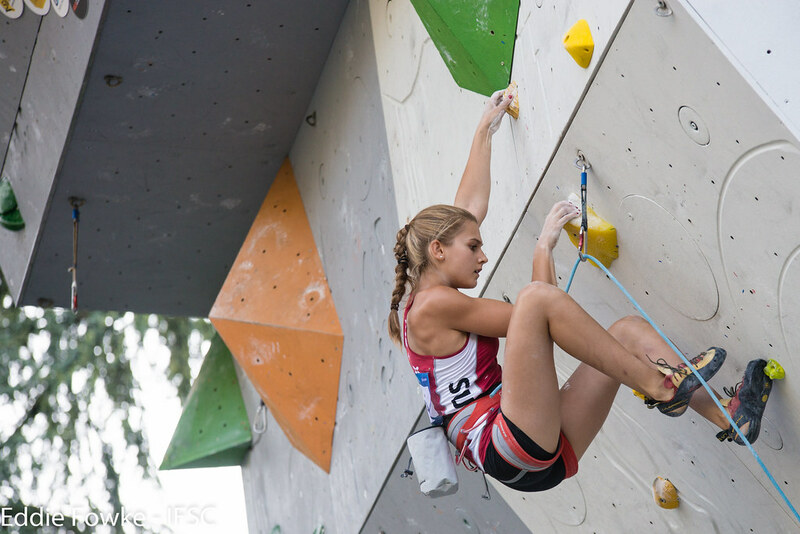 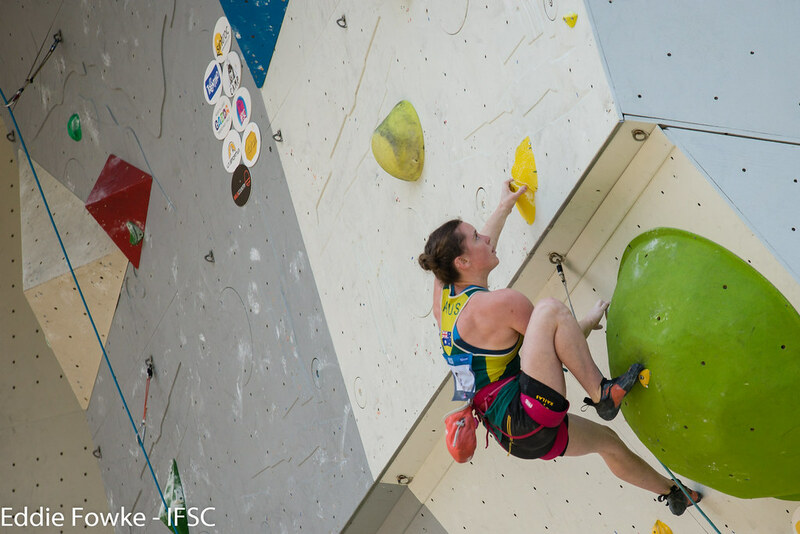 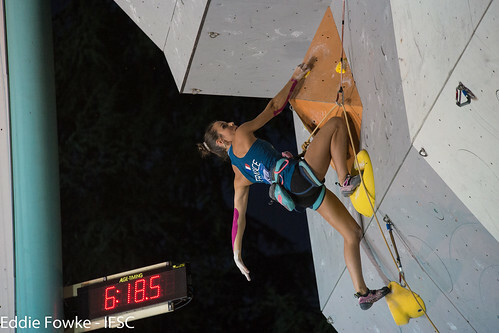 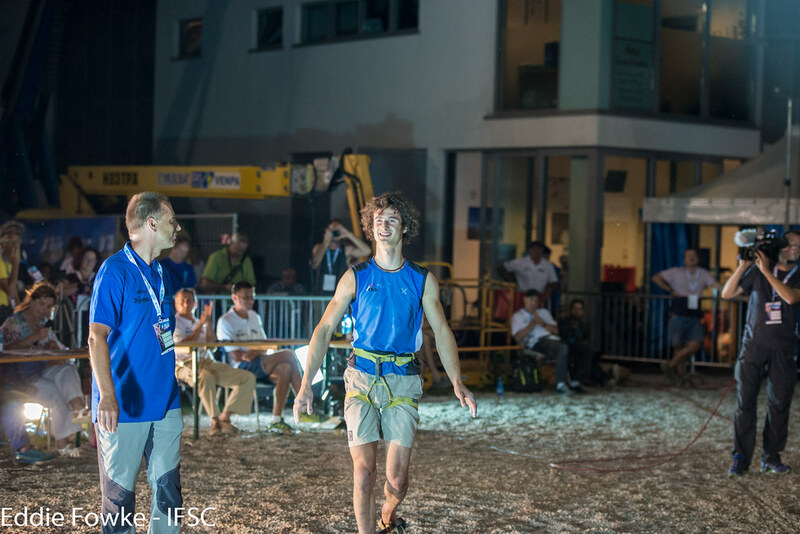 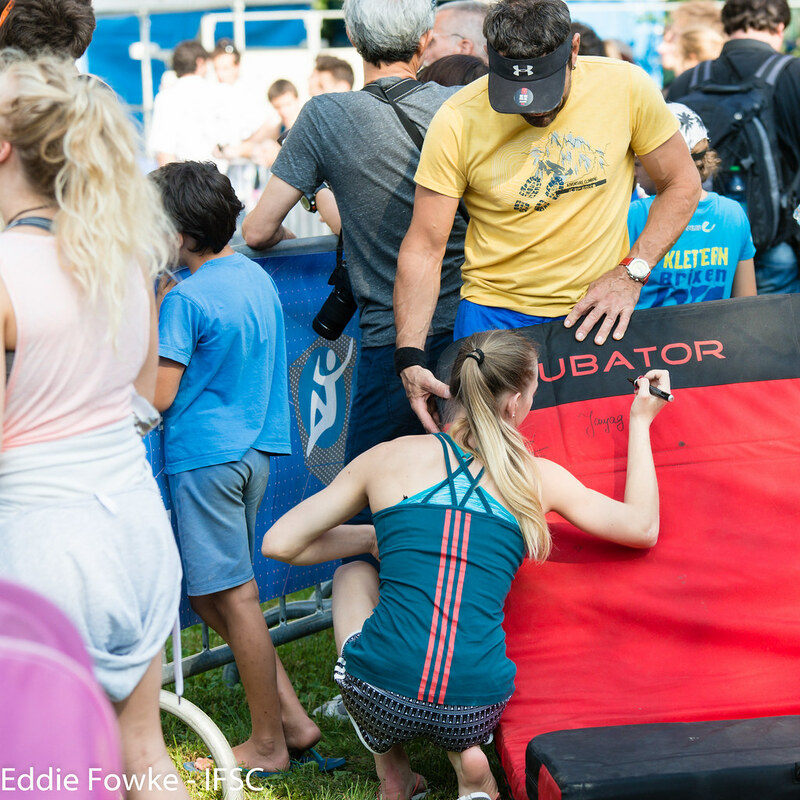 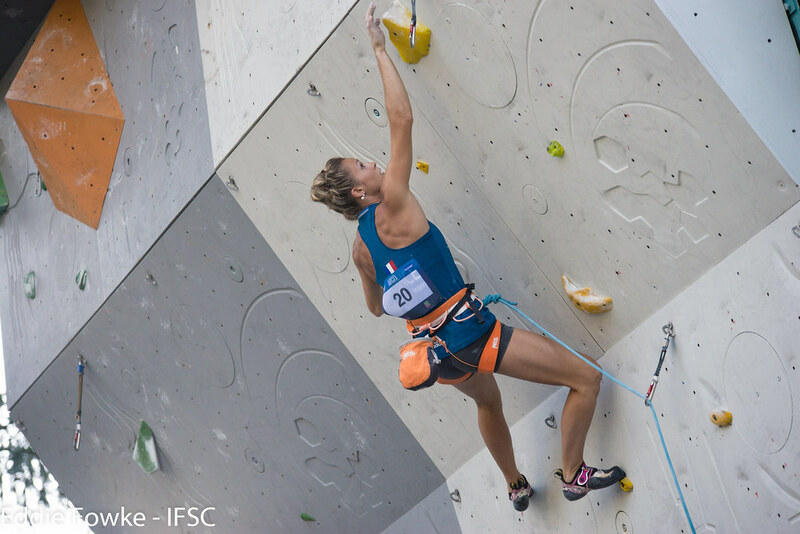 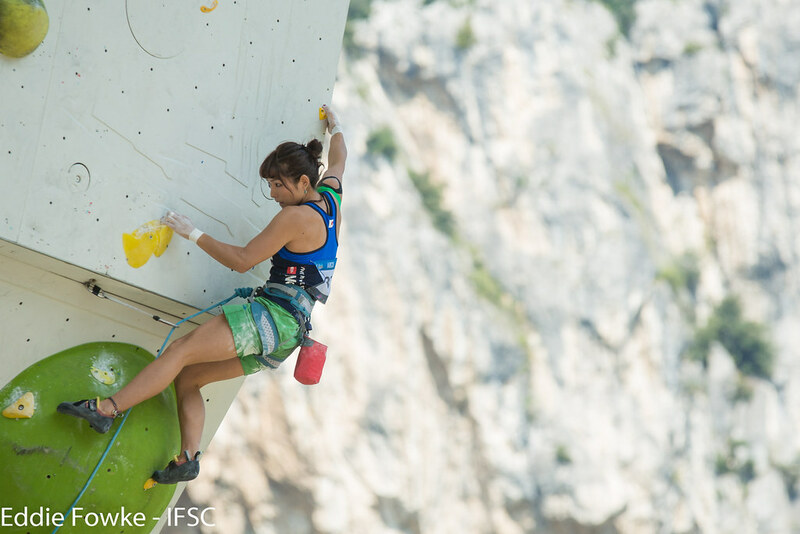 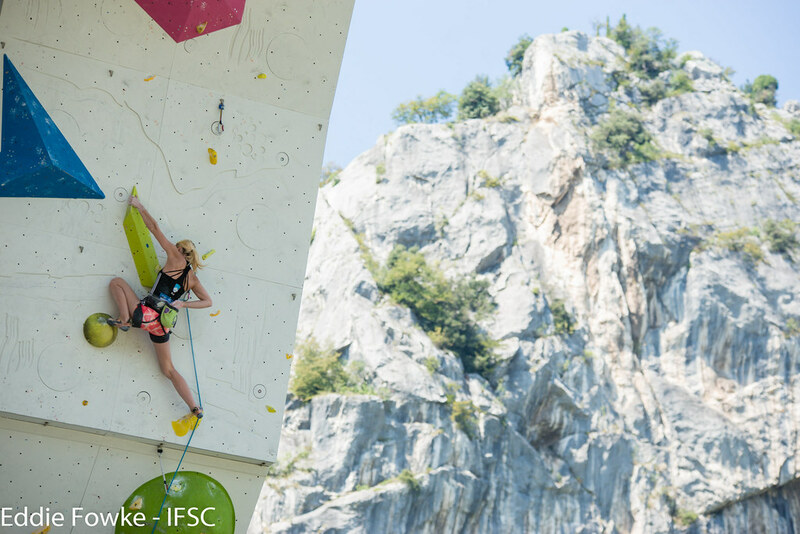 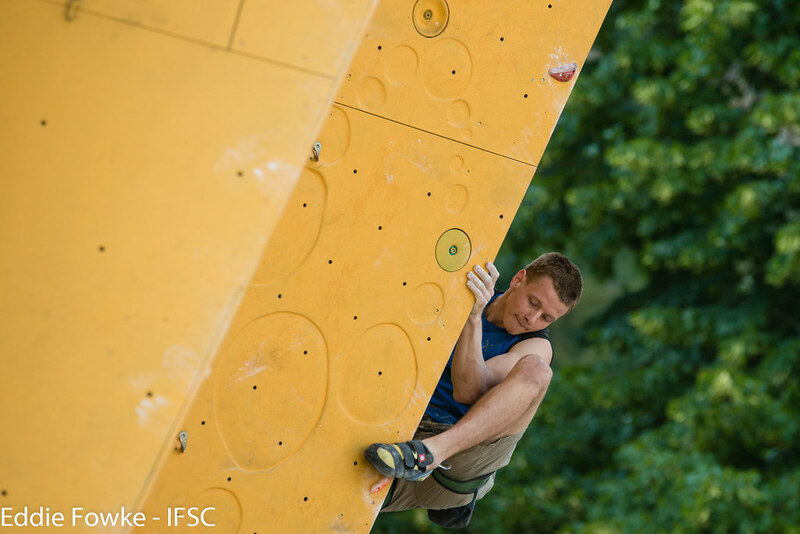 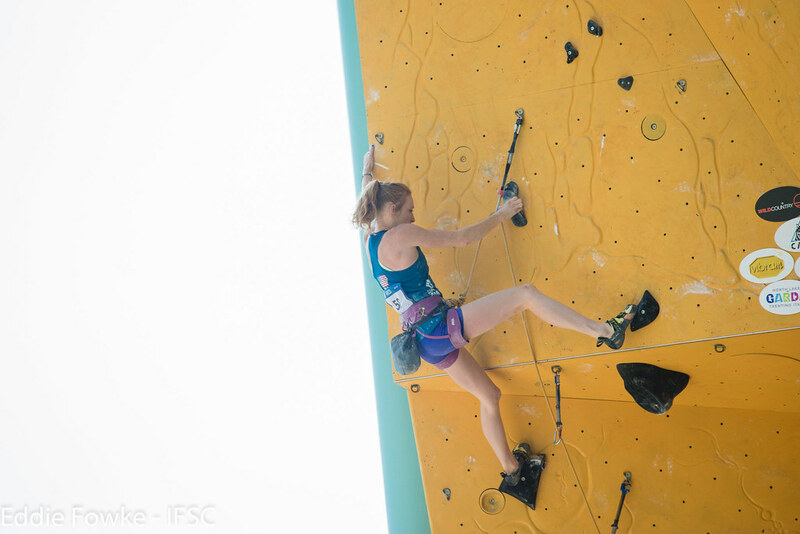 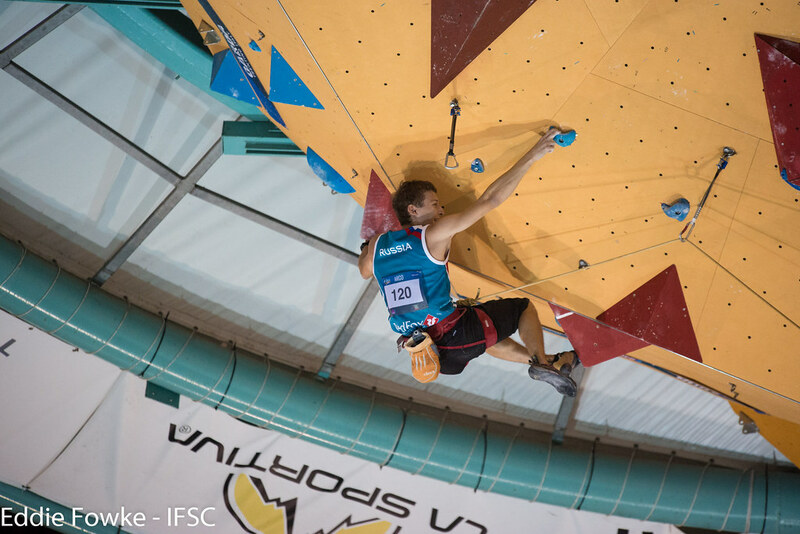 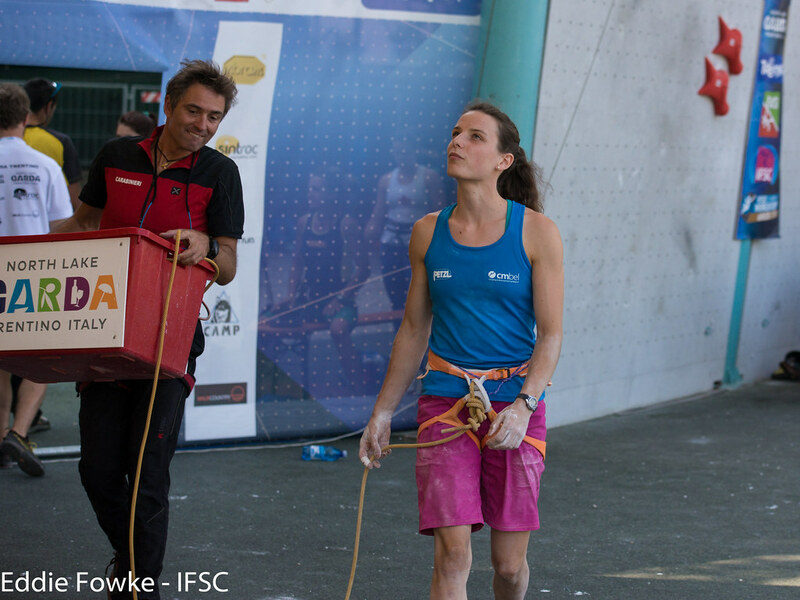 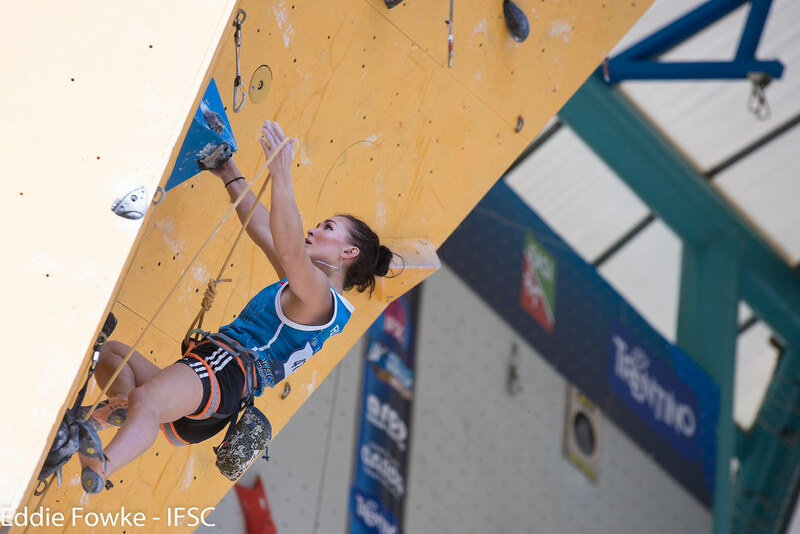 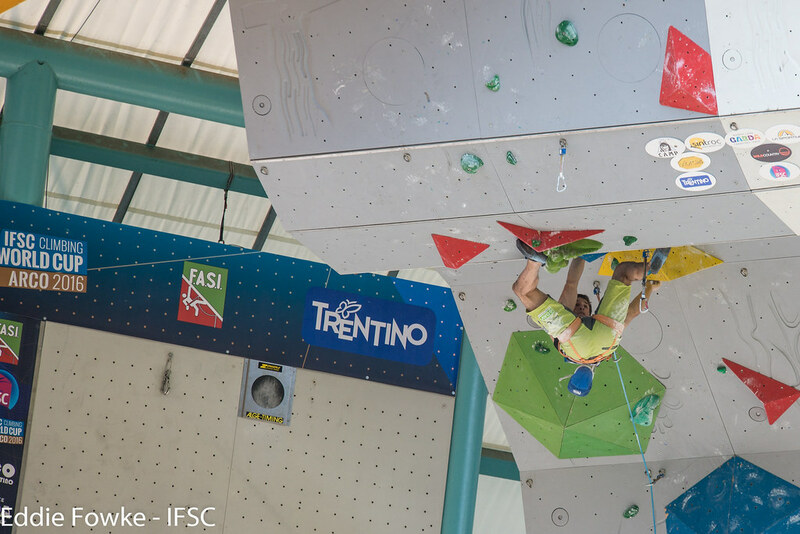 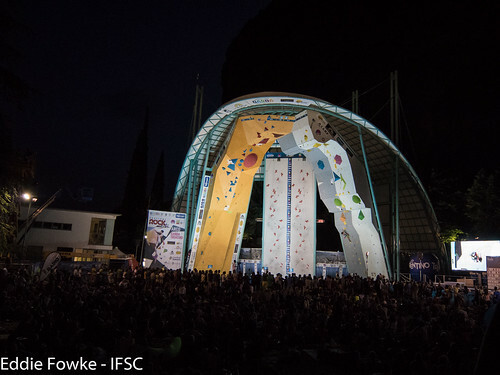 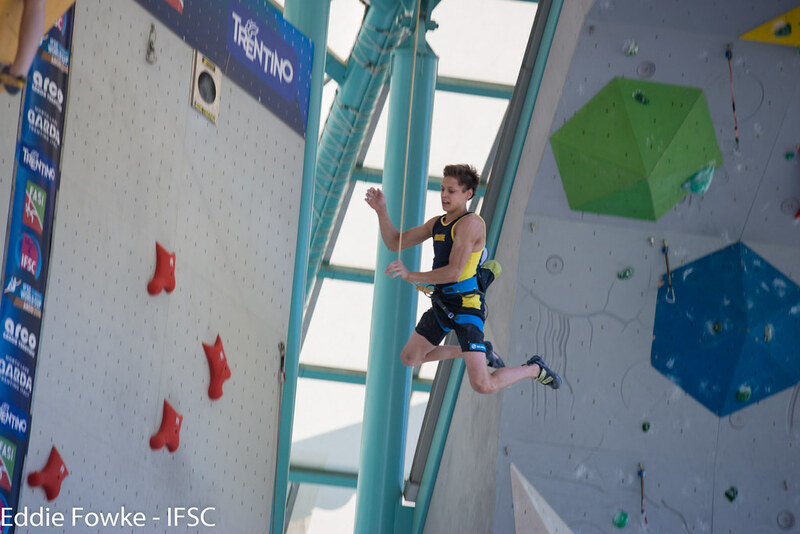 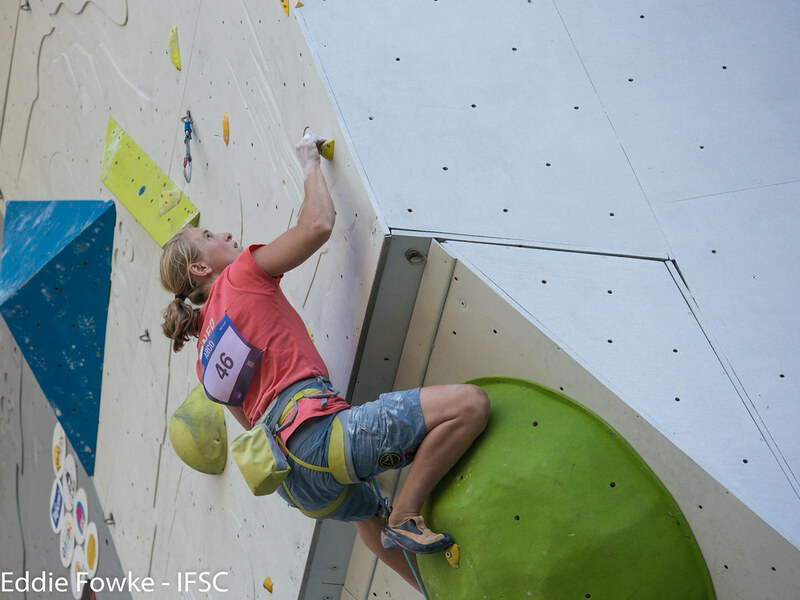 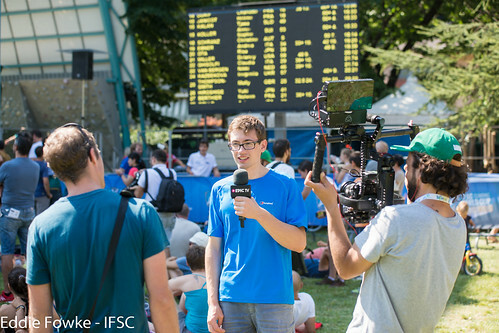 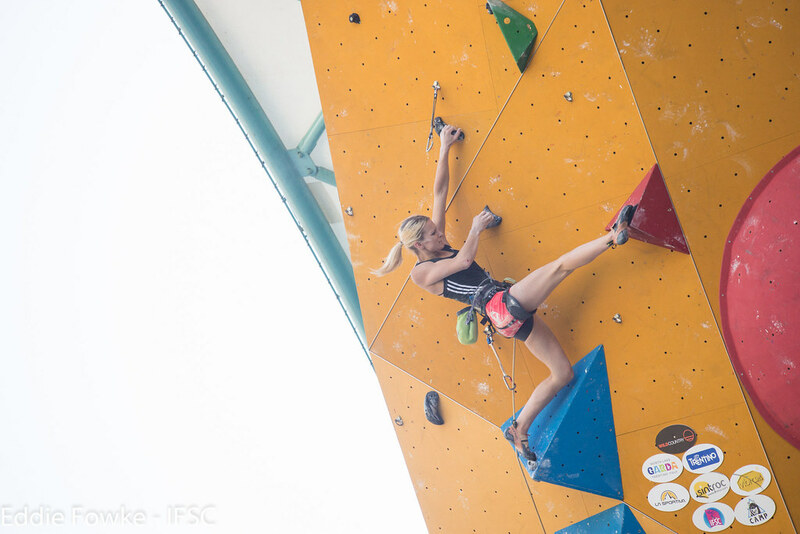 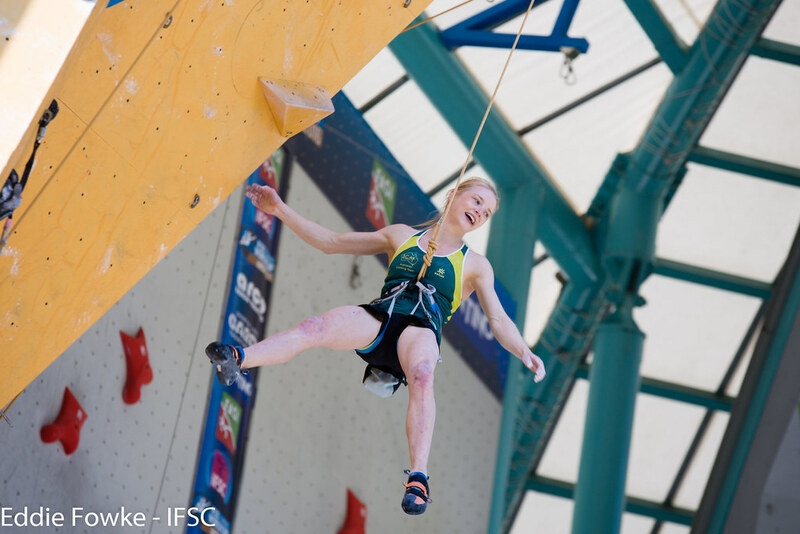 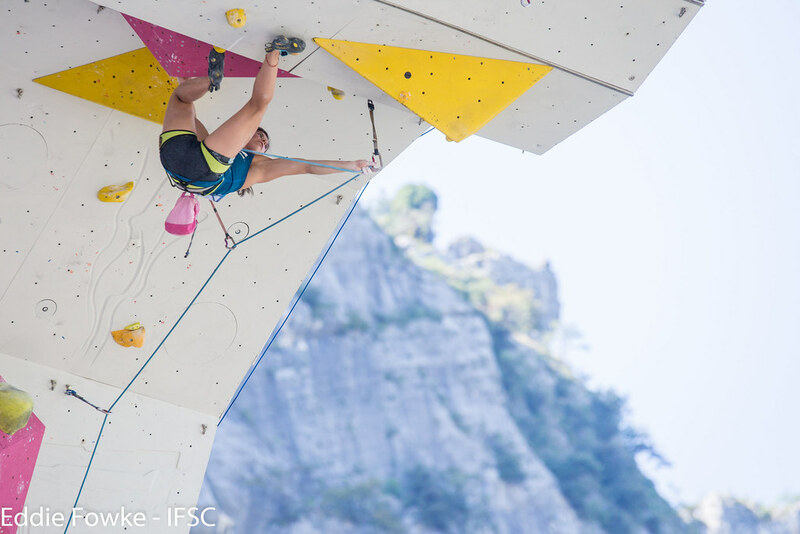 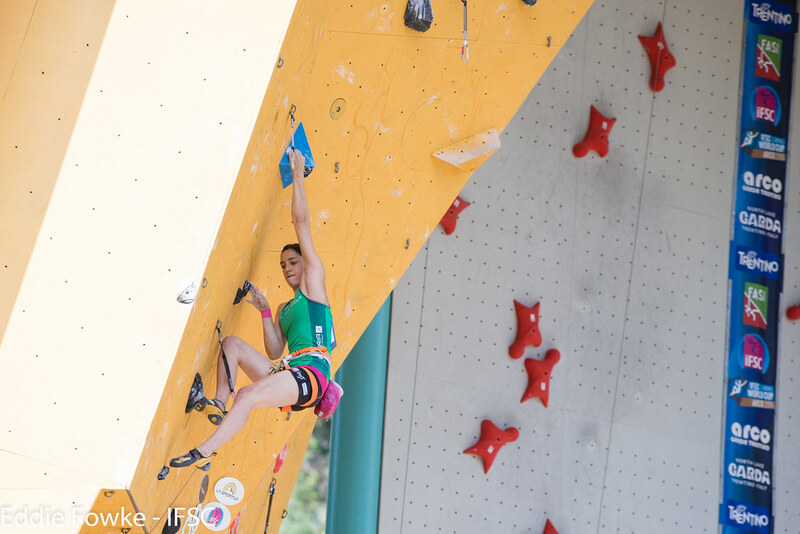 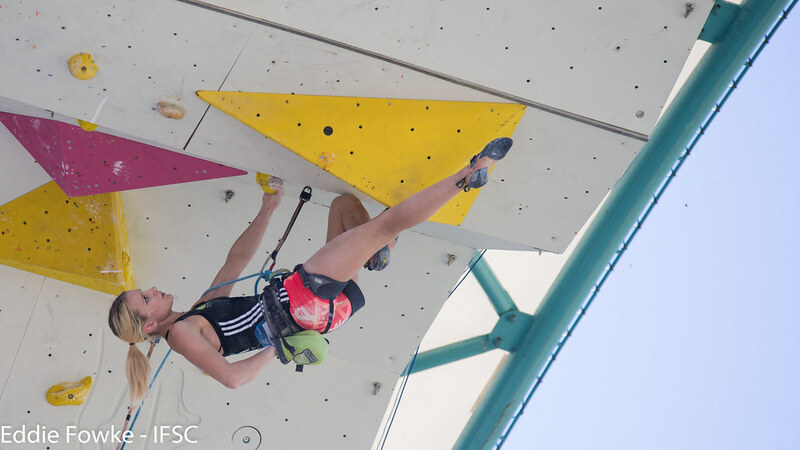 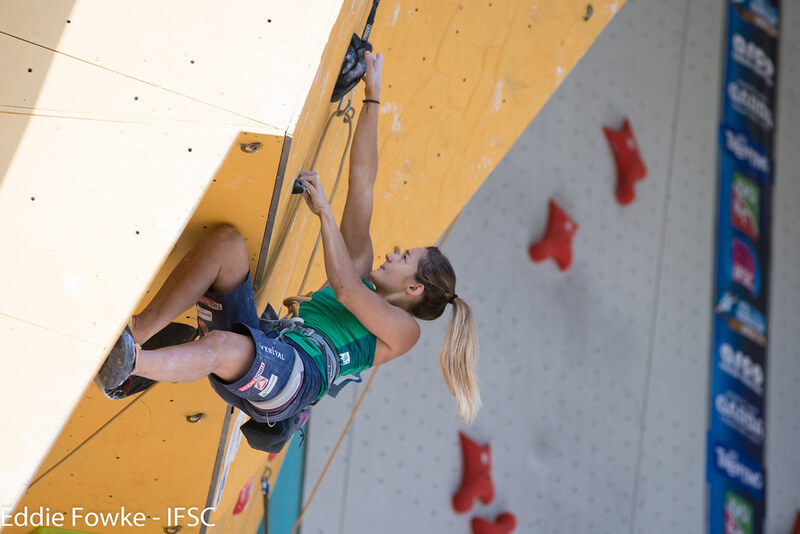 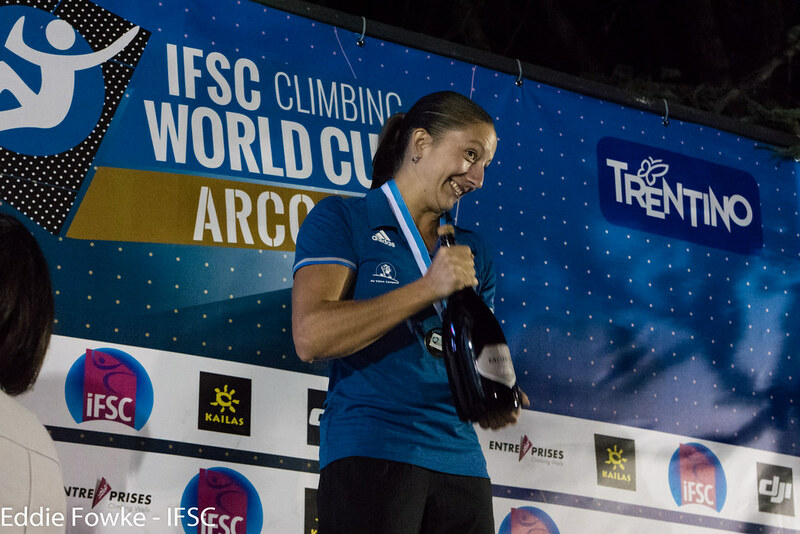 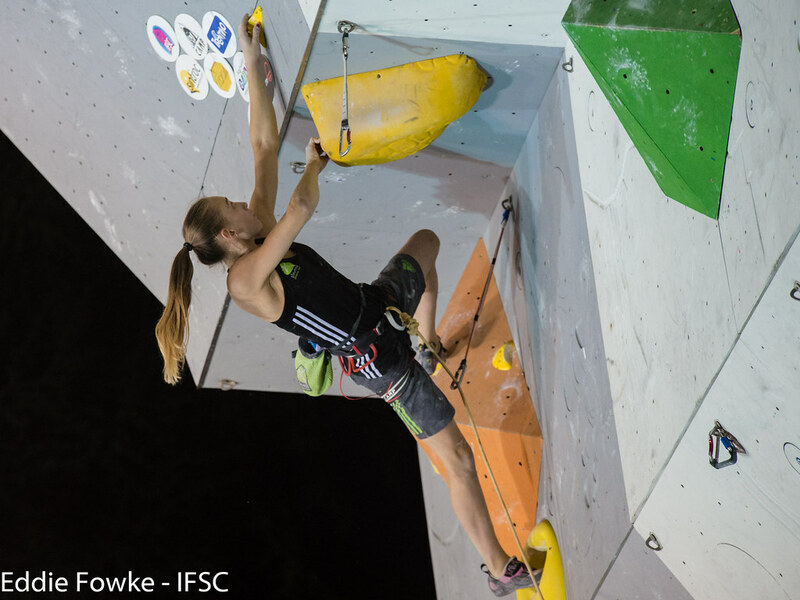 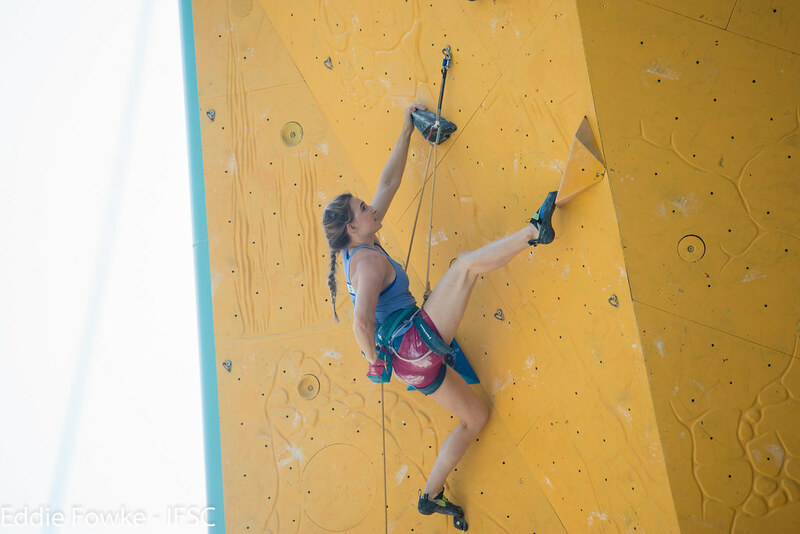 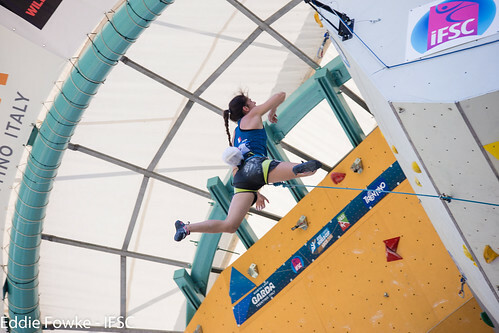 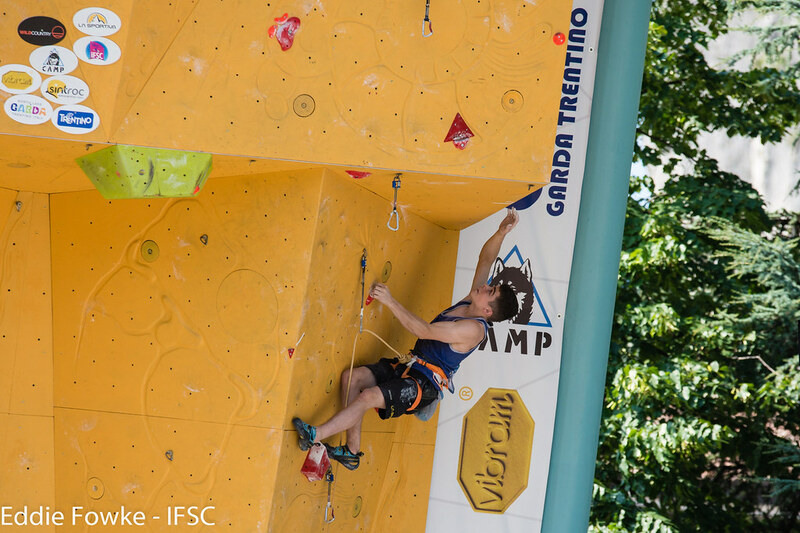 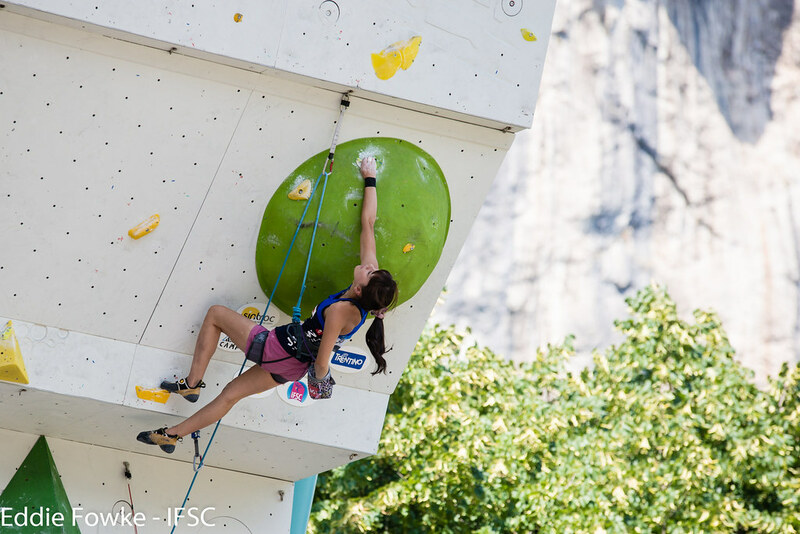 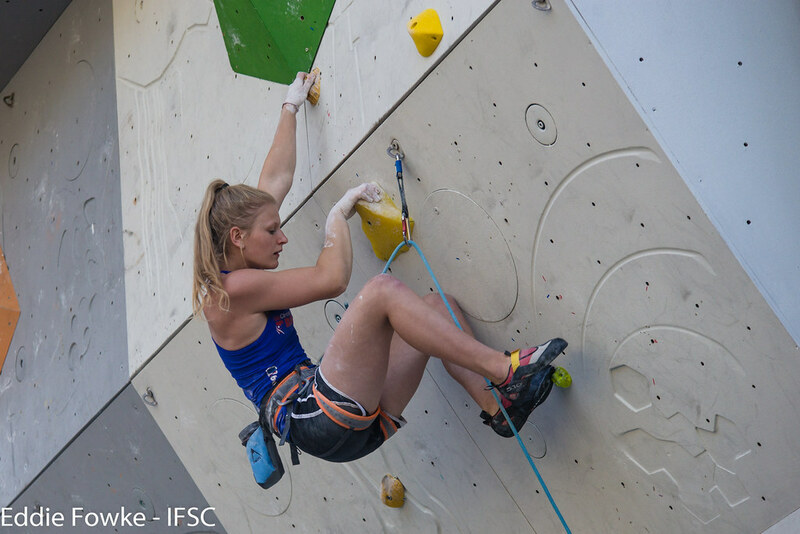 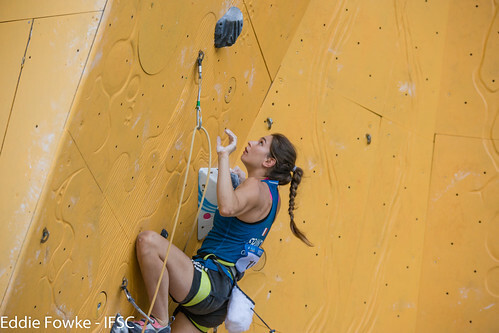 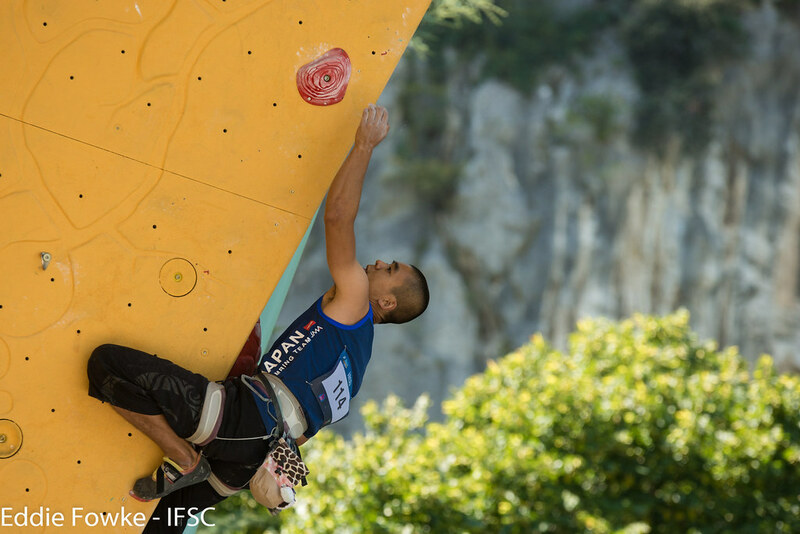 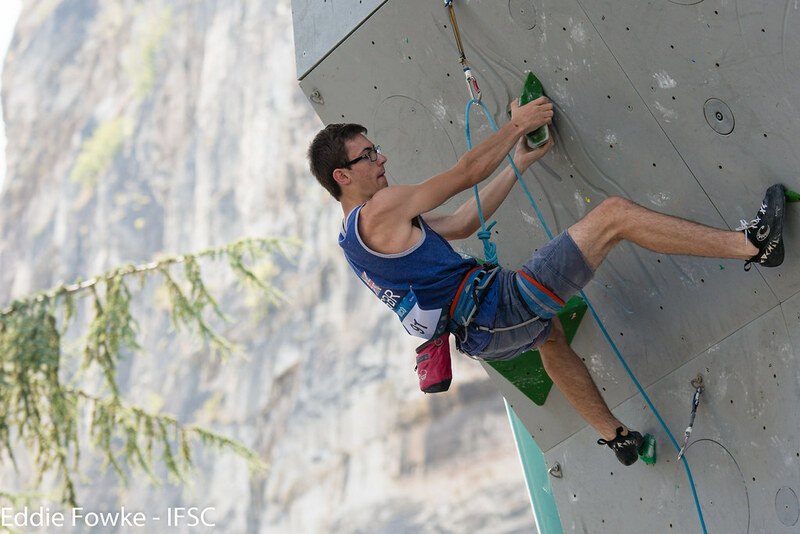 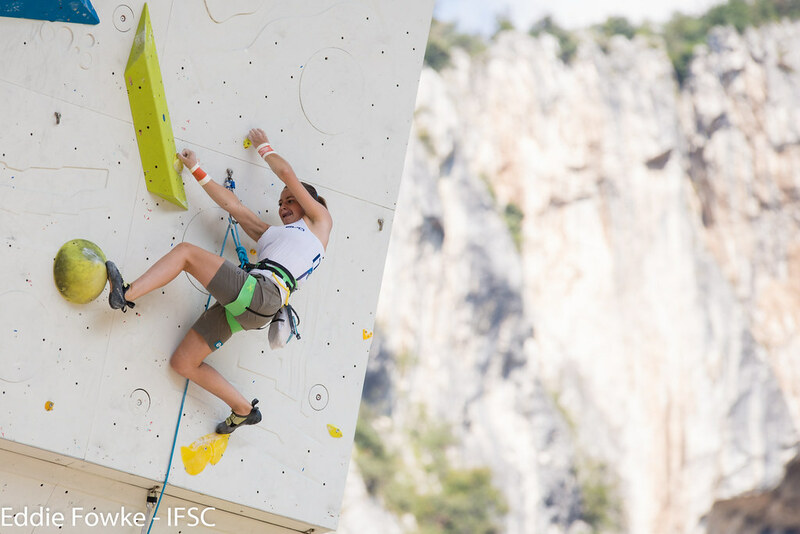 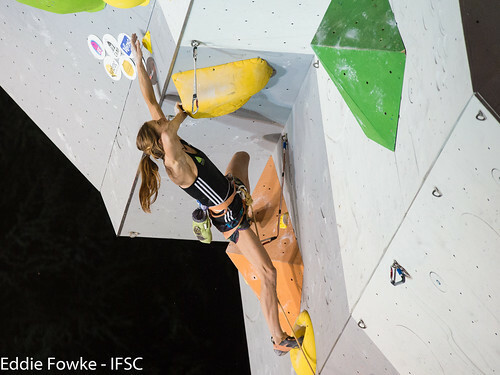 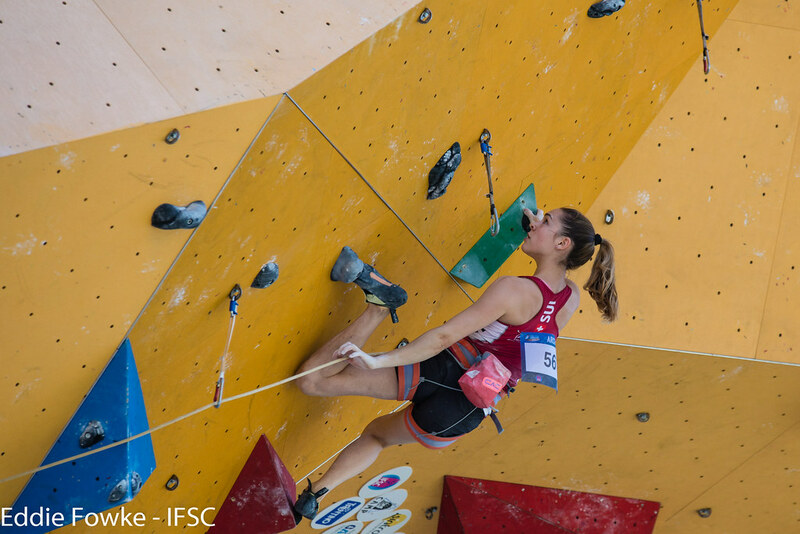 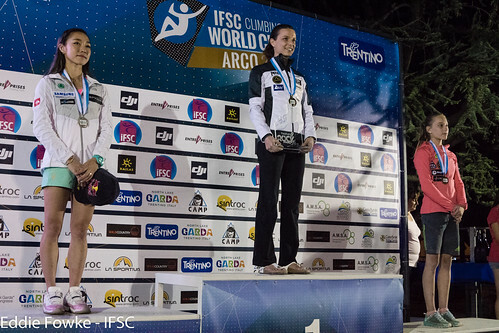 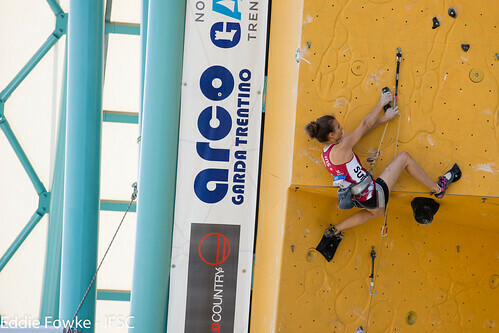 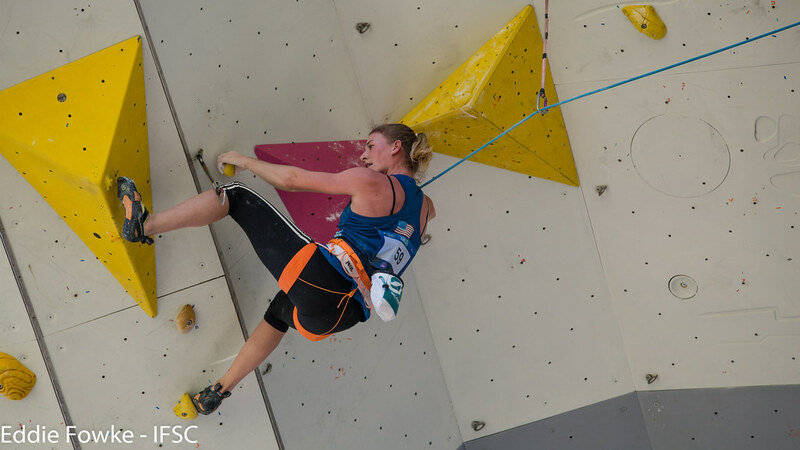 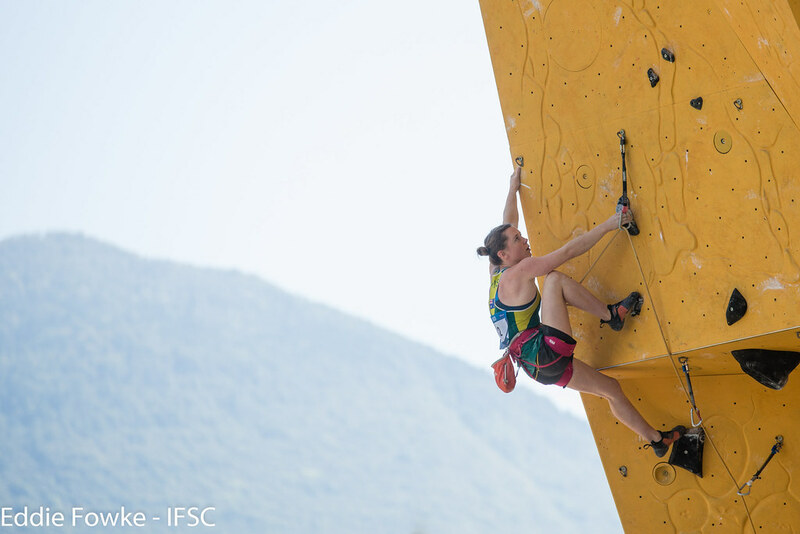 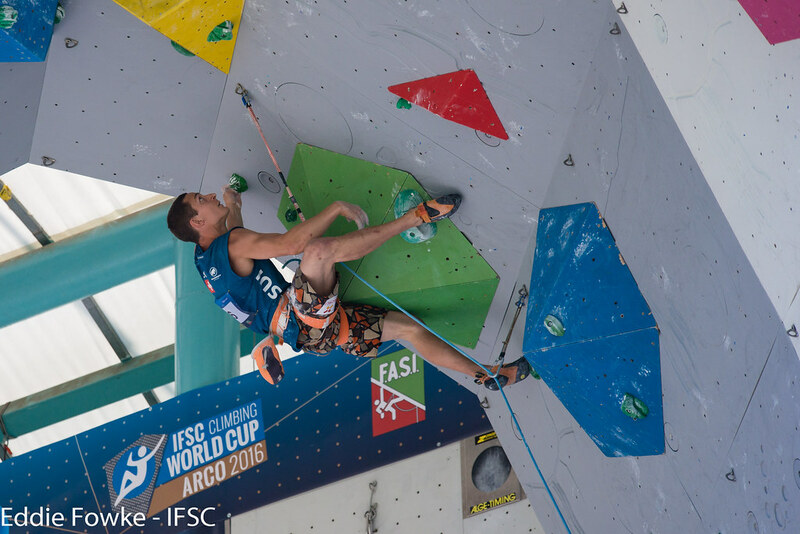 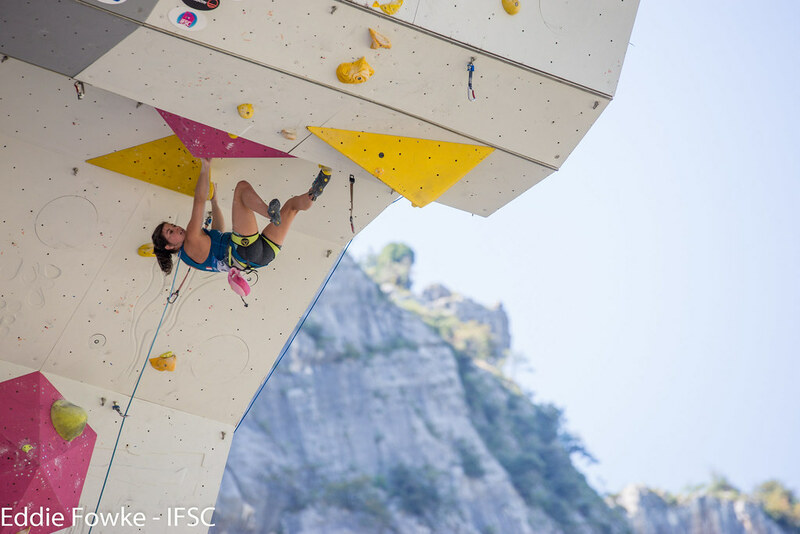 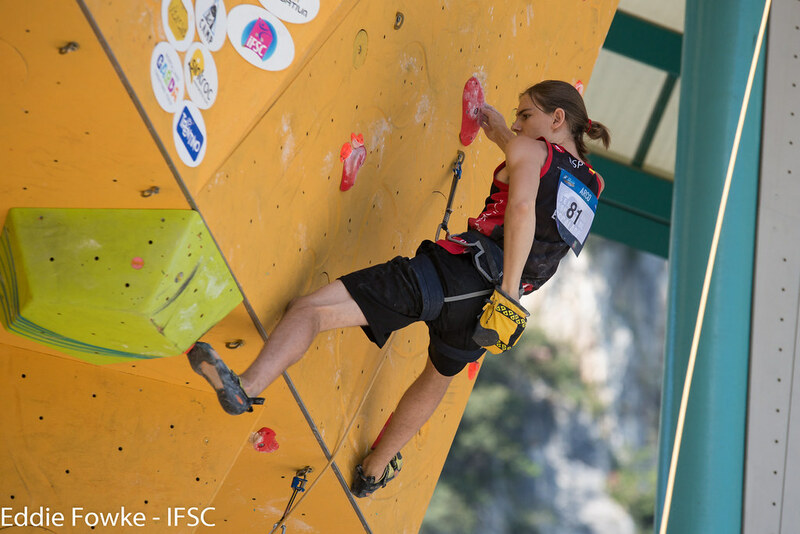 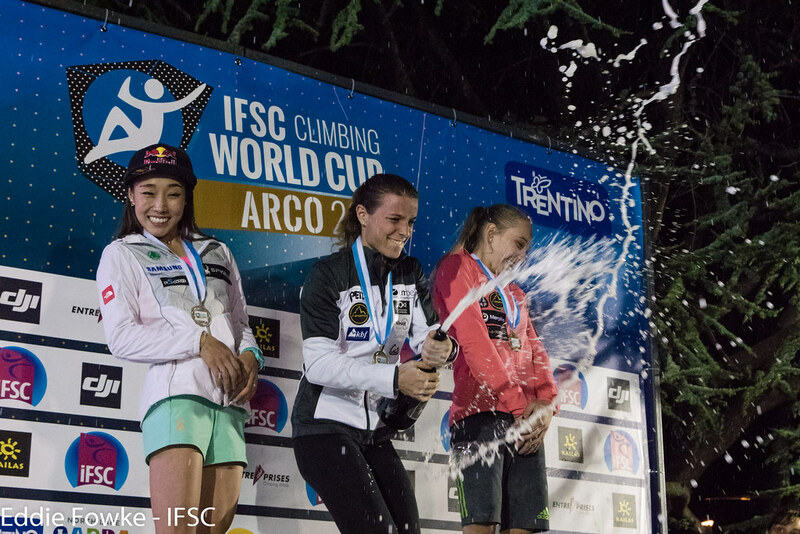 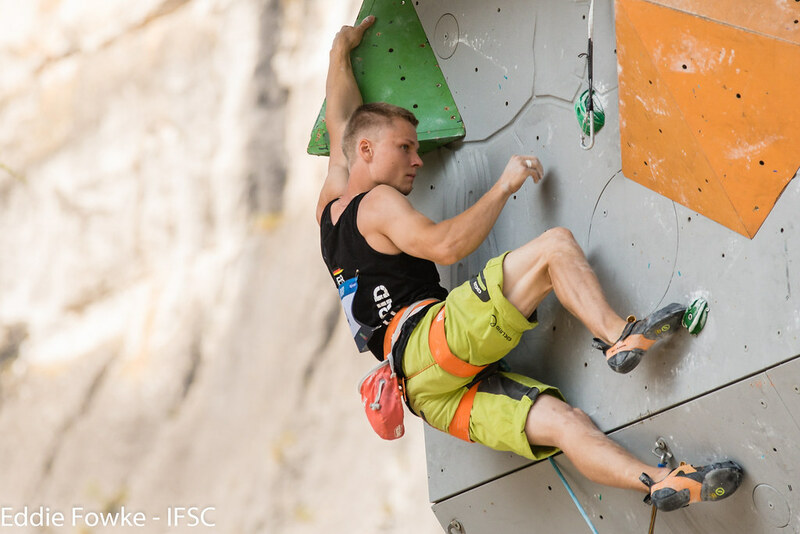 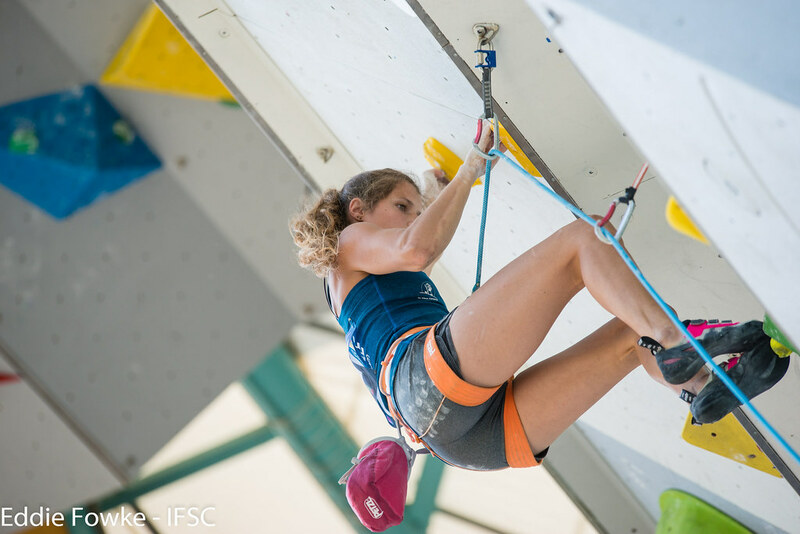 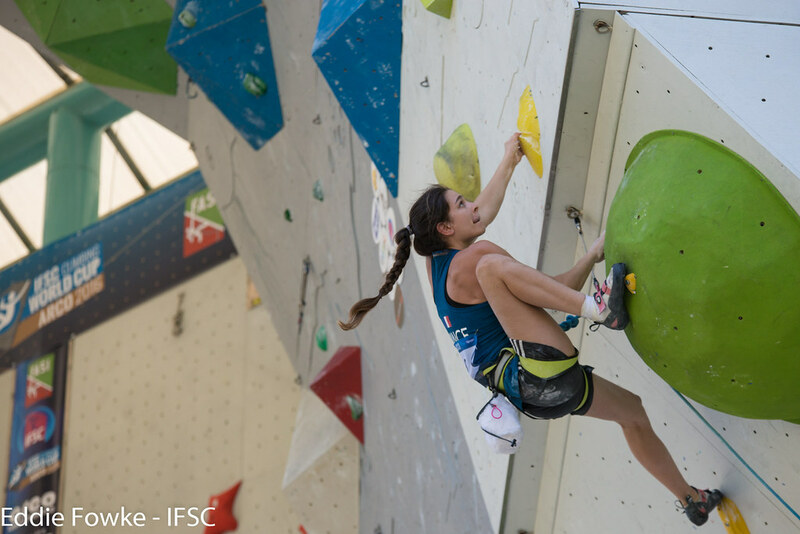 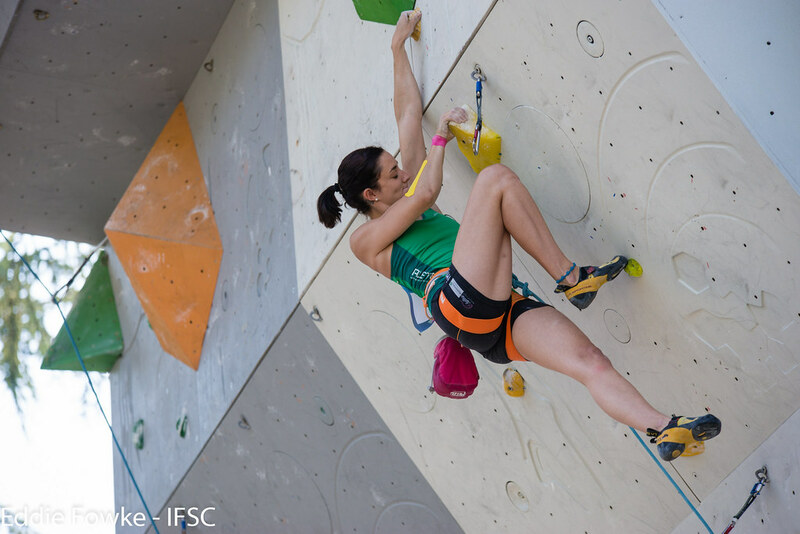 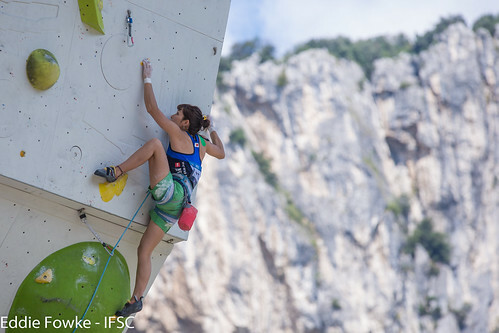 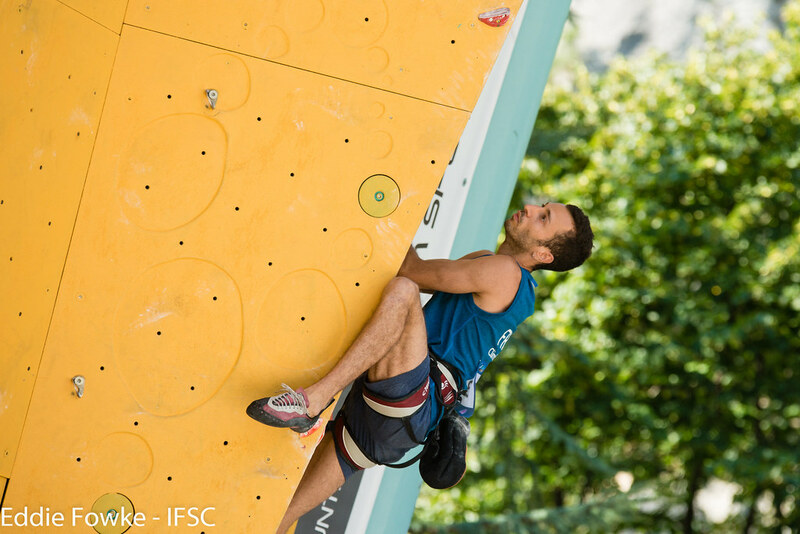 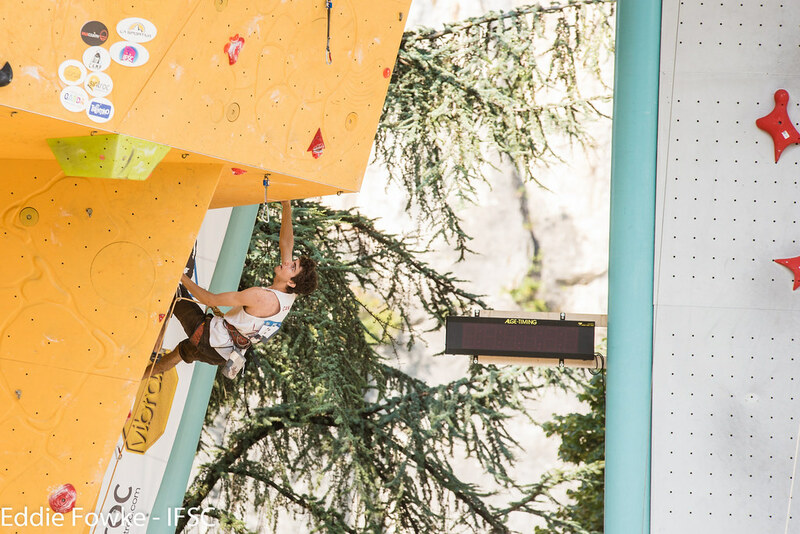 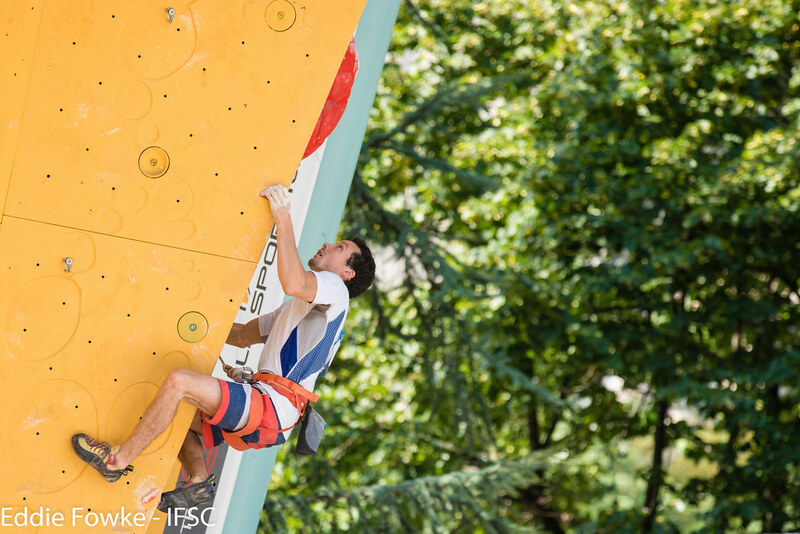 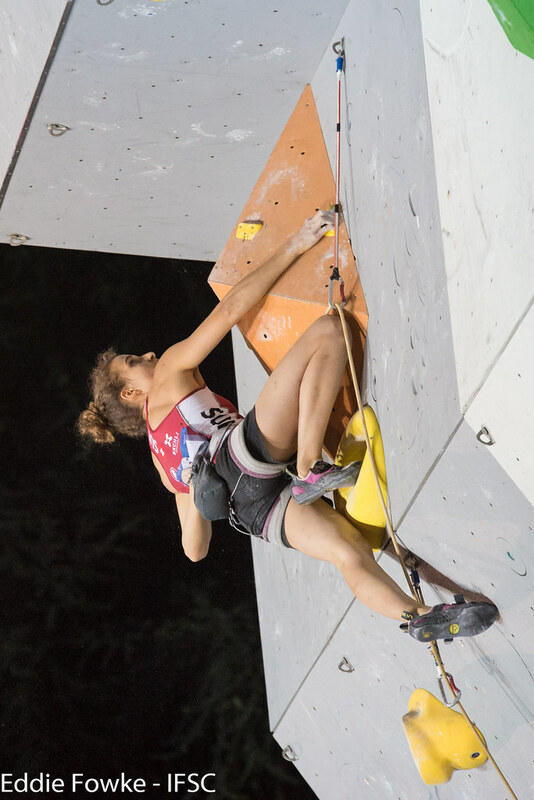 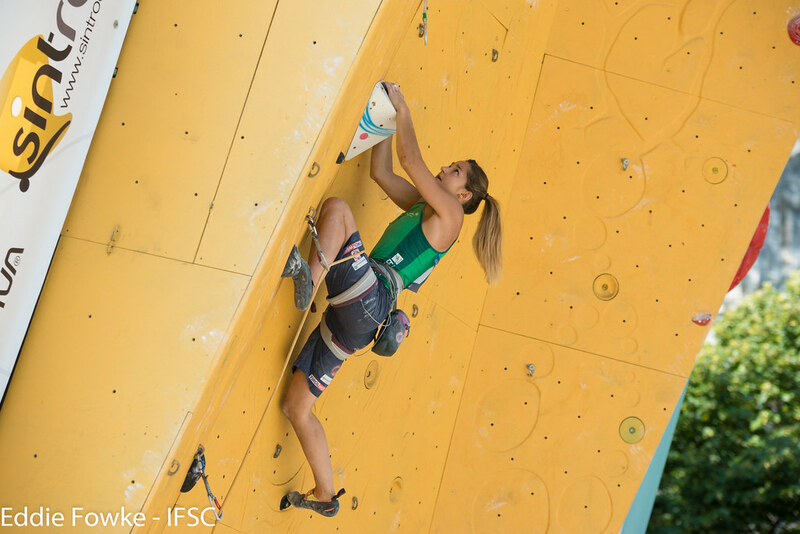 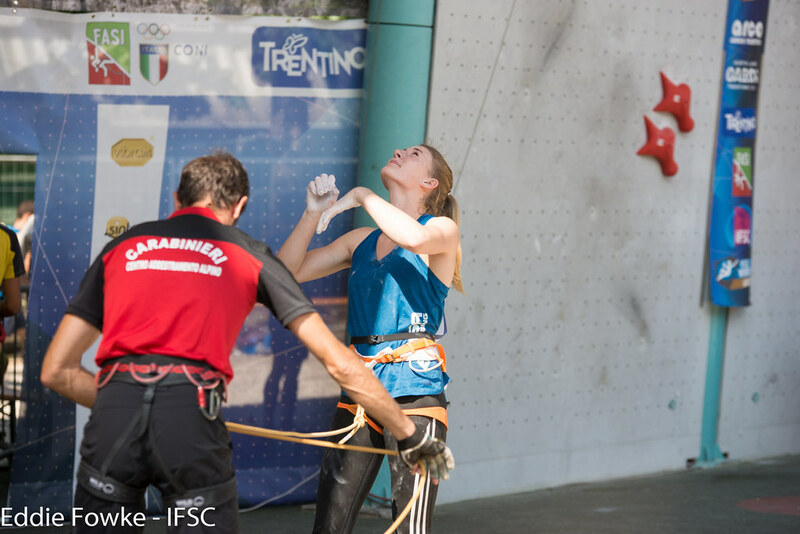 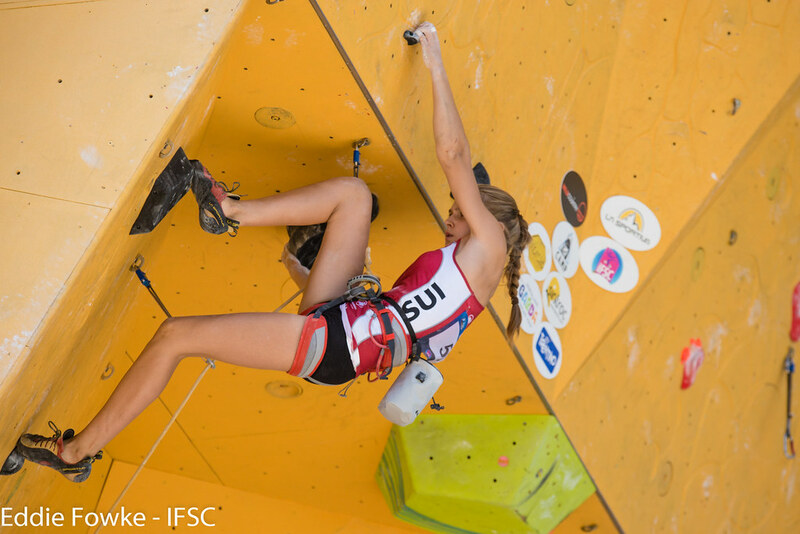 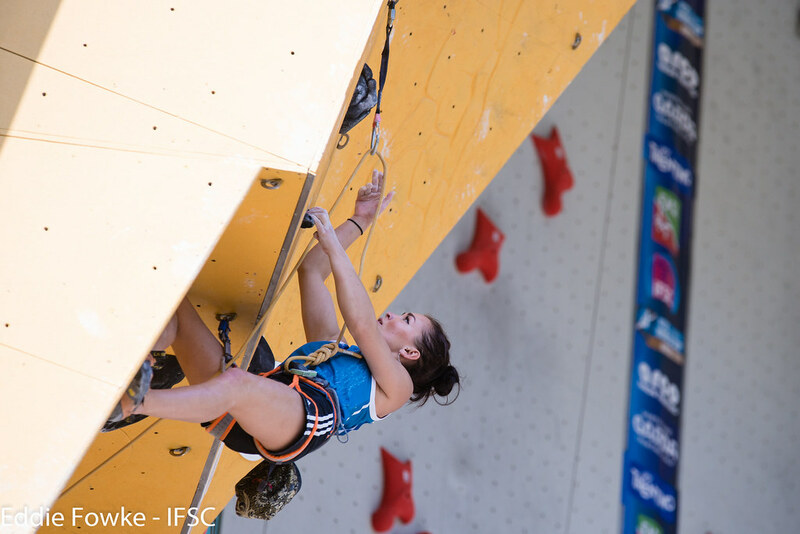 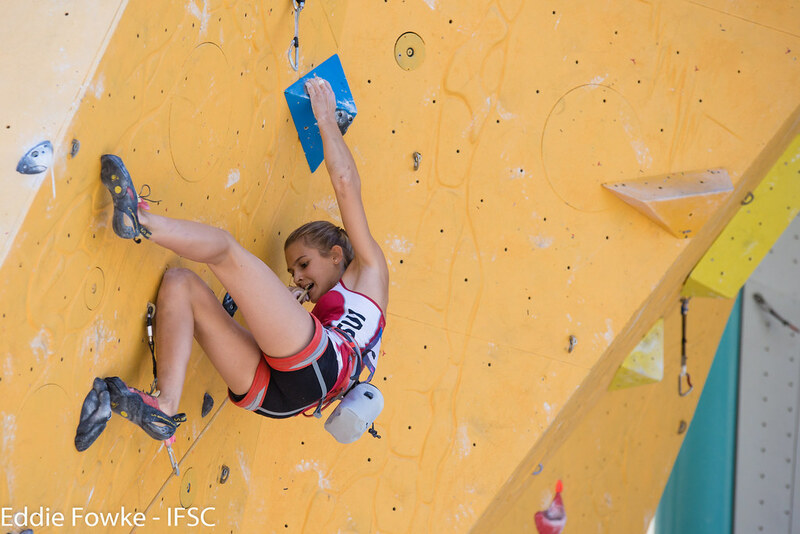 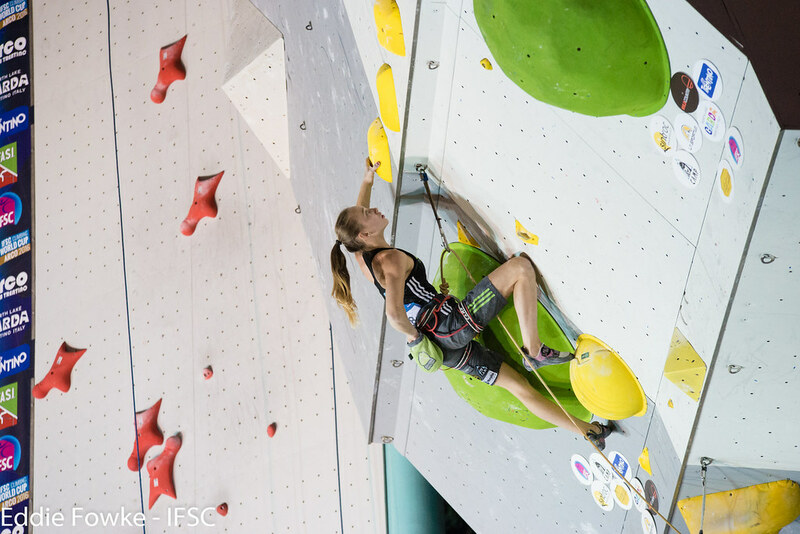 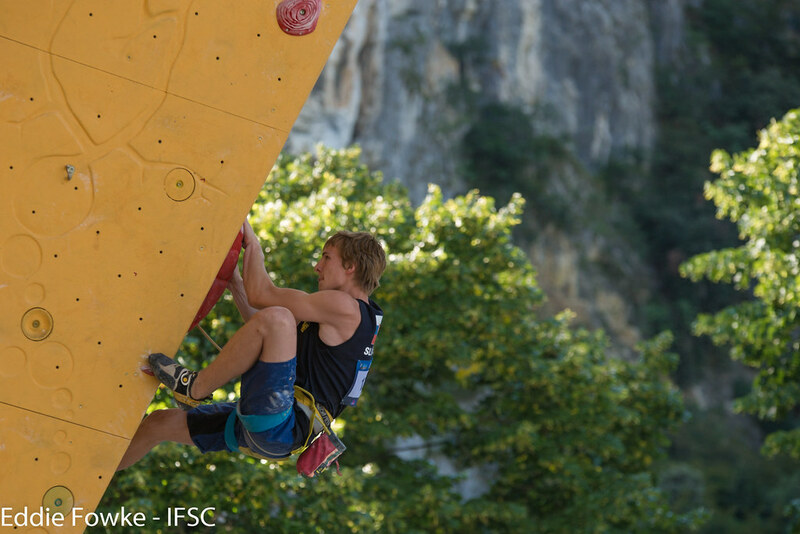 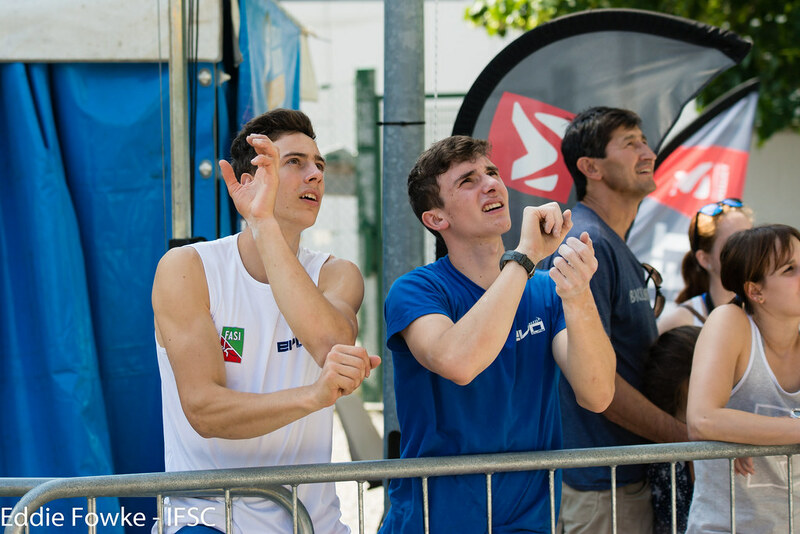 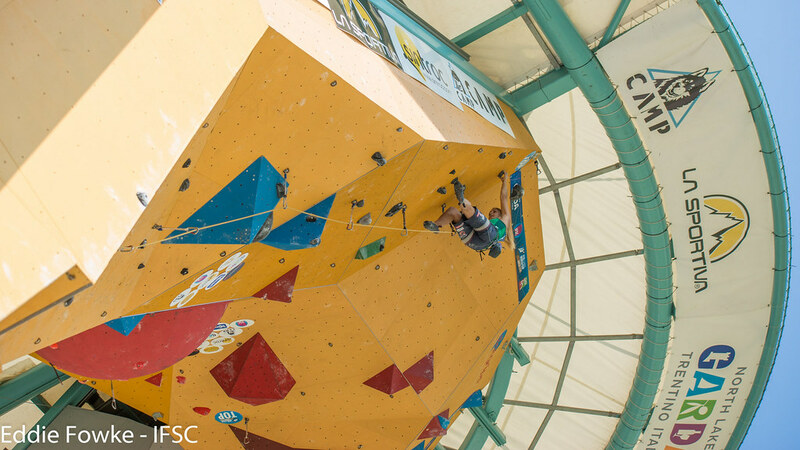 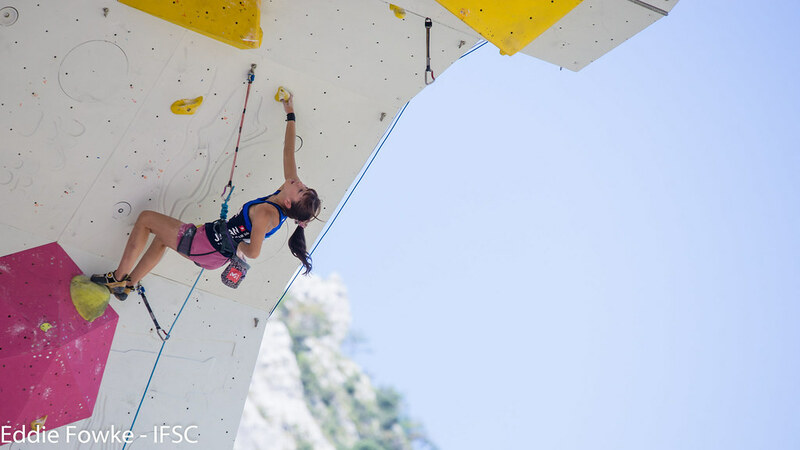 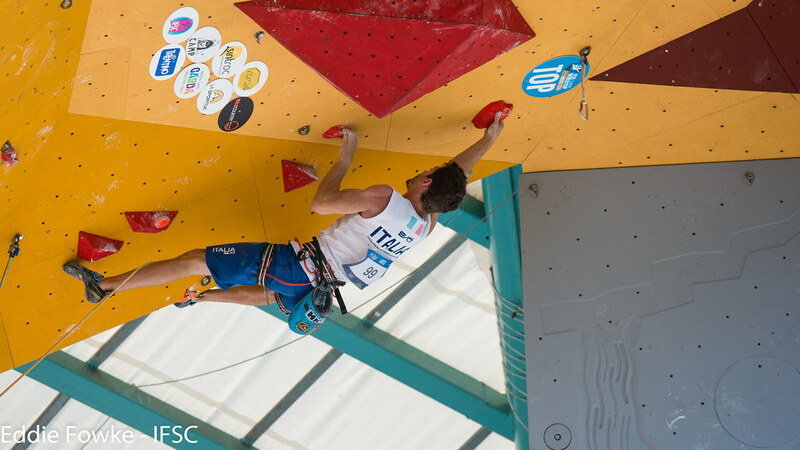 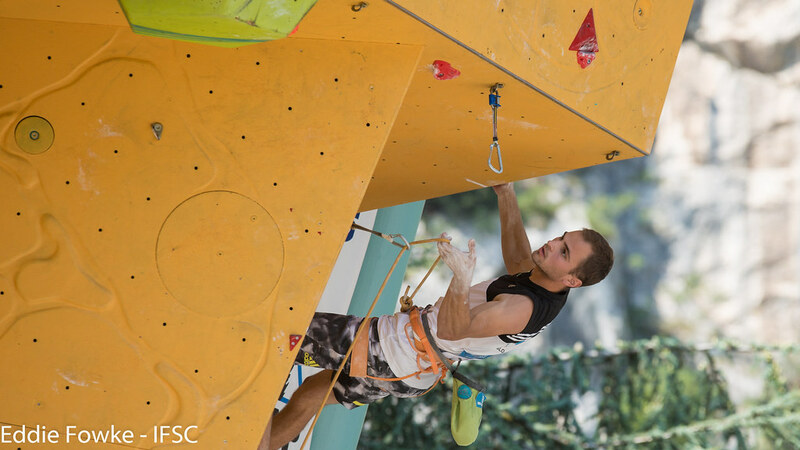 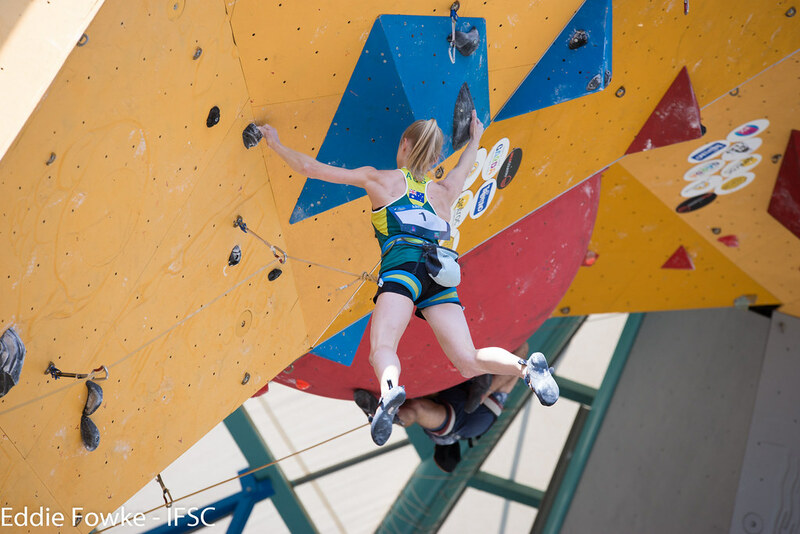 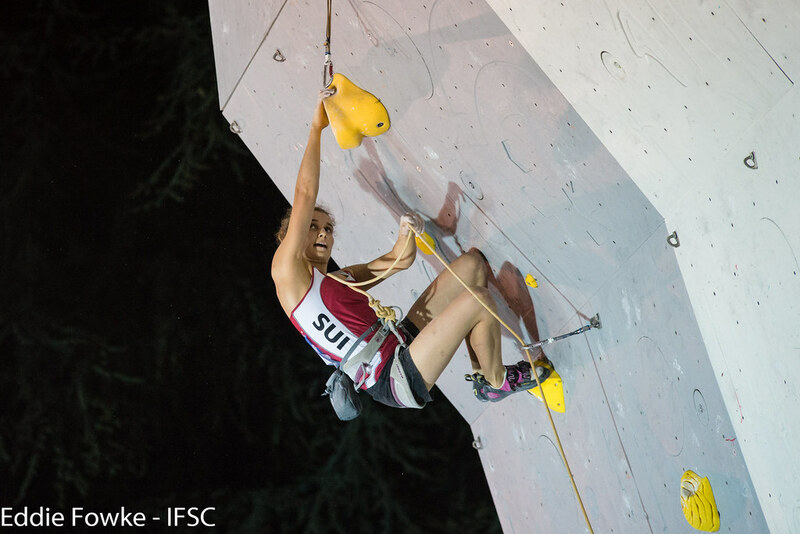 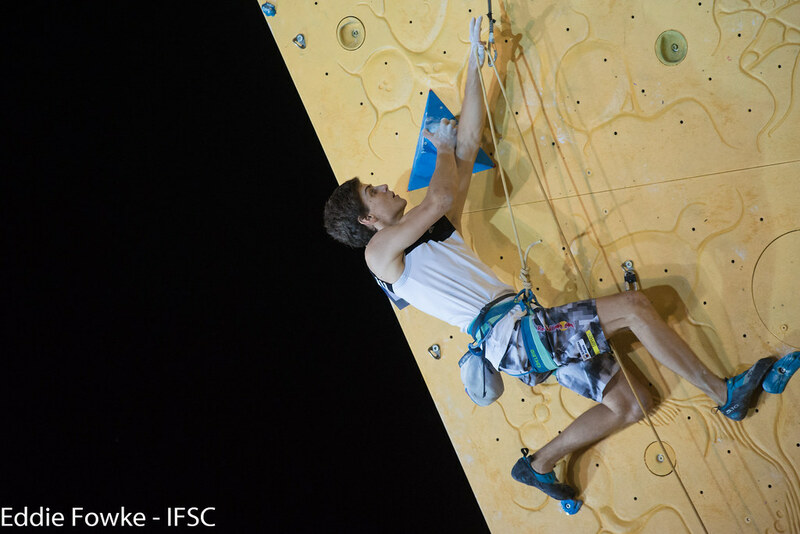 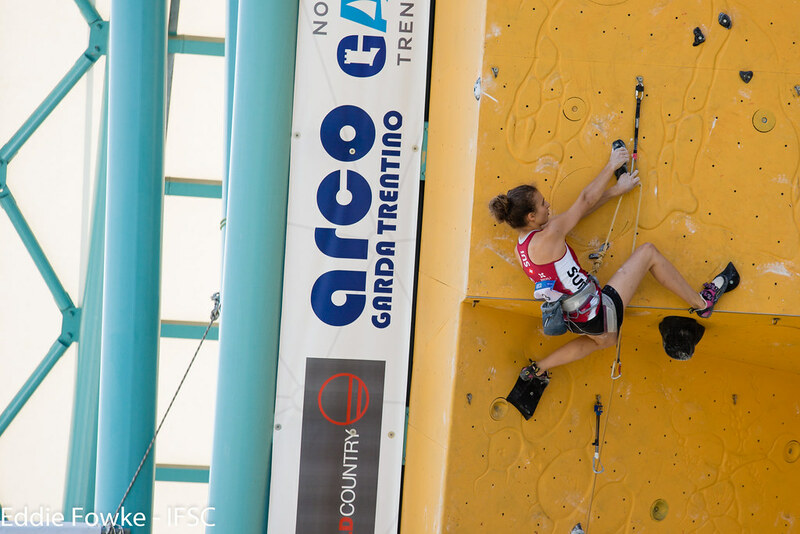 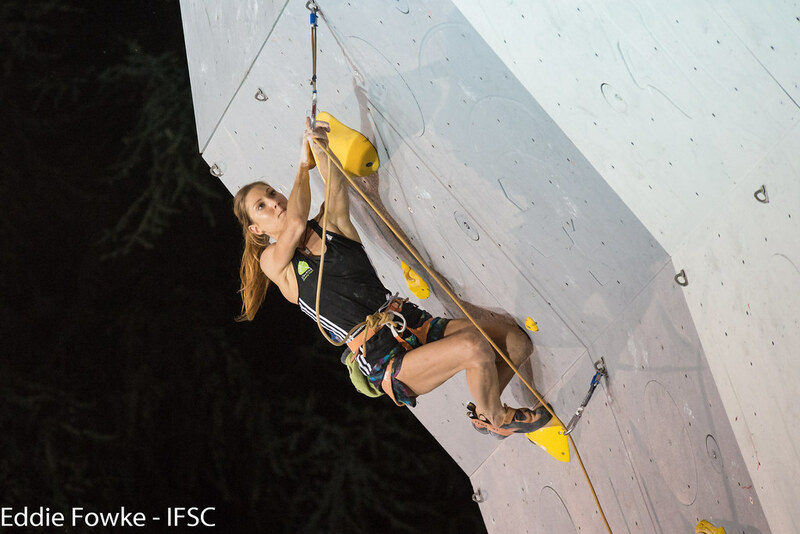 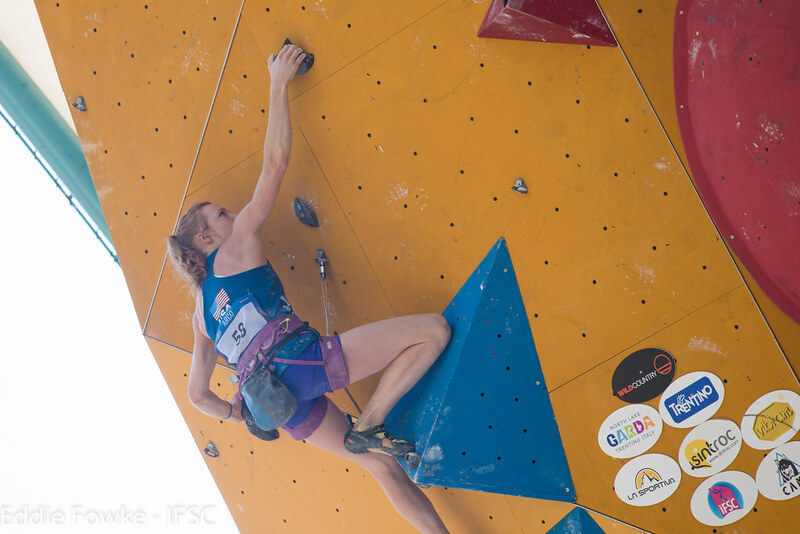 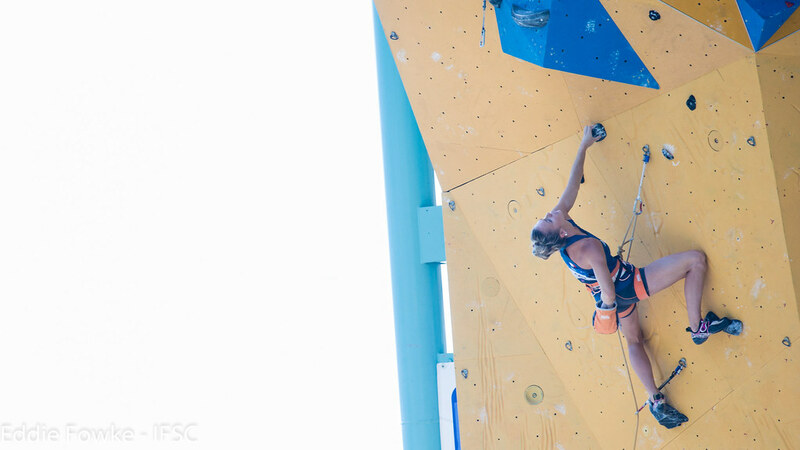 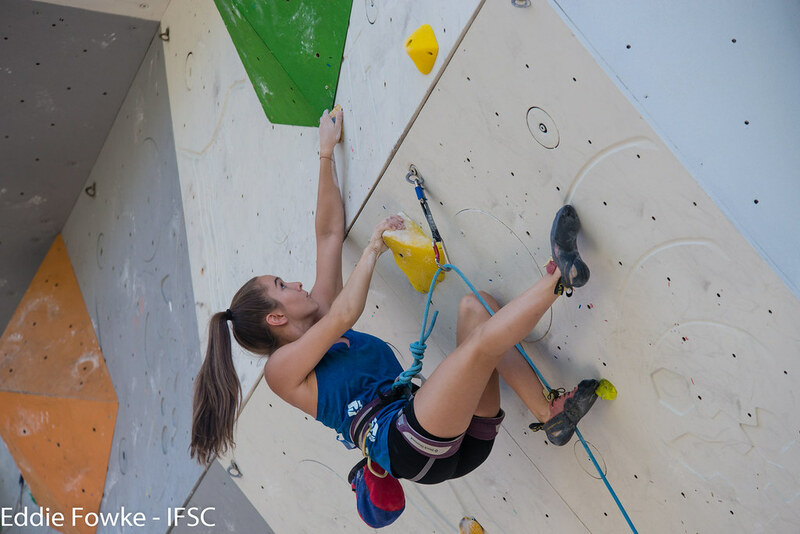 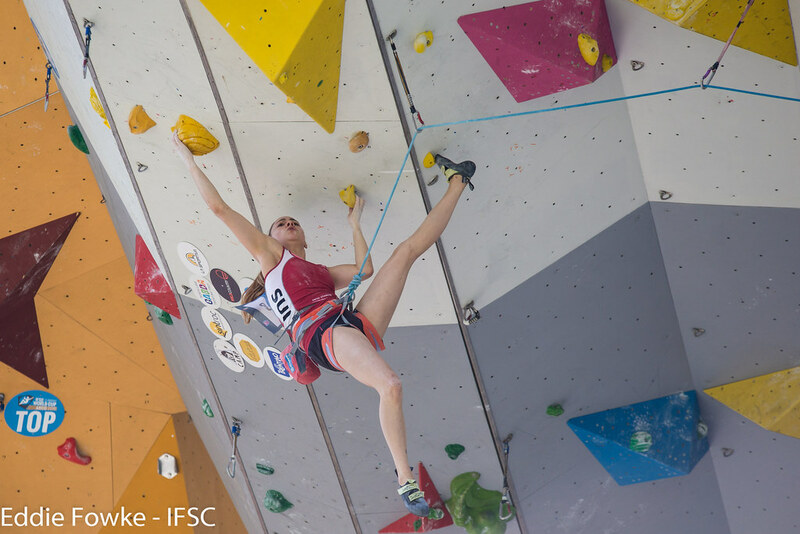 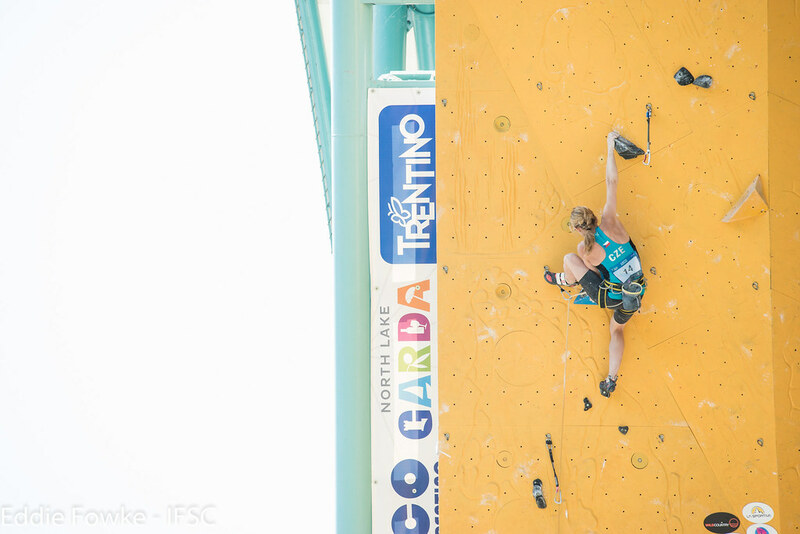 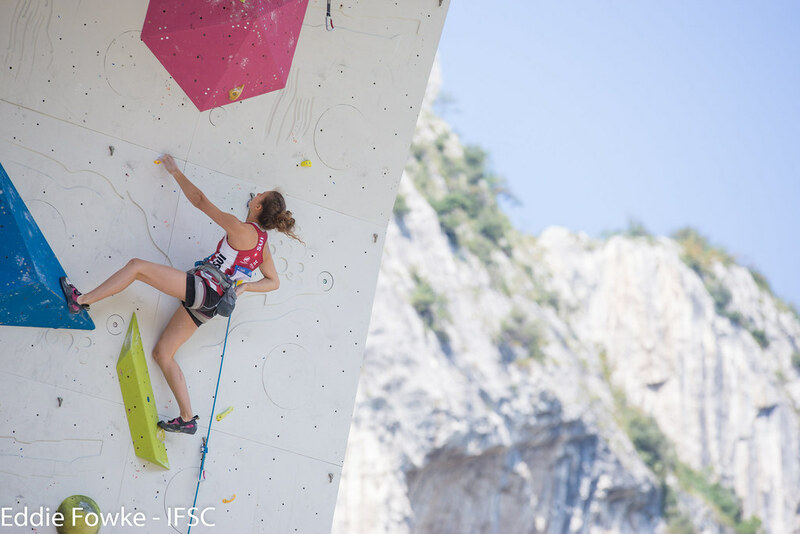 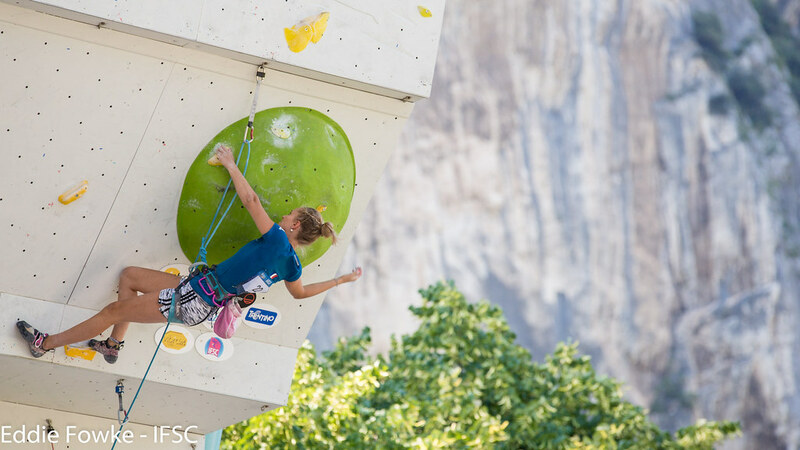 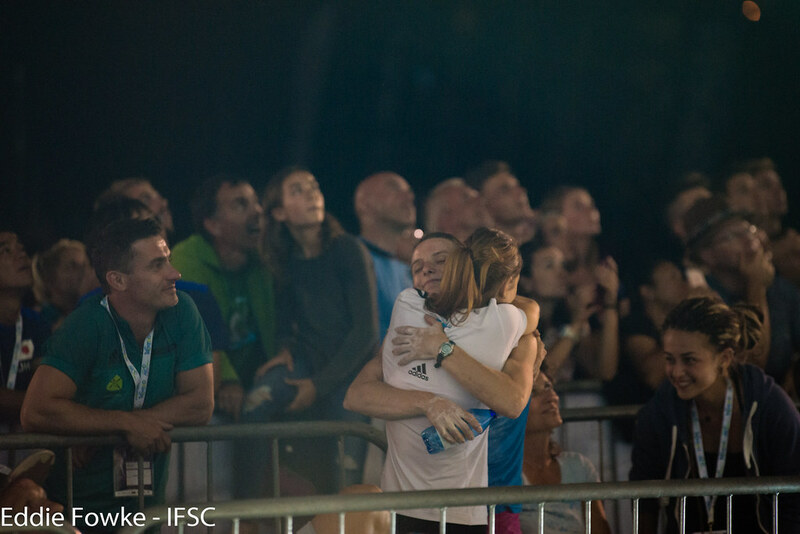 Anouck Jaubert of France set an IFSC Speed World Cup record and Marcin Dzienski joined an elite group of IFSC Athletes with their victories in Arco. 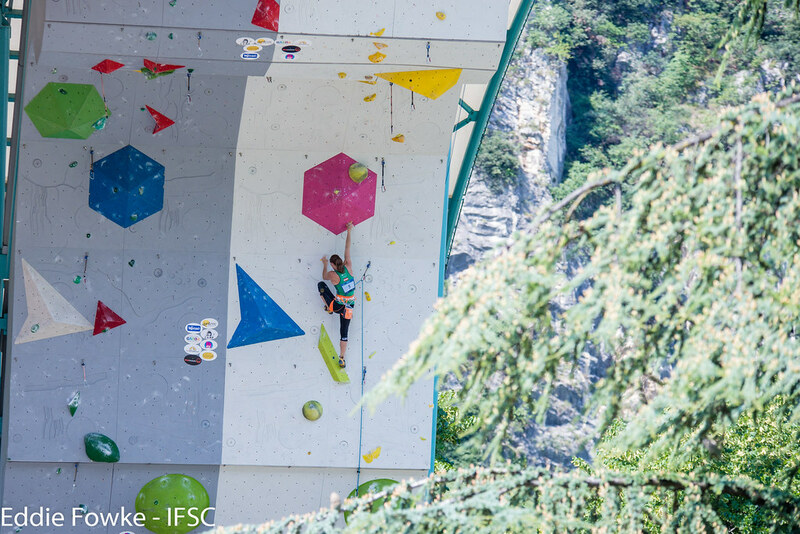 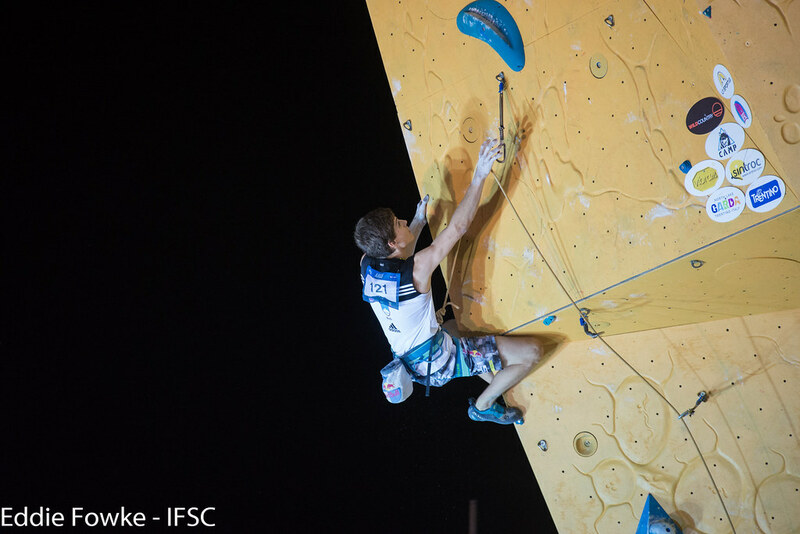 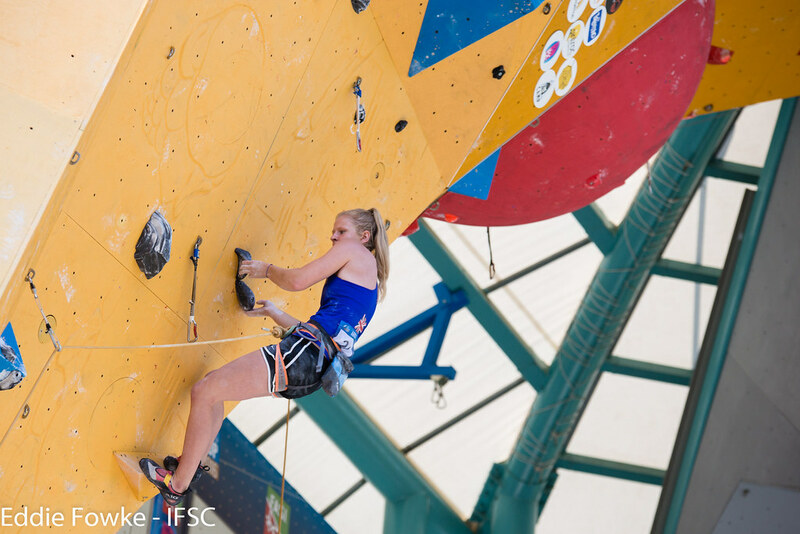 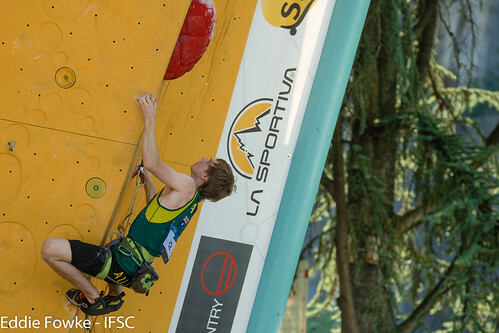 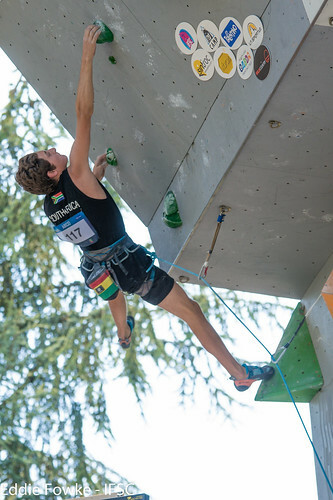 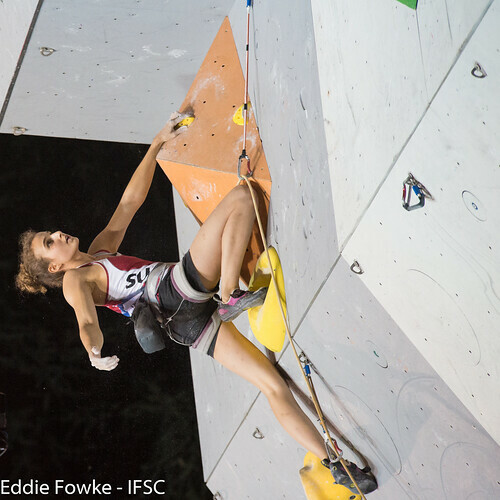 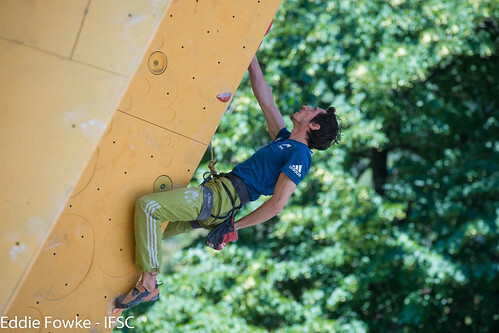 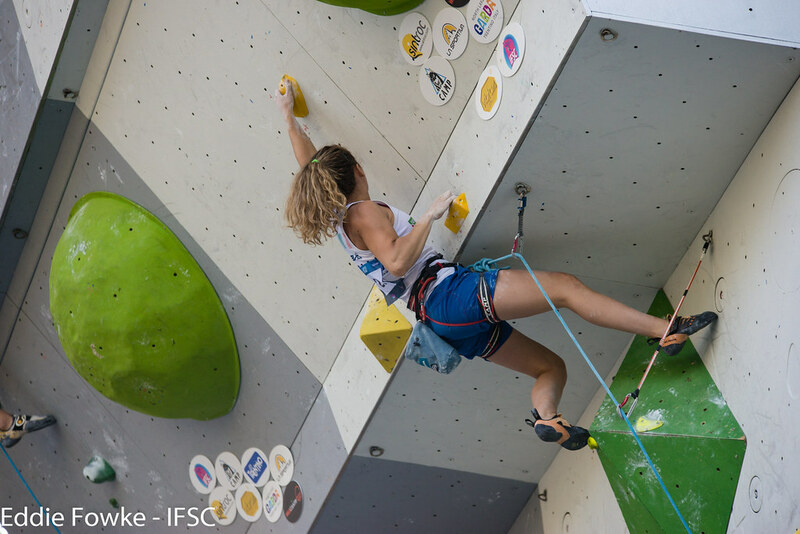 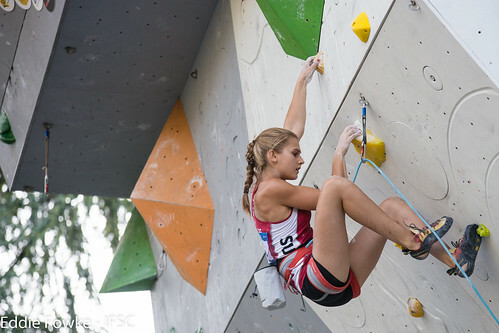 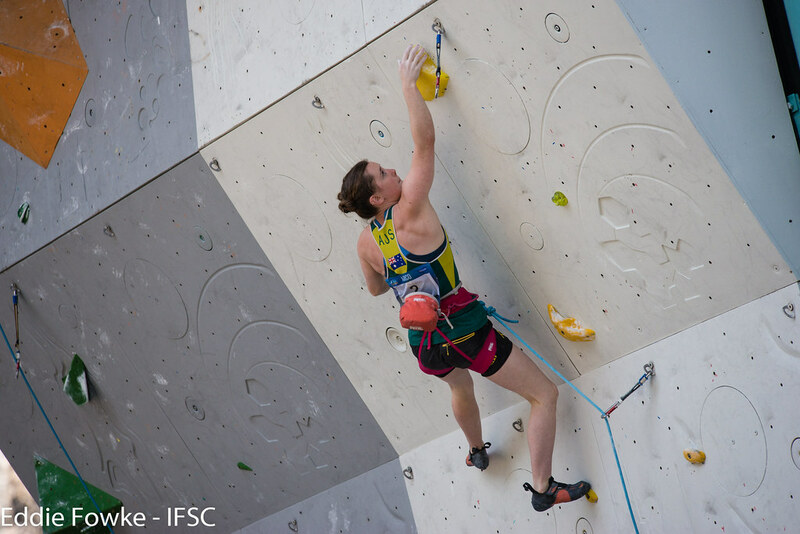 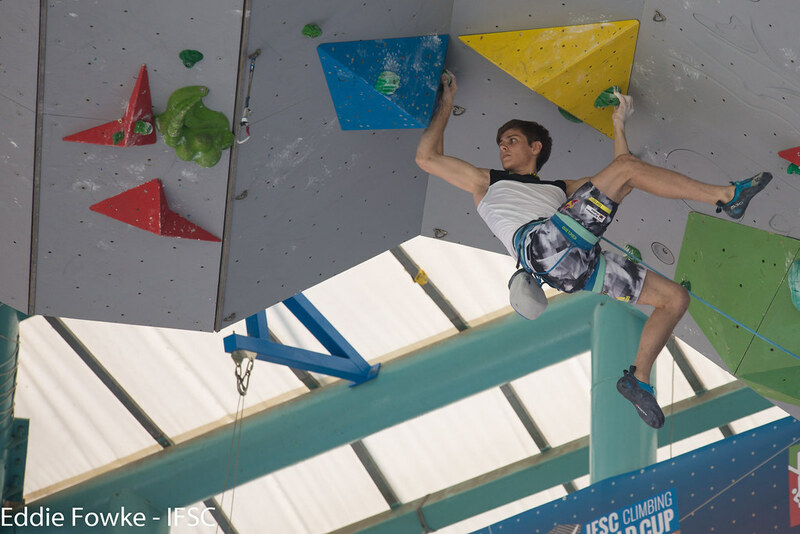 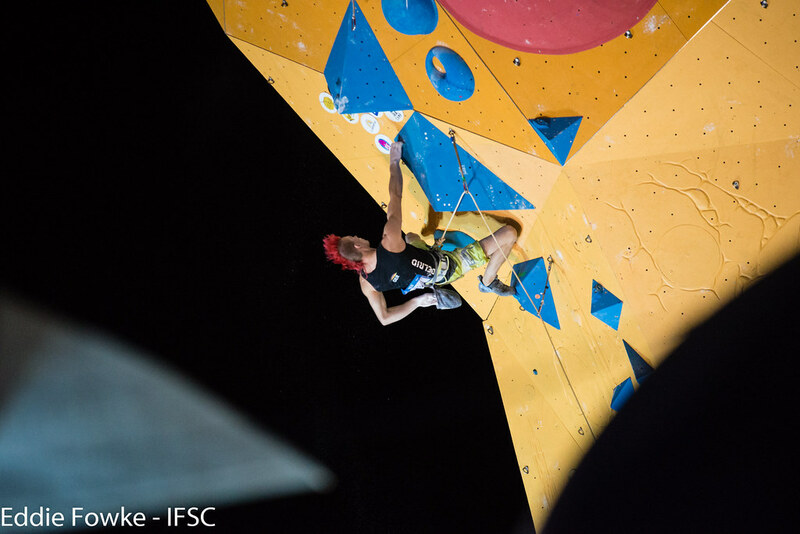 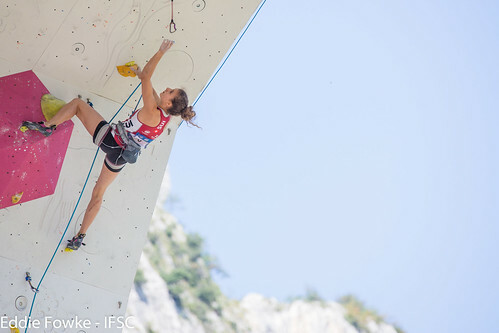 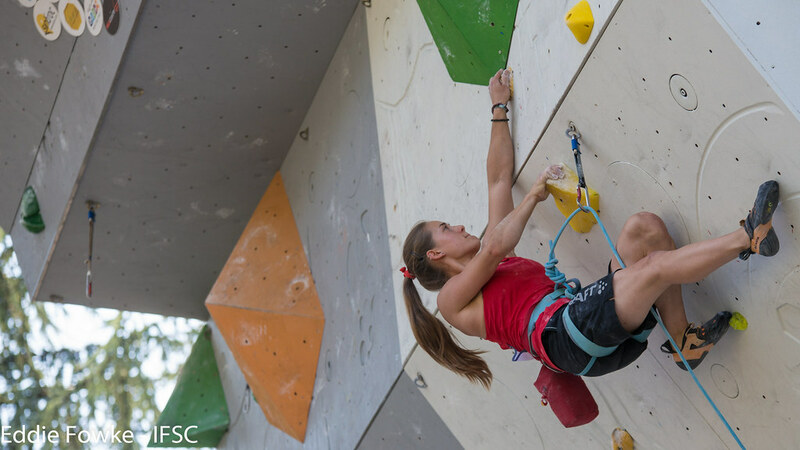 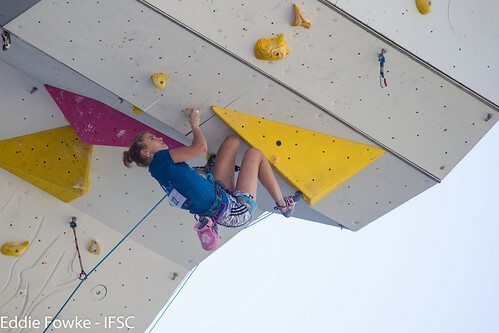 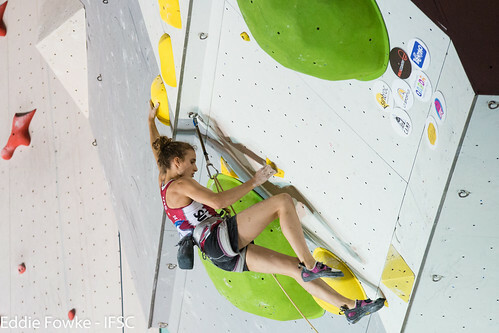 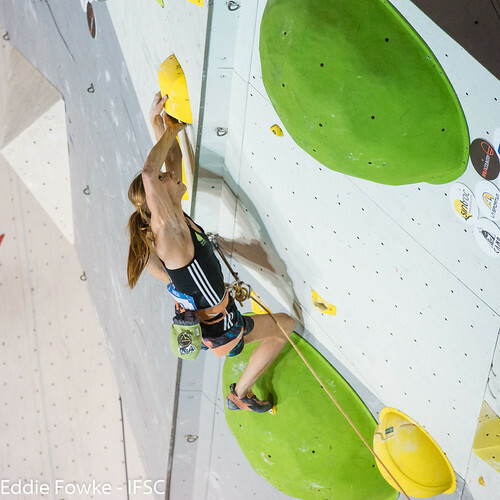 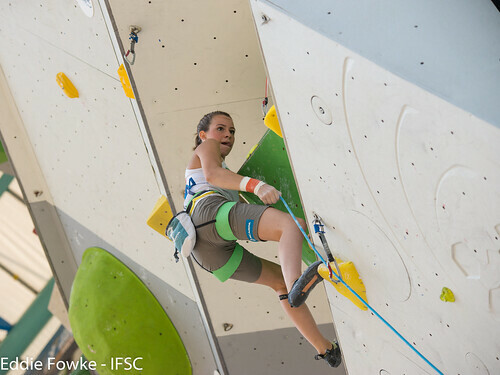 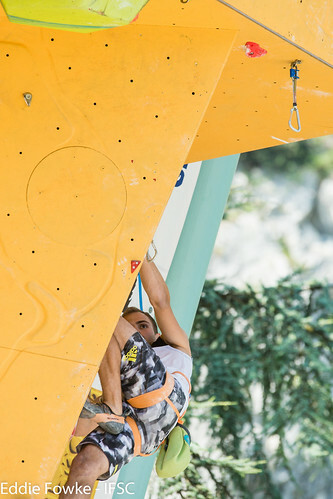 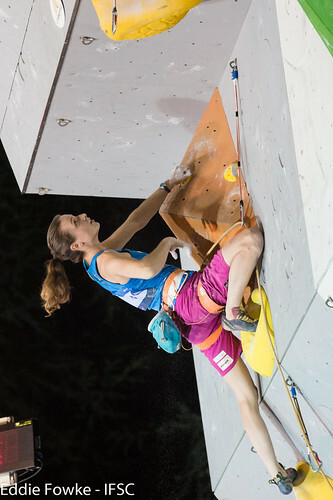 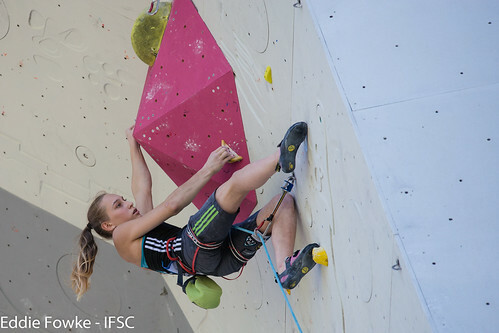 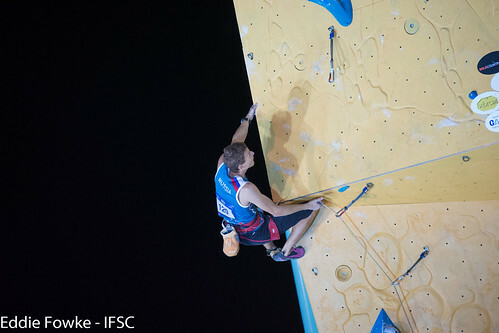 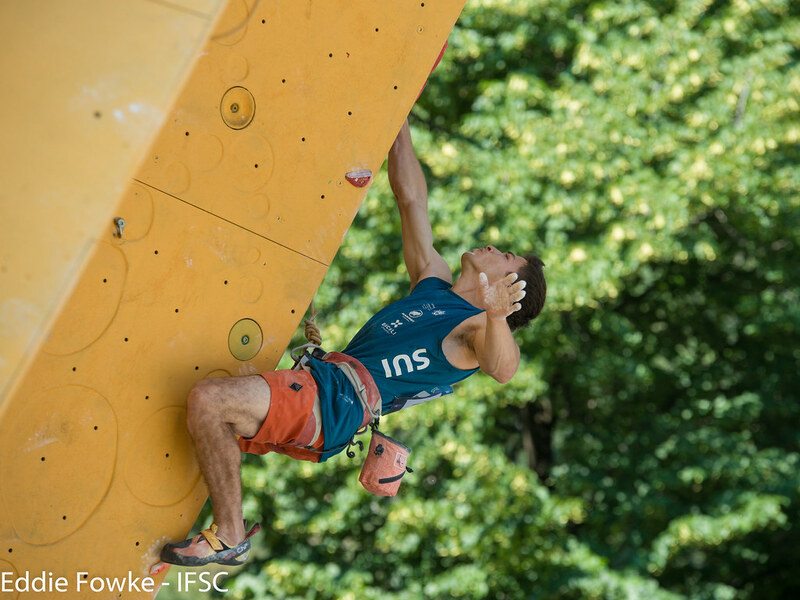 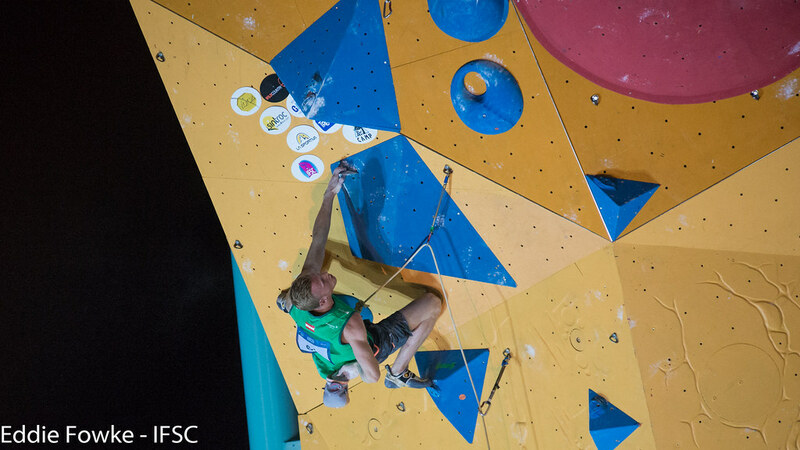 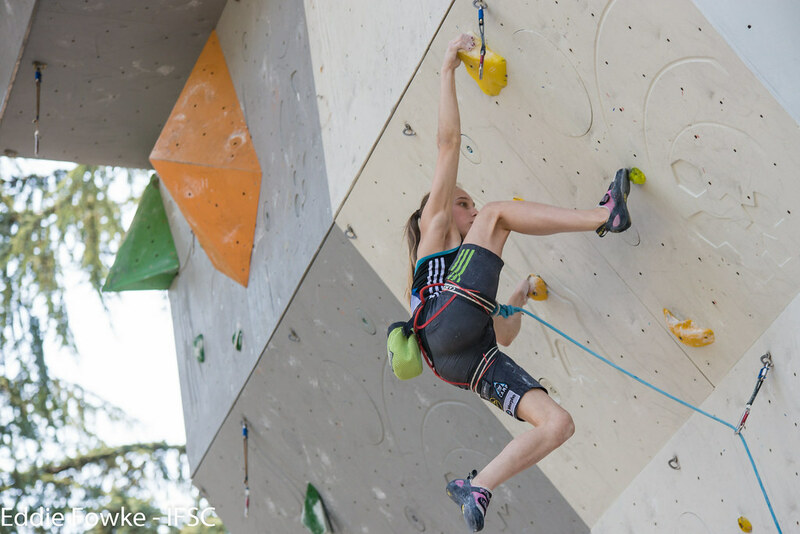 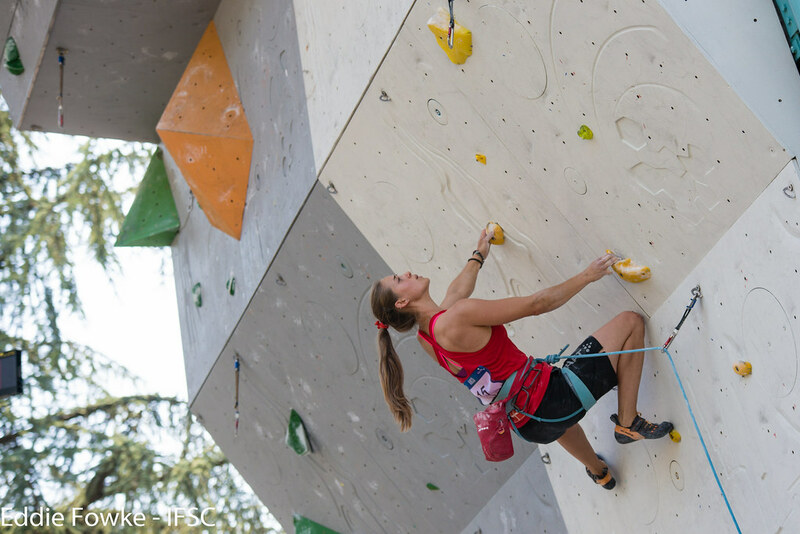 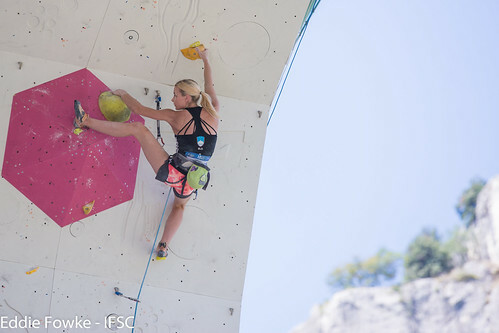 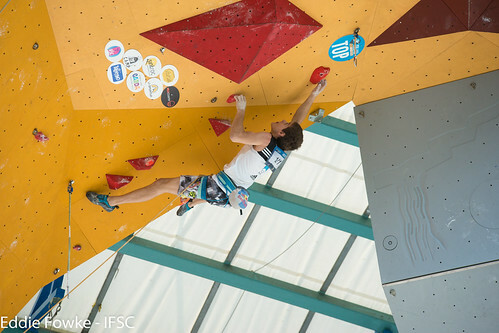 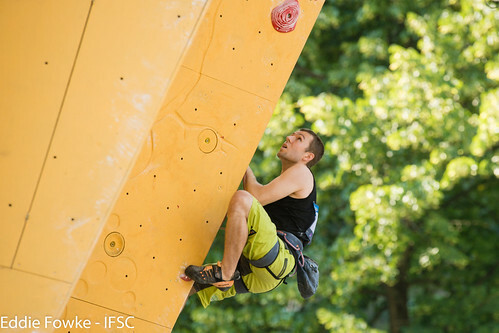 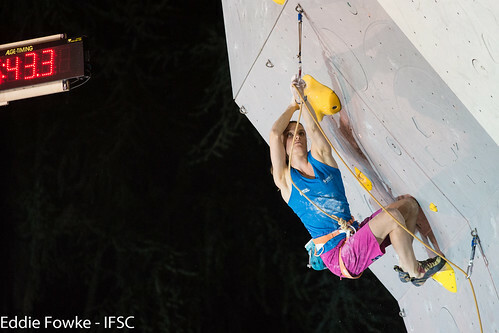 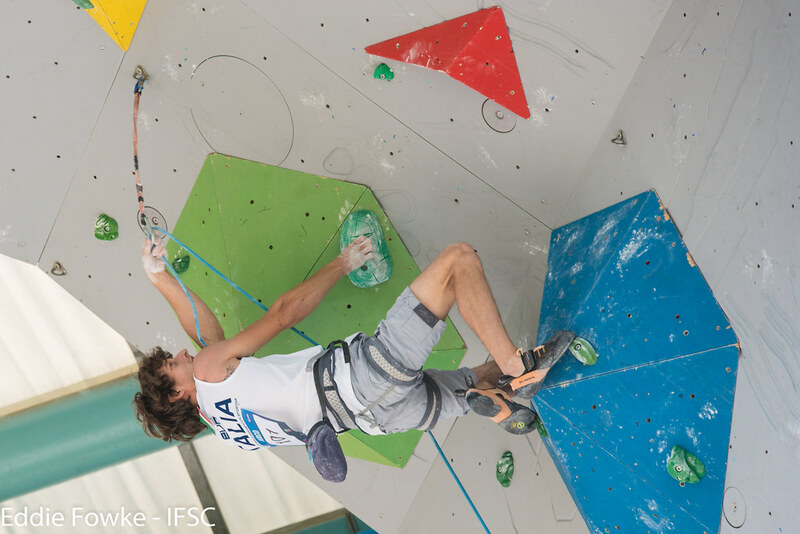 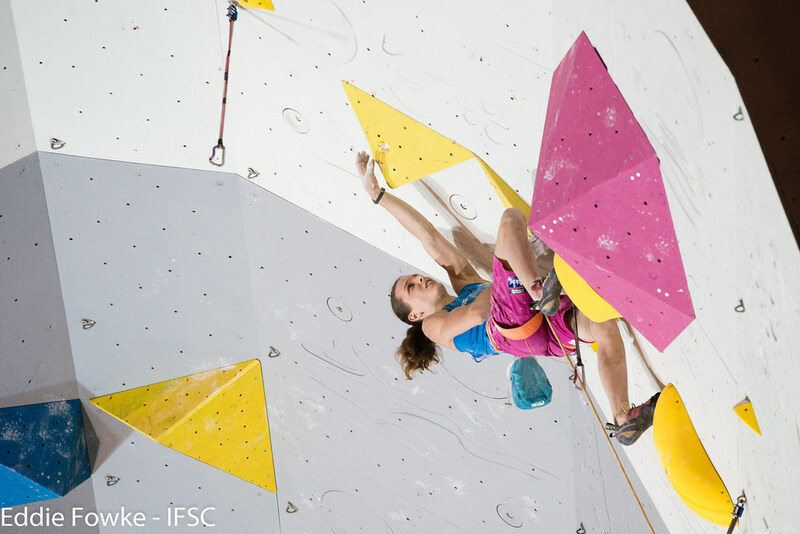 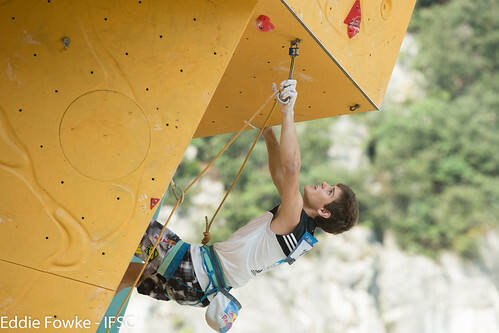 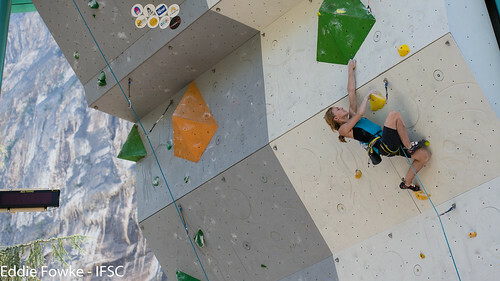 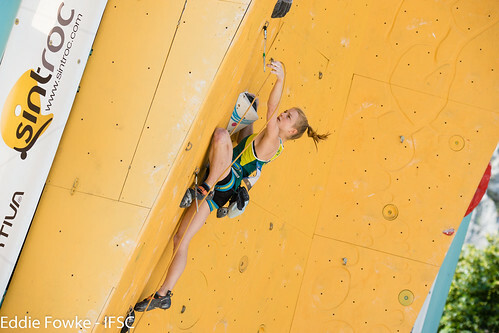 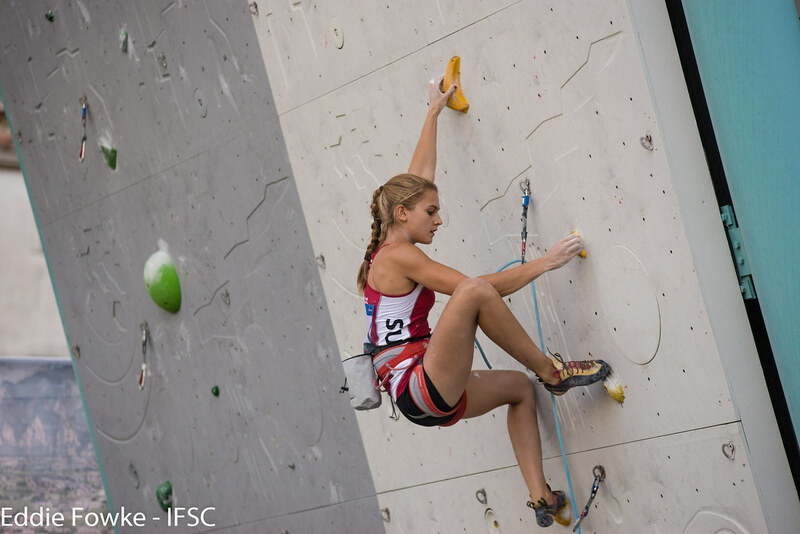 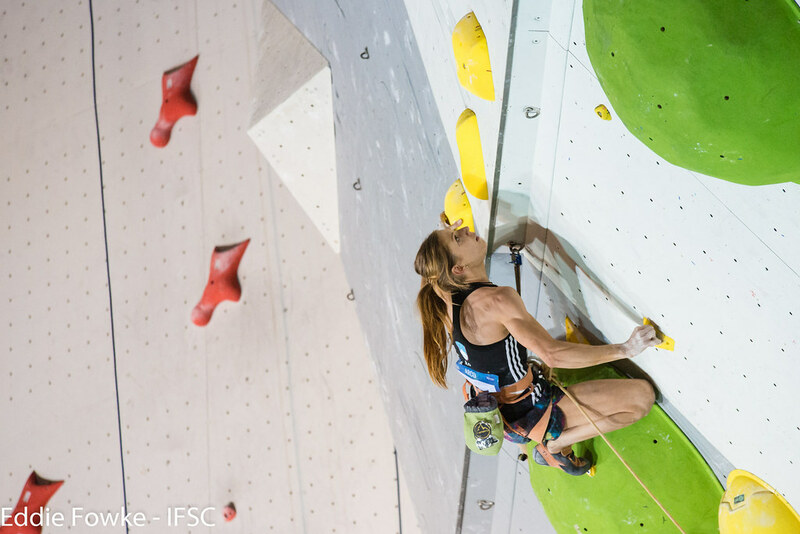 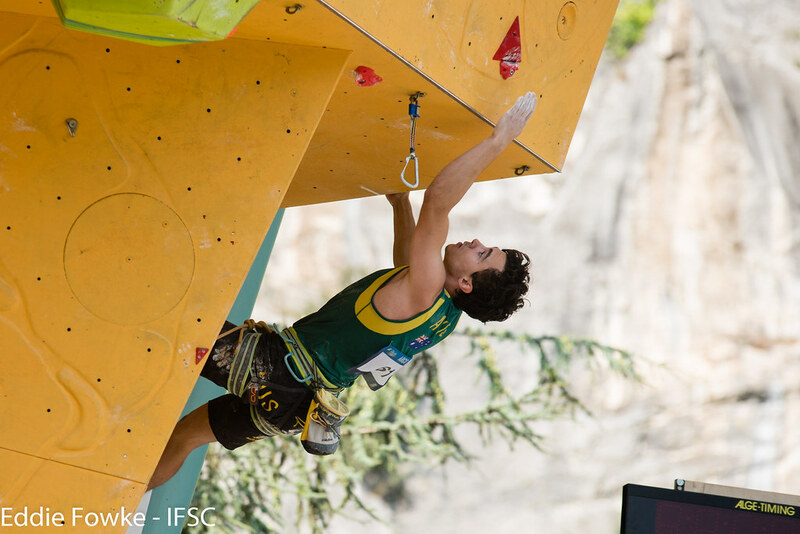 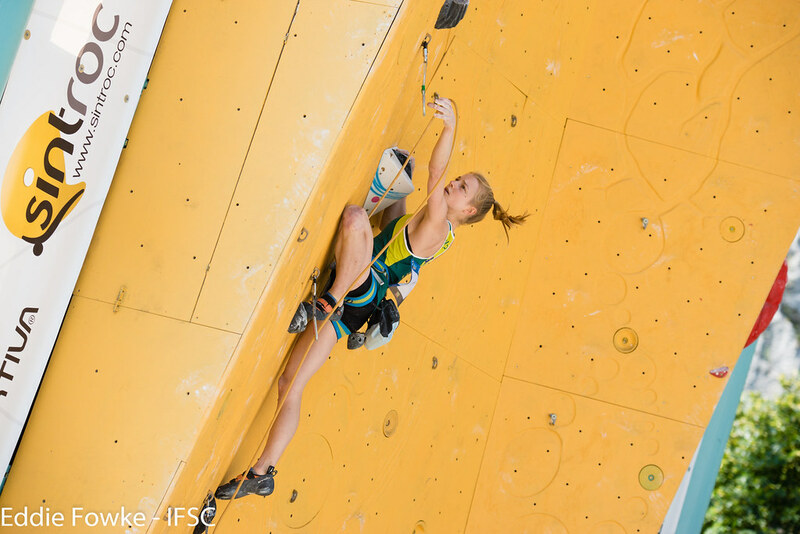 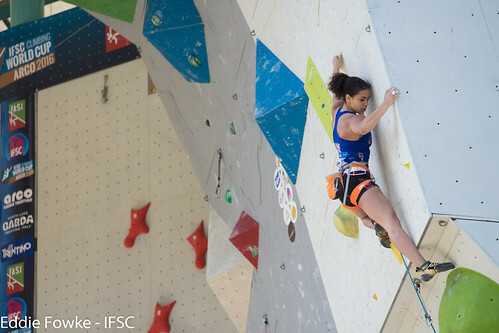 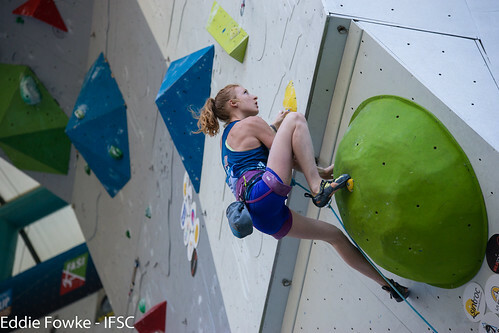 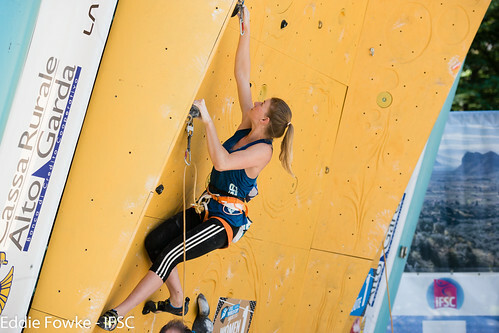 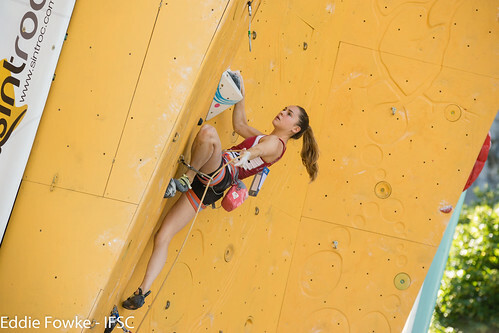 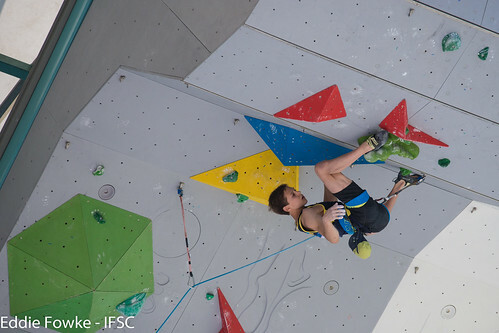 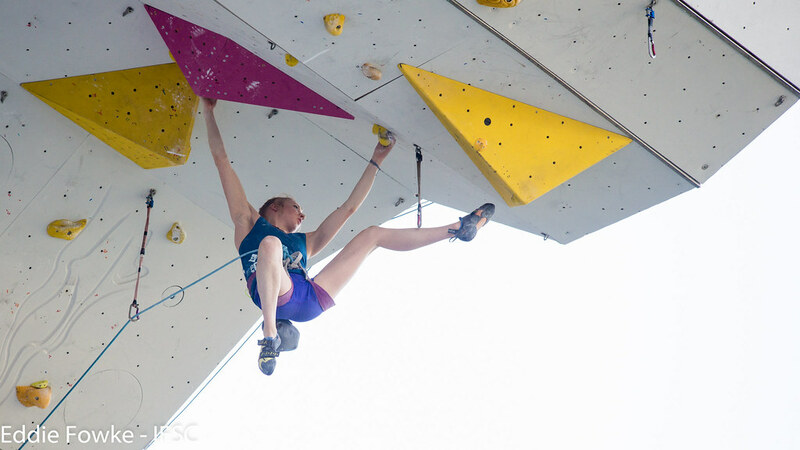 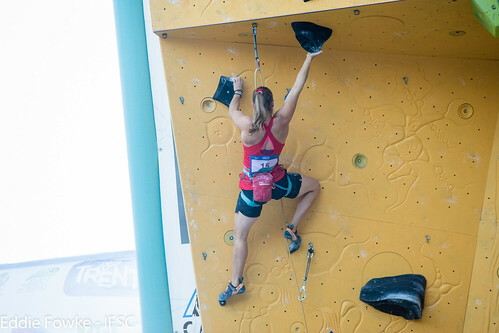 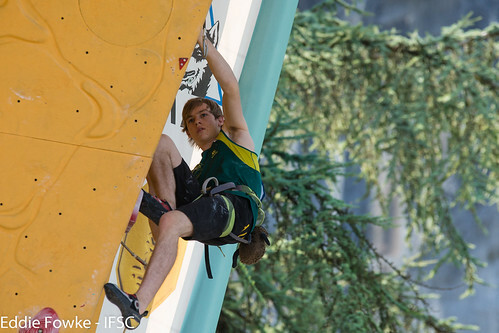 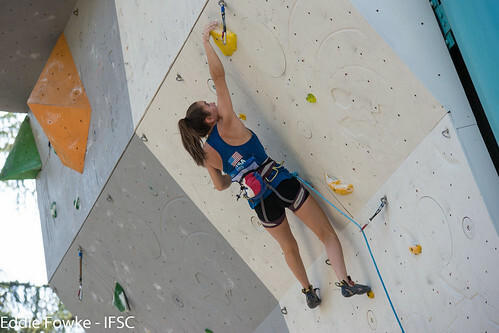 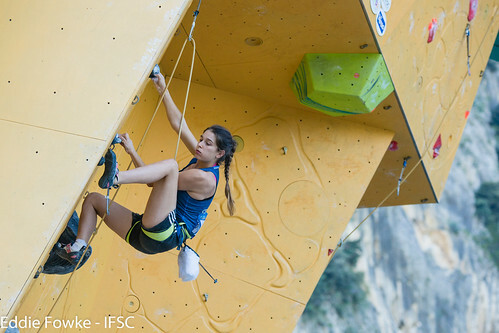 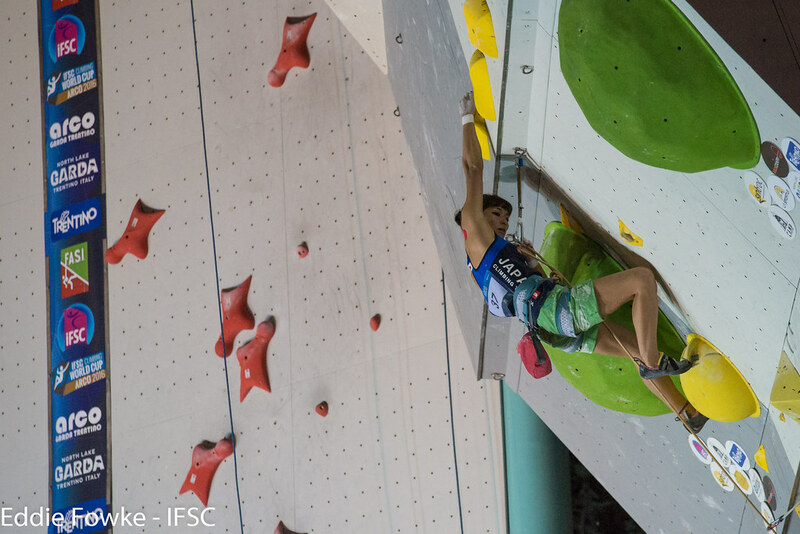 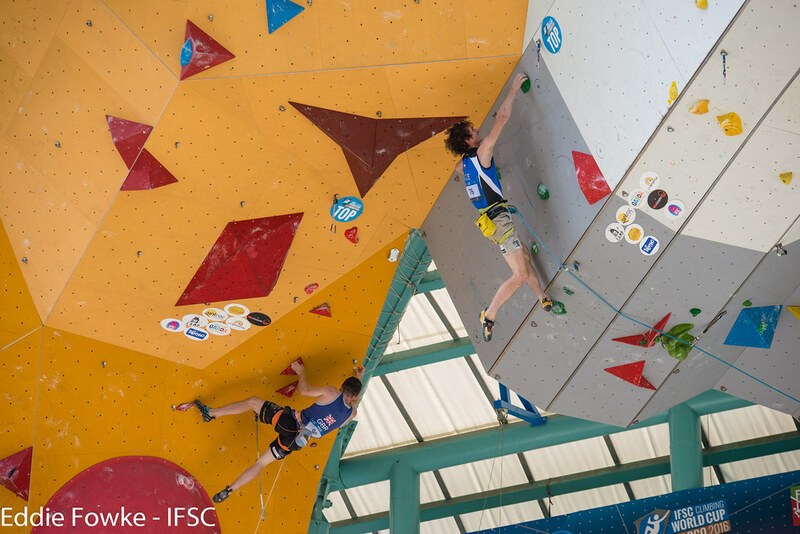 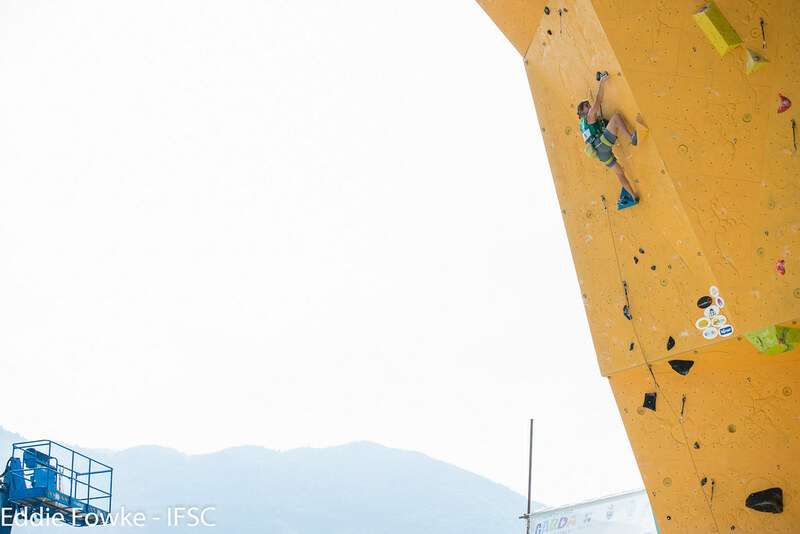 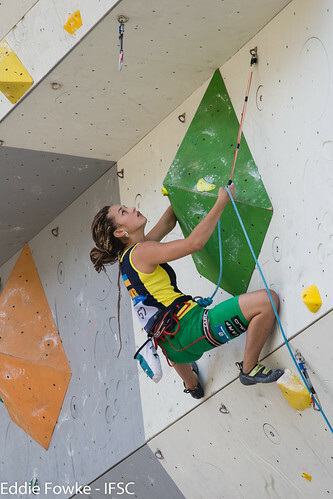 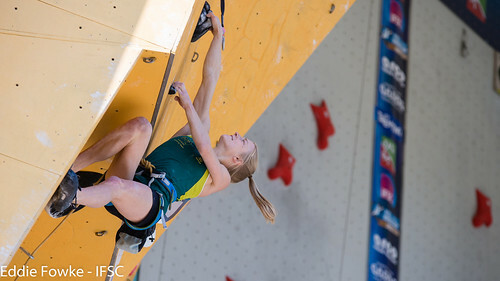 In Lead, Anak Verhoeven of Belgium topped the first podium of her career and Frenchman Romain Desgranges earned his second IFSC Lead World Cup win. 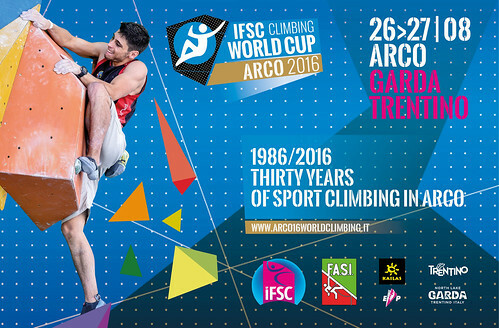 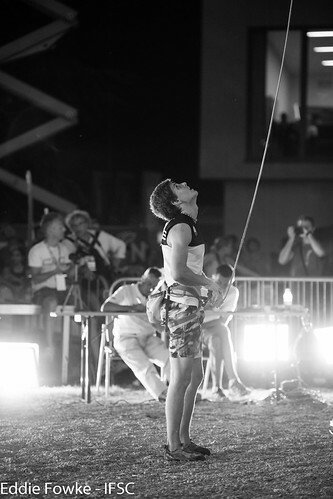 In 1986, Arco hosted one of the earliest international Sport Climbing competitions. 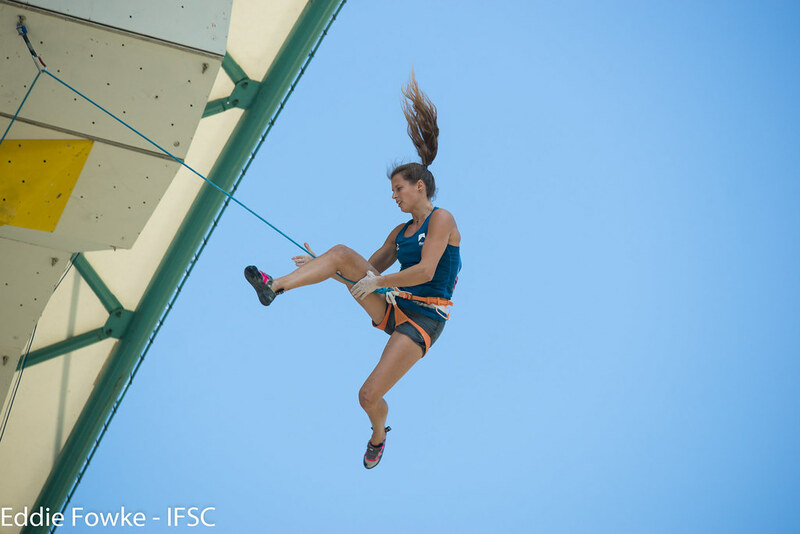 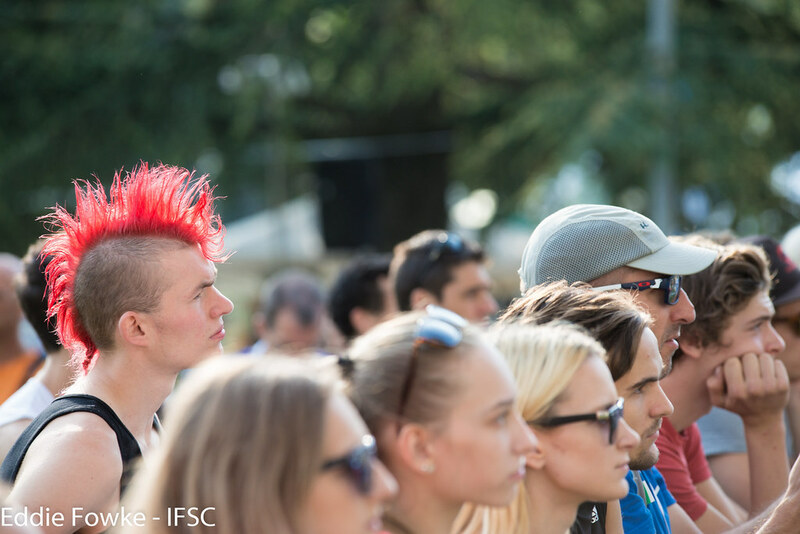 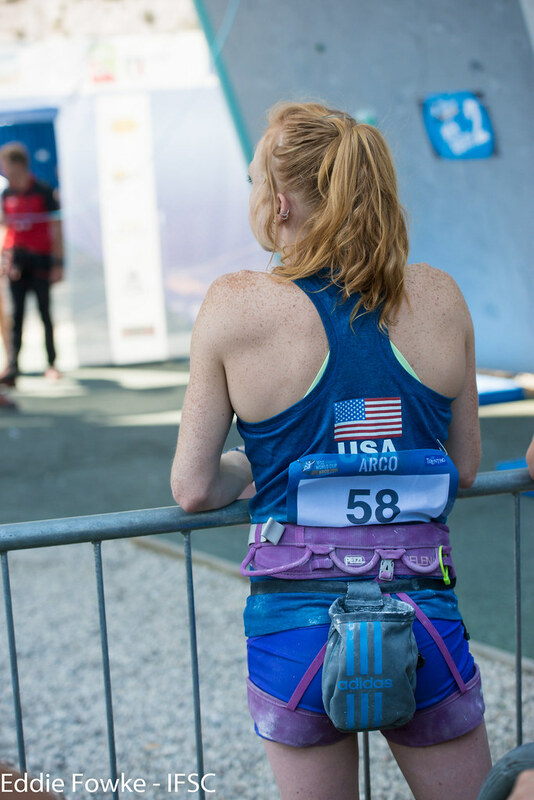 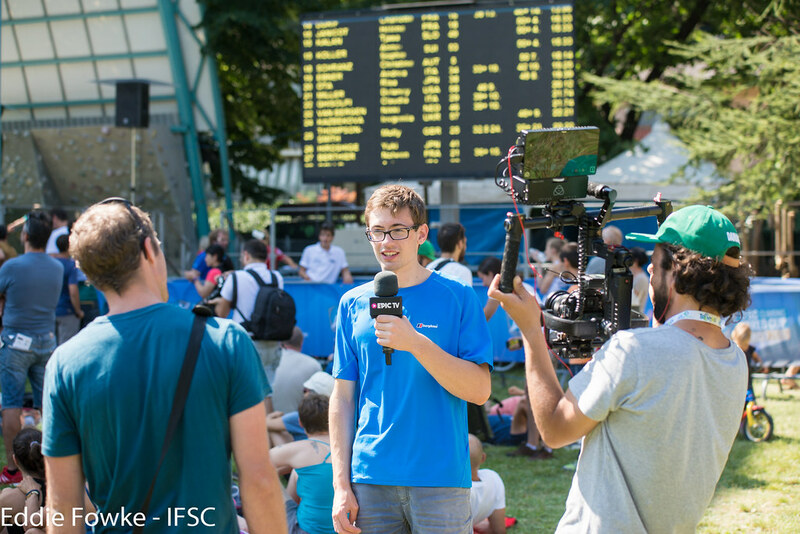 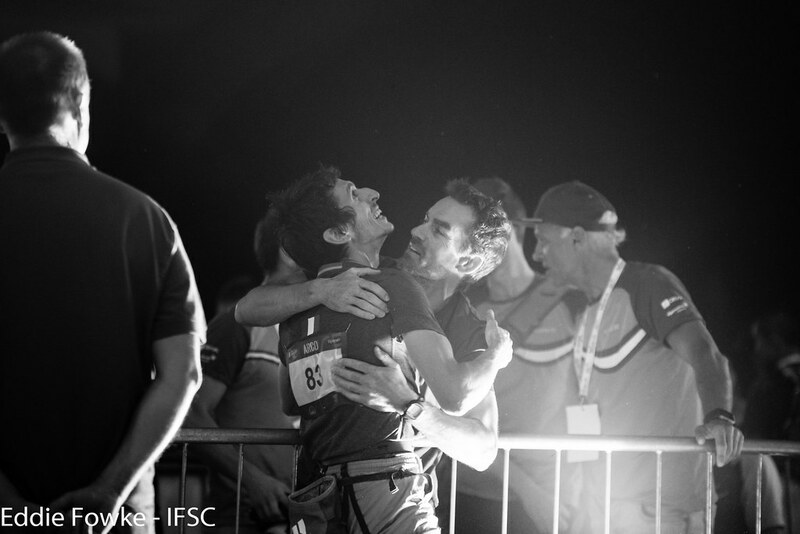 With perfect weather and in front of a devout crowd, IFSC Athletes added on to the history books at the fifth IFSC Lead and Speed World Cups of 2016. 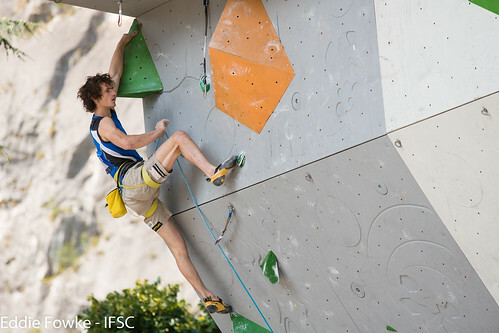 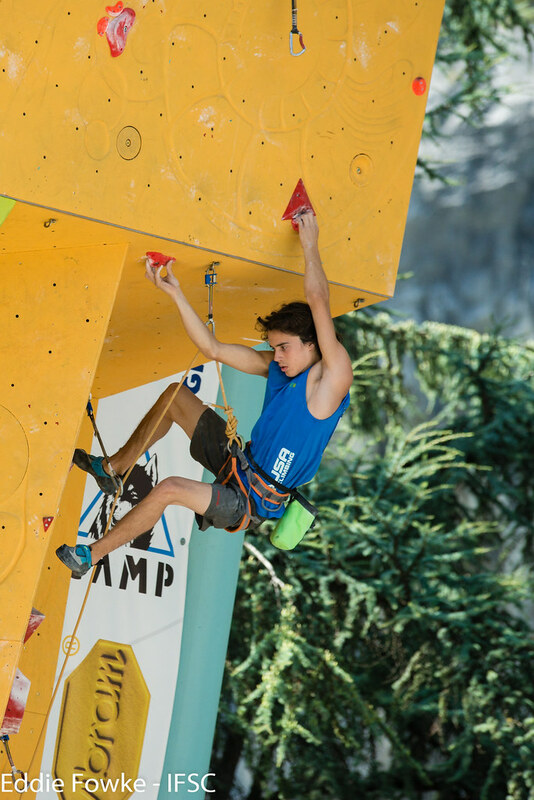 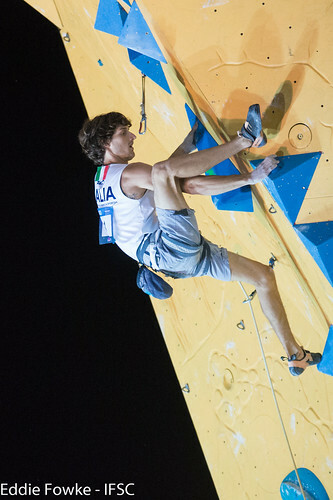 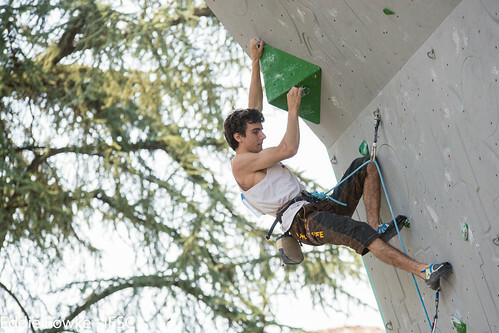 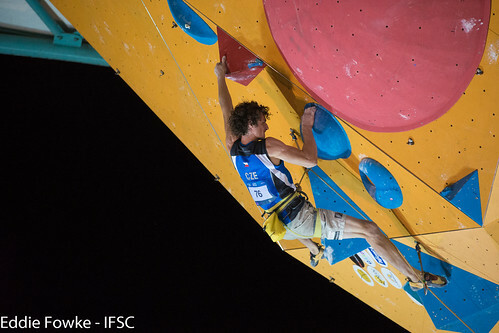 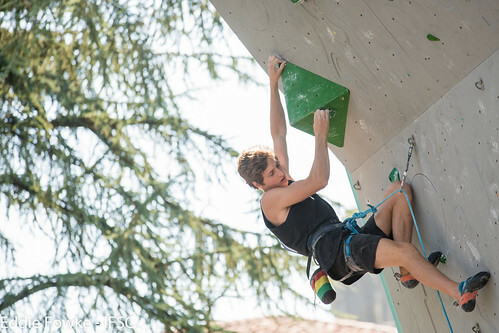 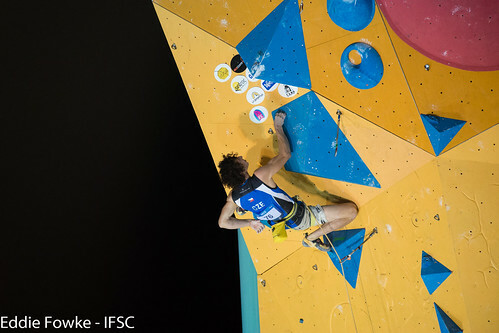 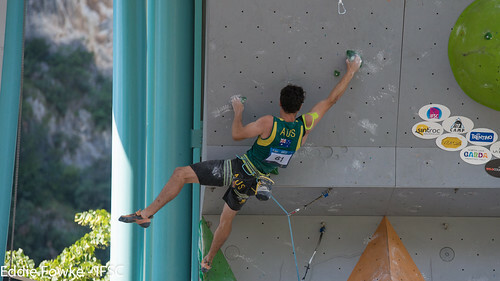 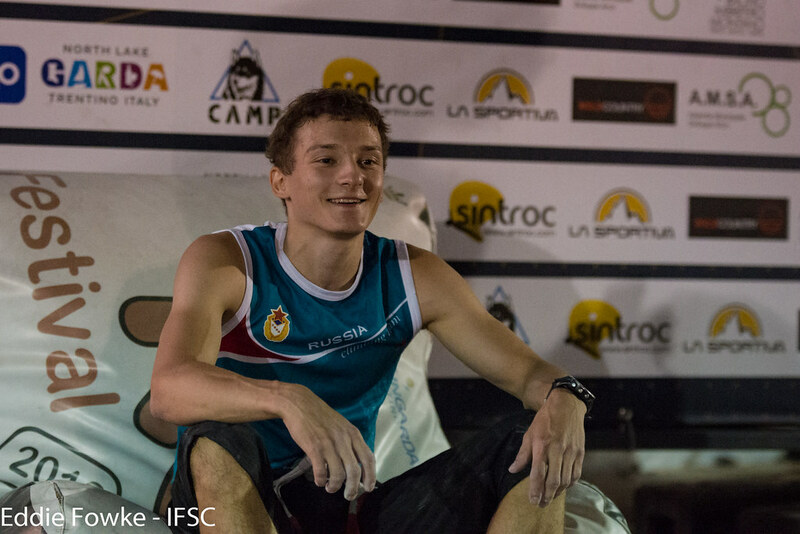 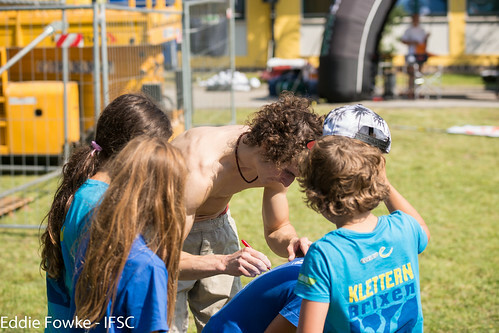 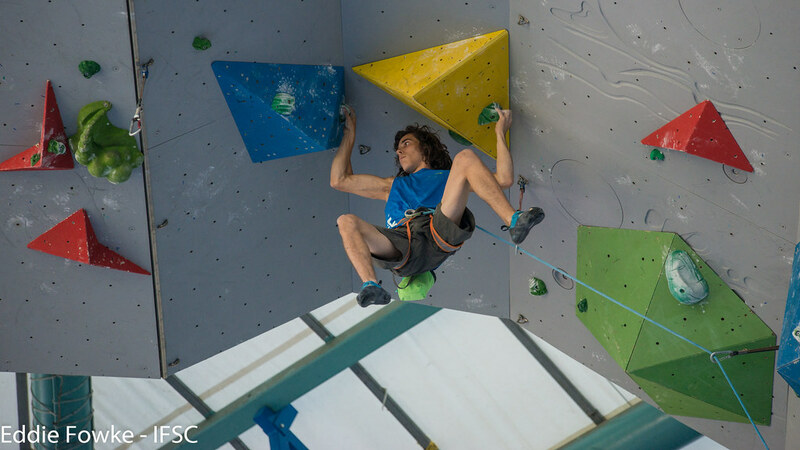 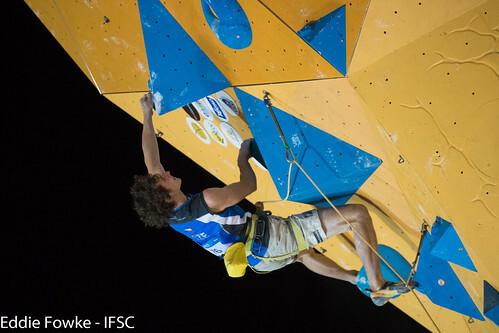 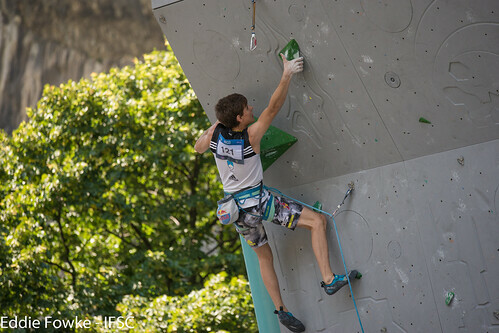 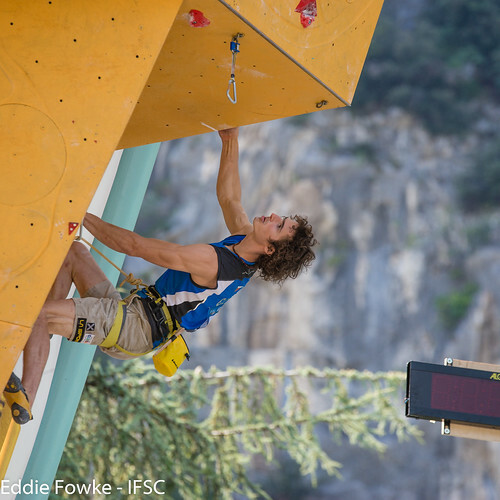 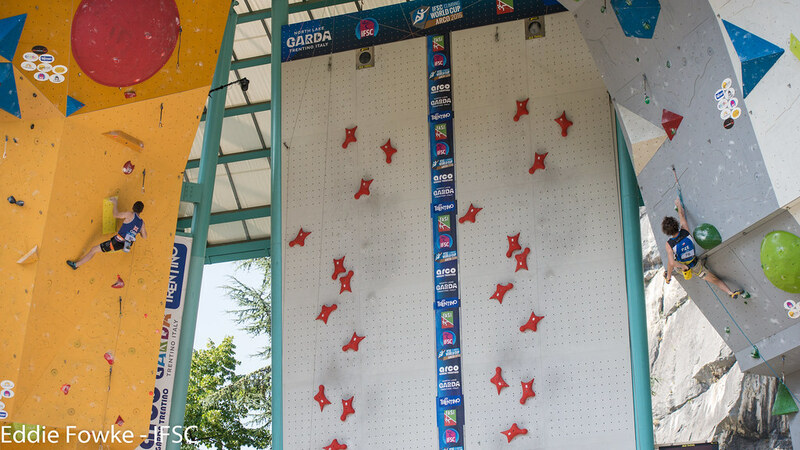 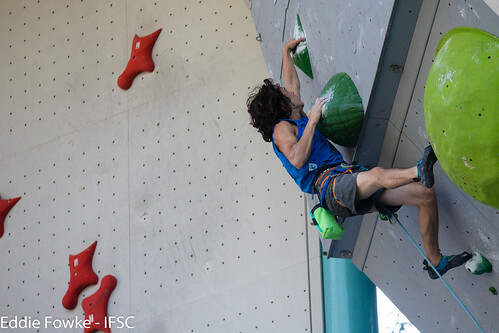 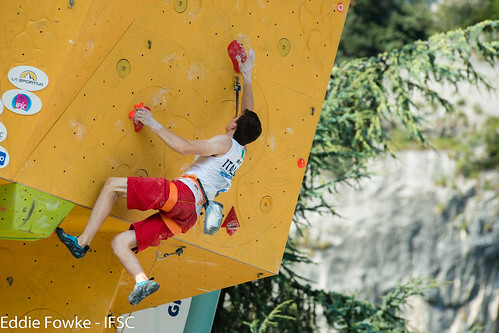 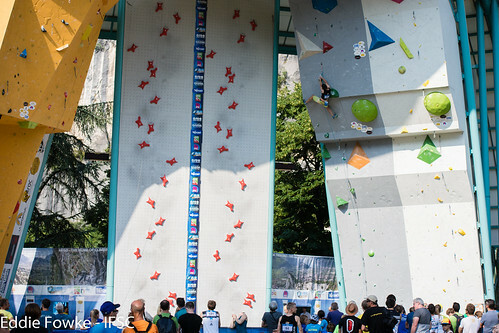 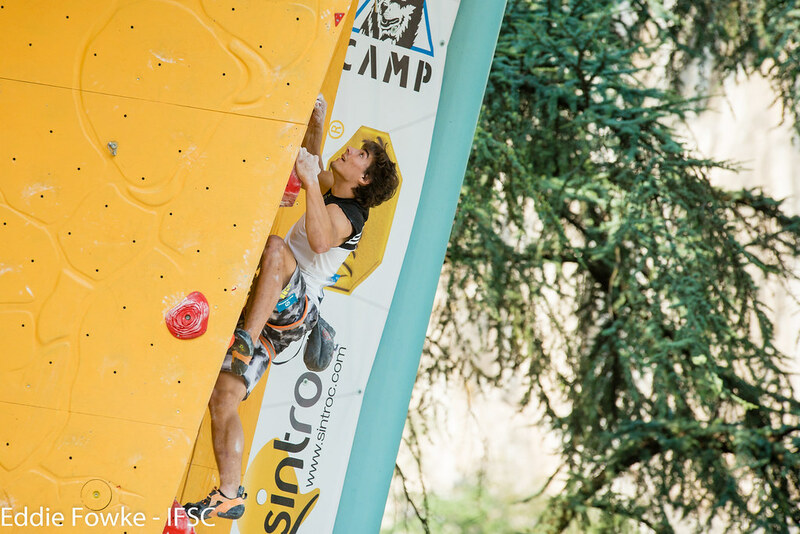 The Men's Finals route boasted a powerful middle section which tired many, including Adam Ondra of the Czech Republic. 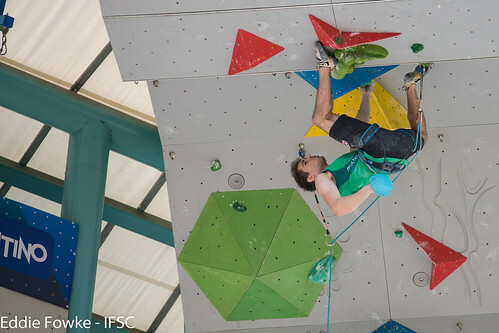 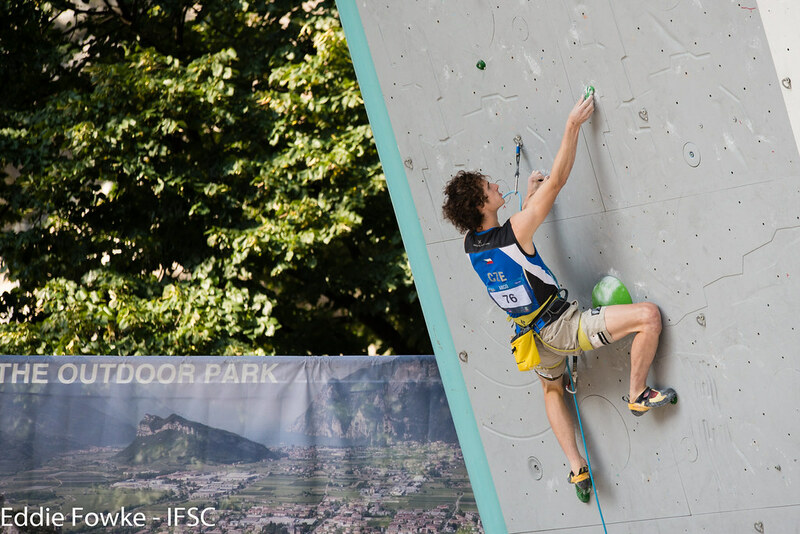 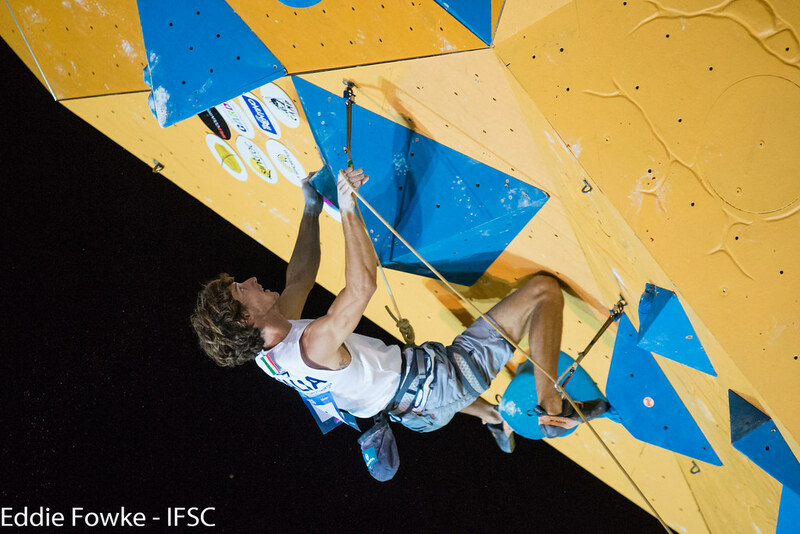 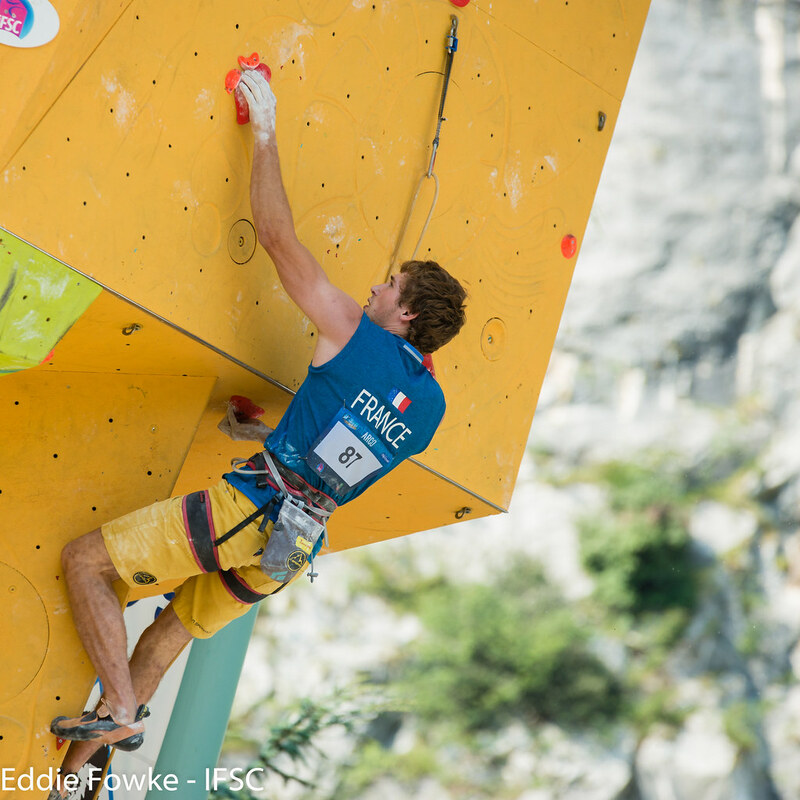 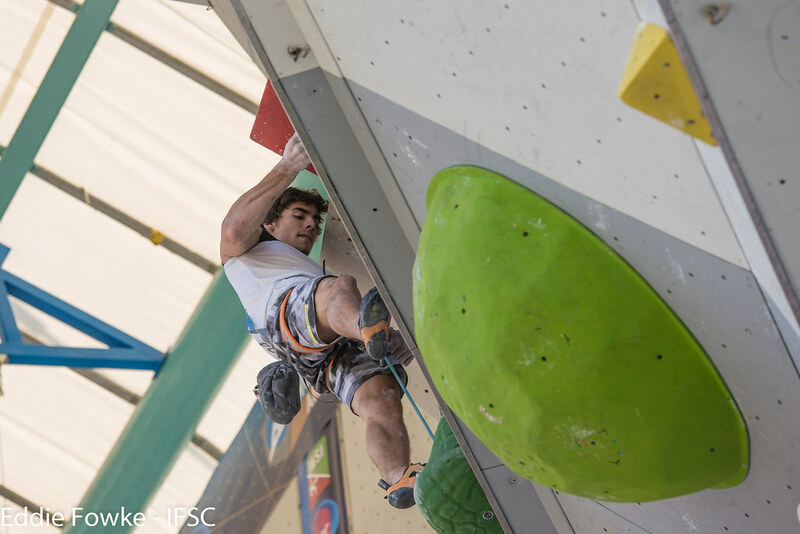 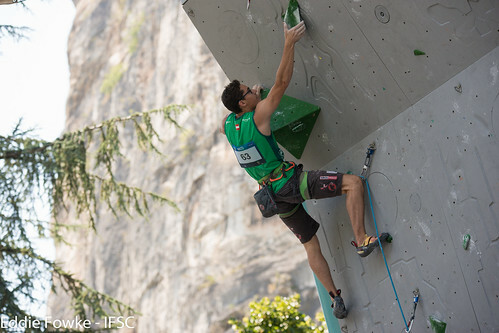 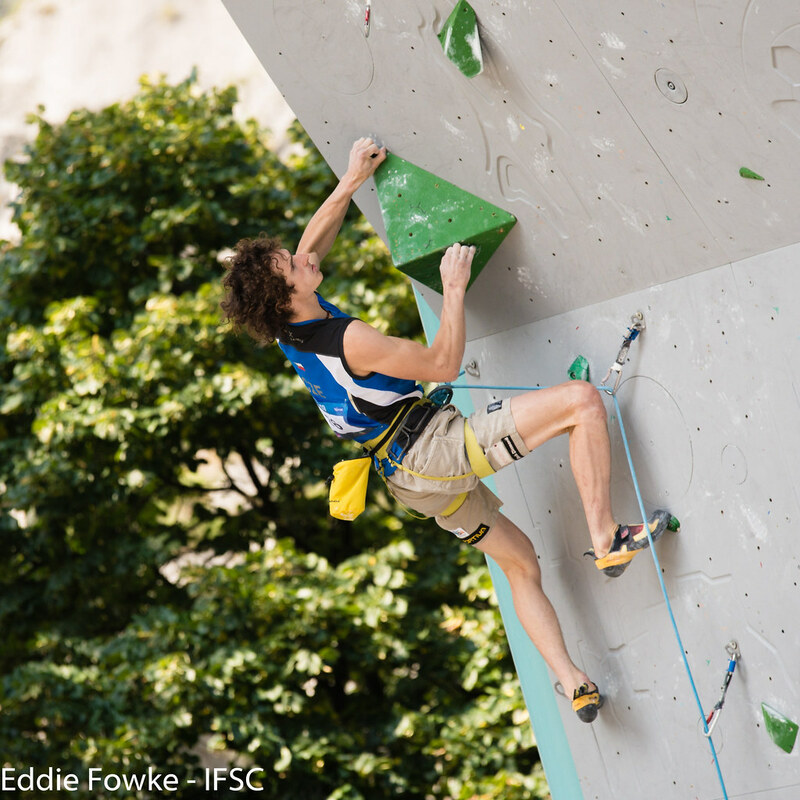 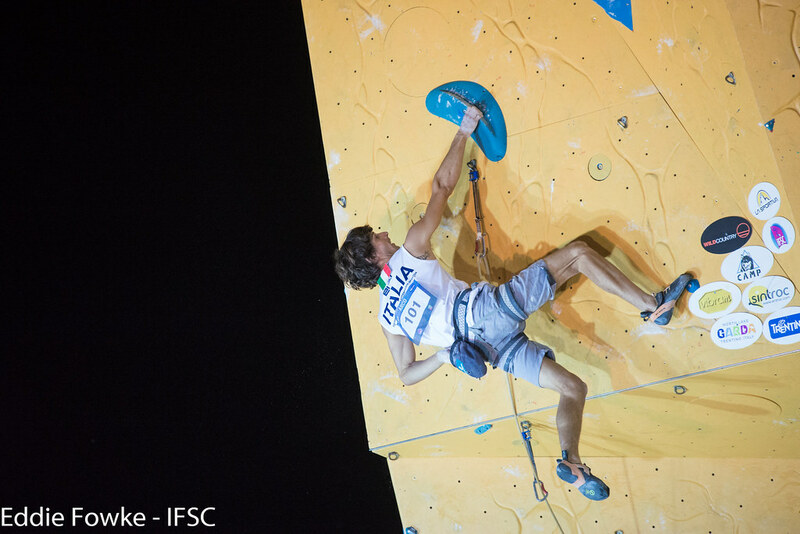 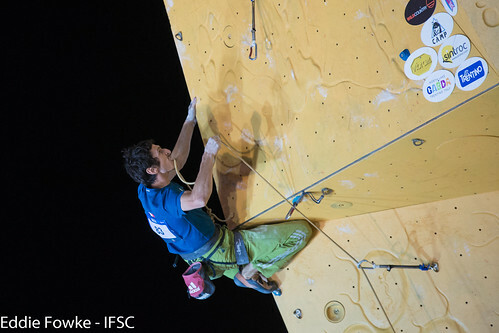 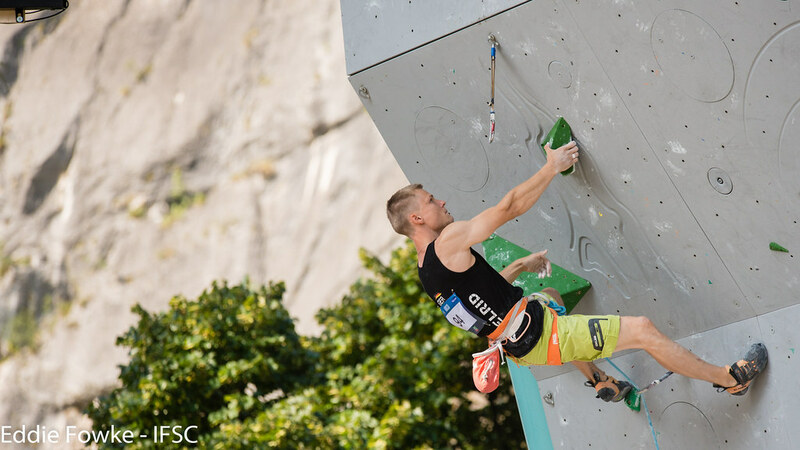 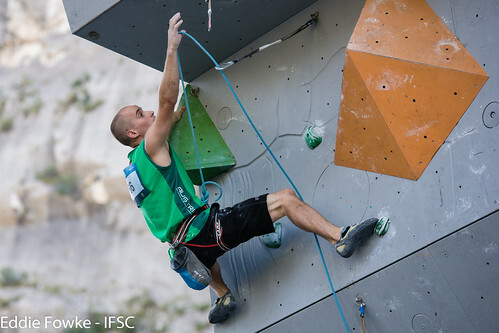 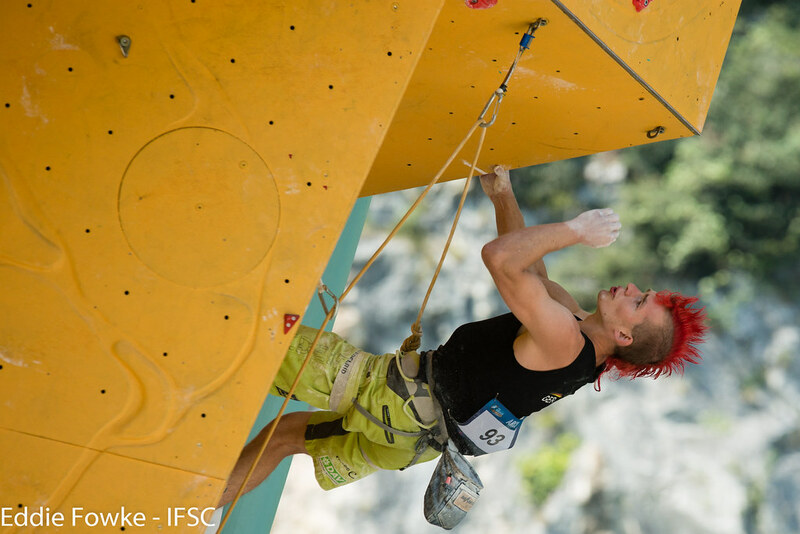 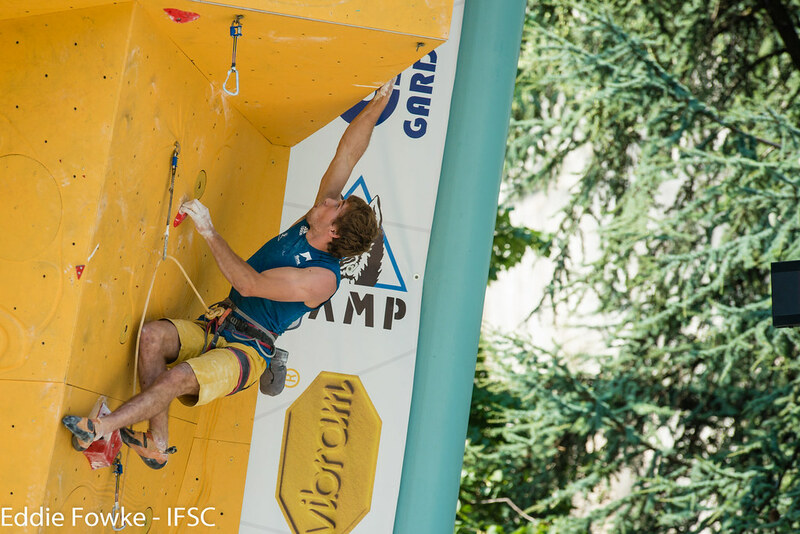 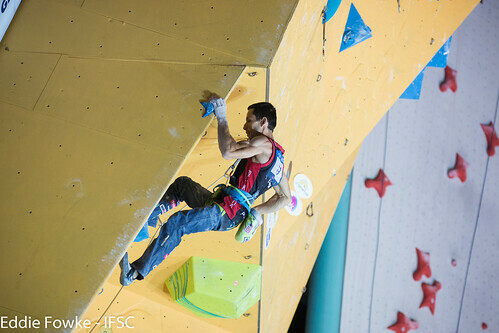 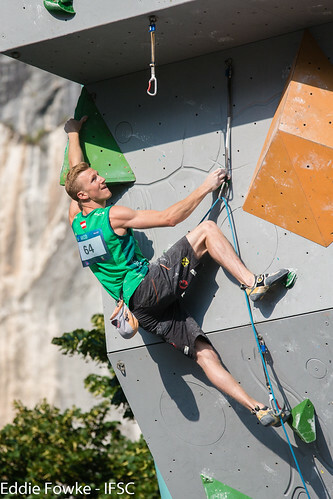 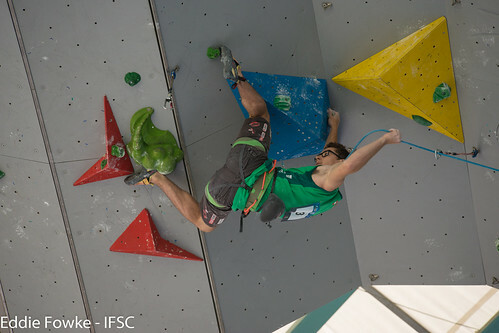 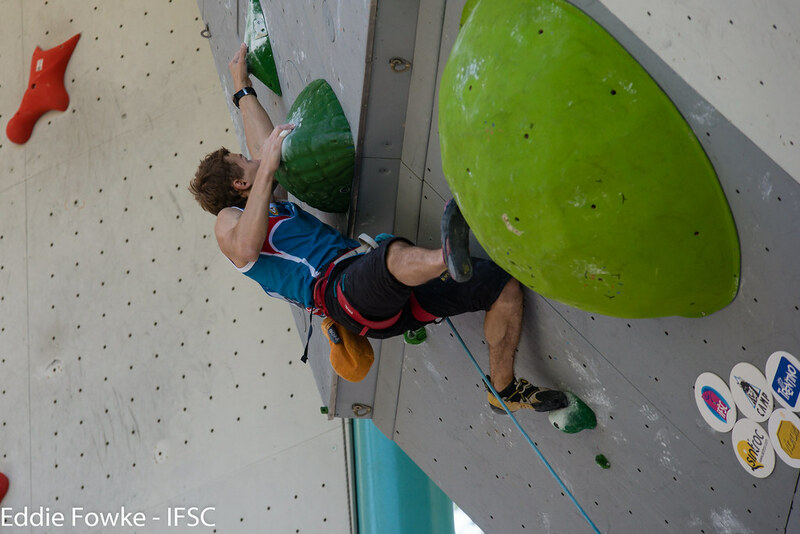 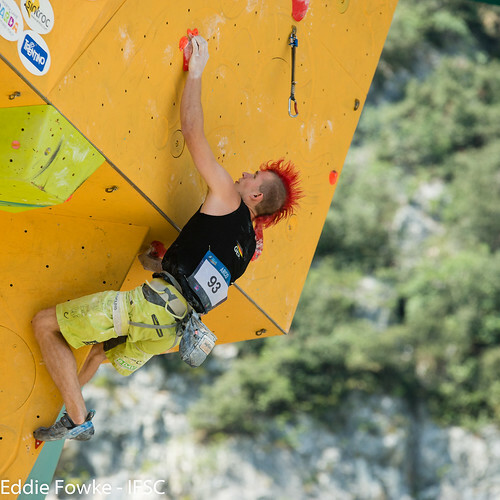 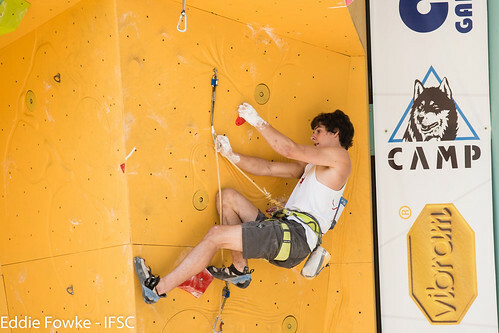 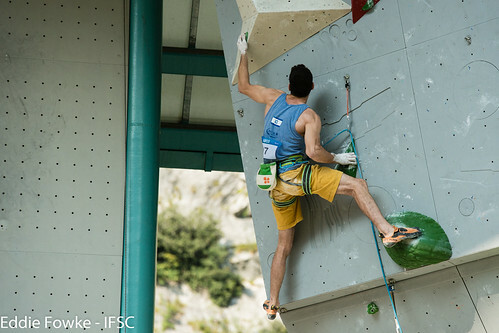 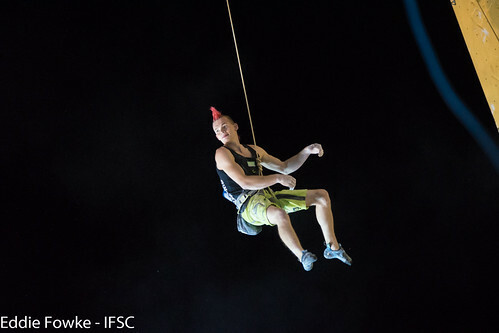 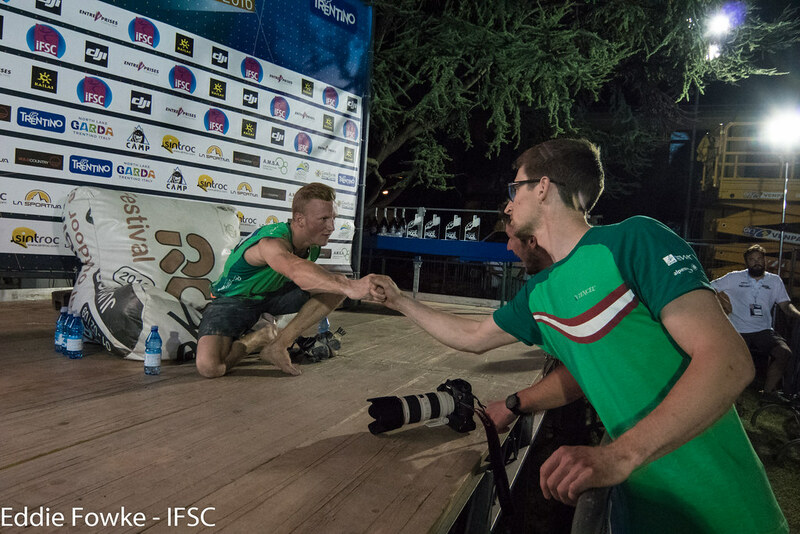 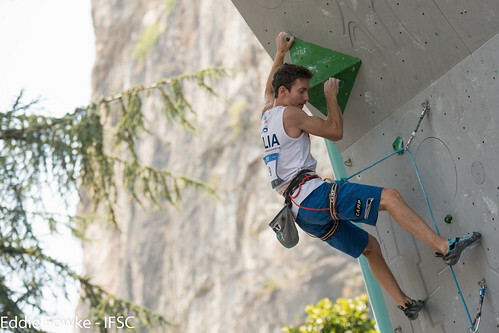 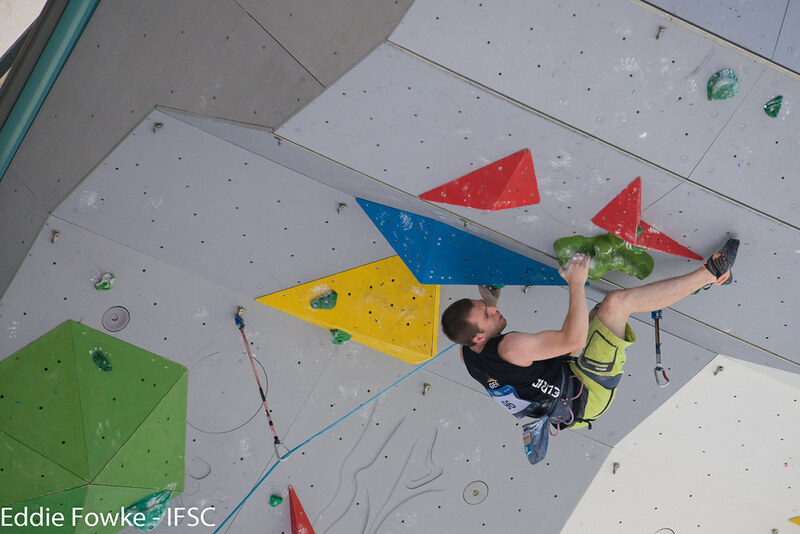 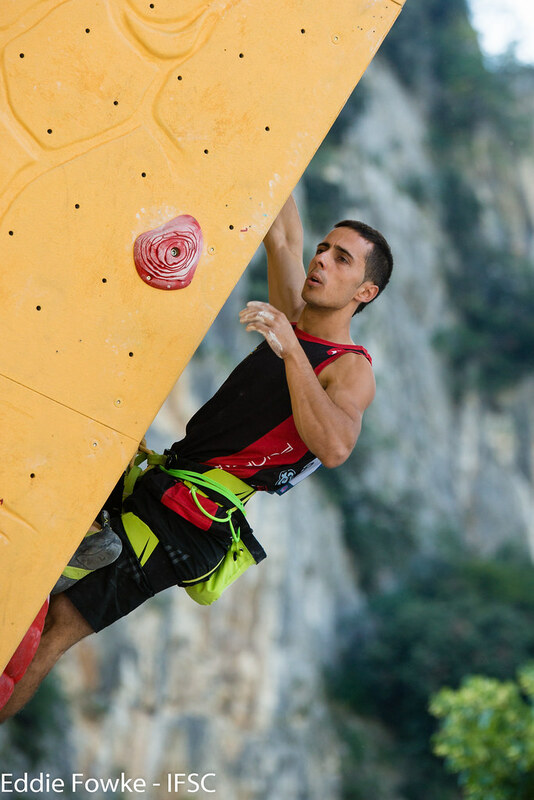 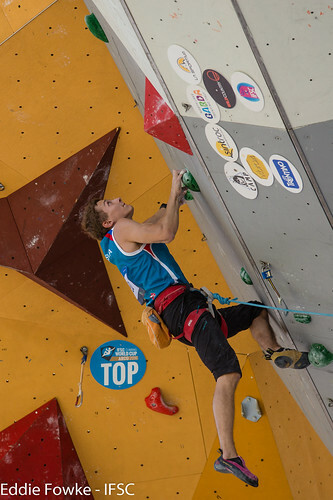 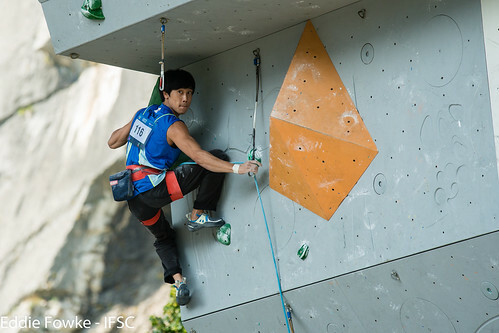 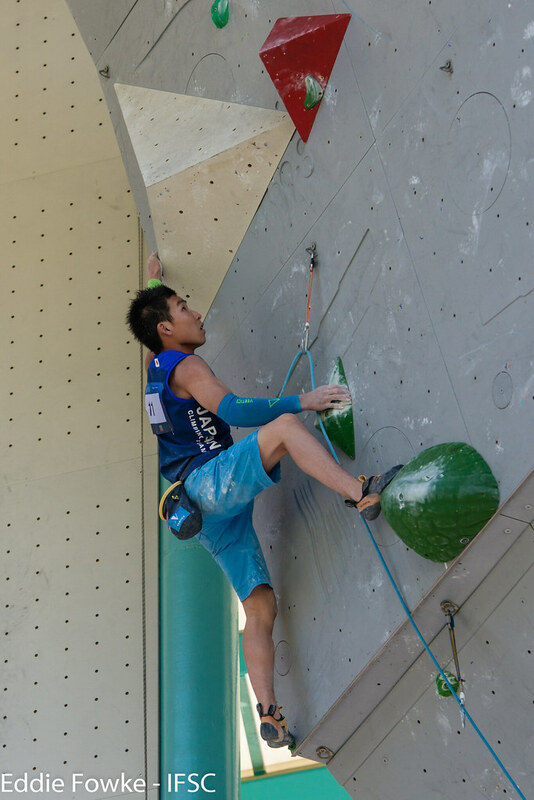 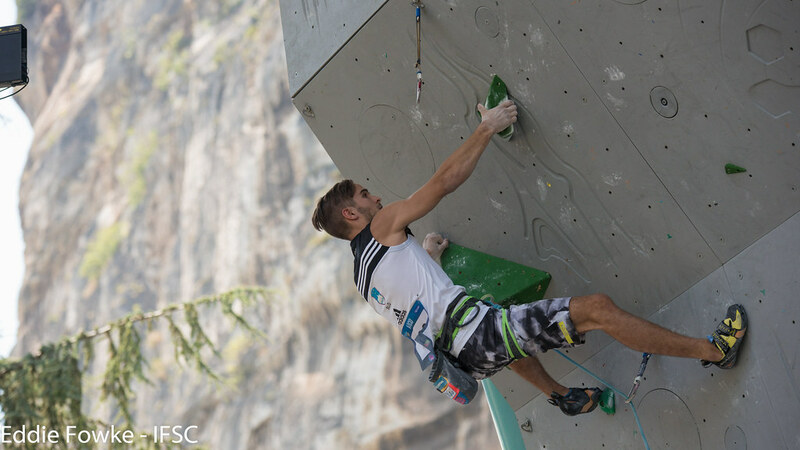 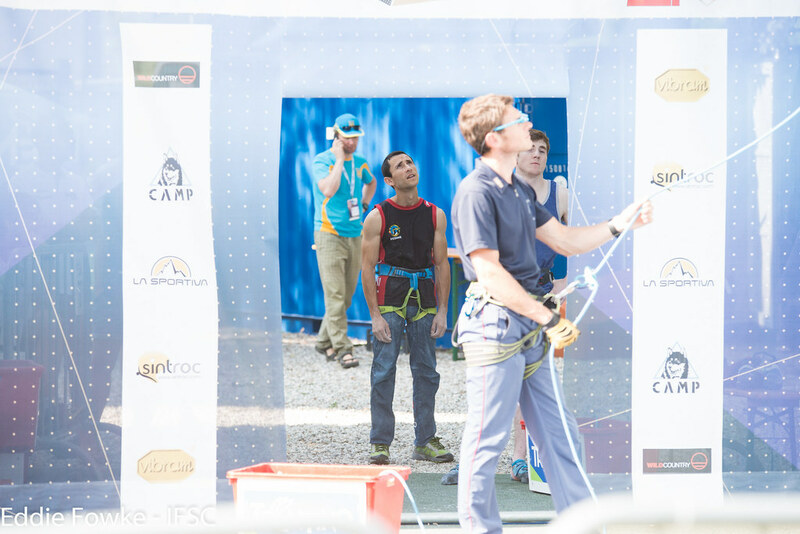 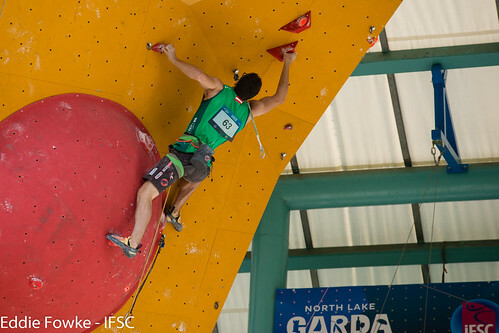 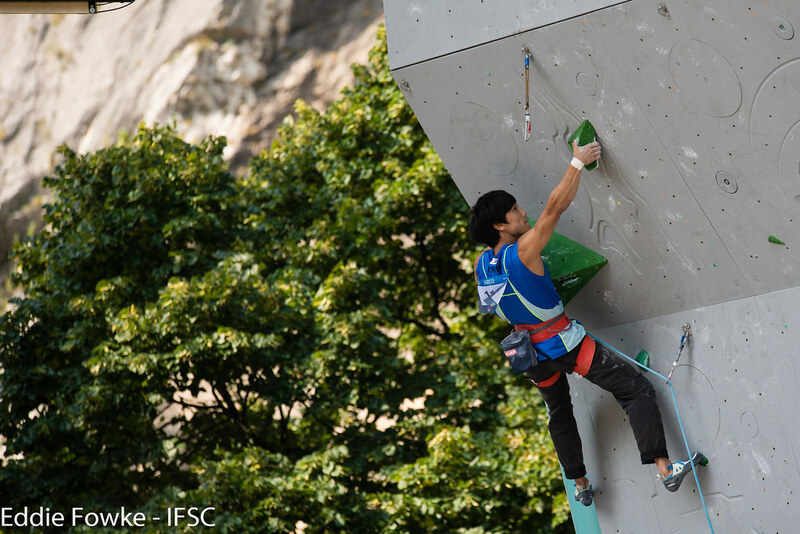 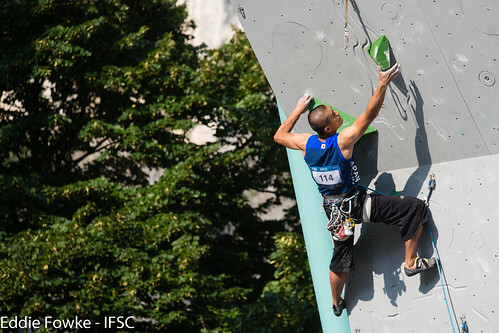 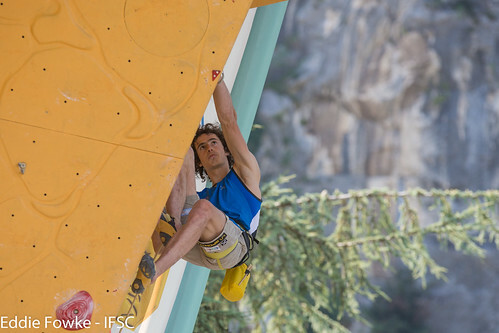 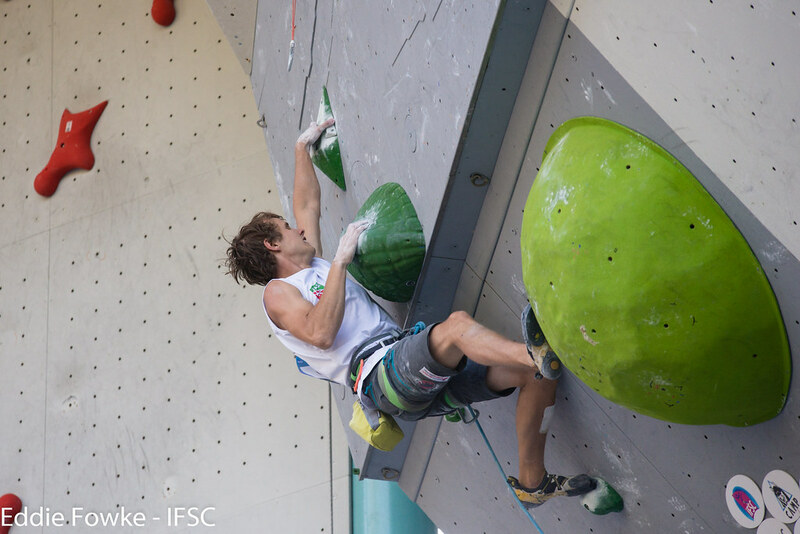 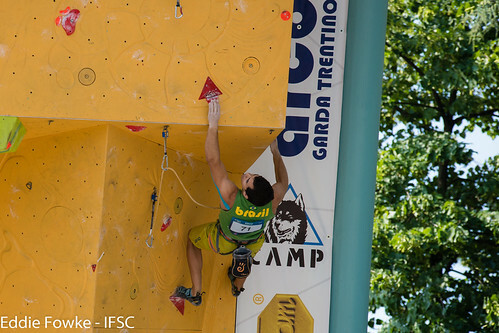 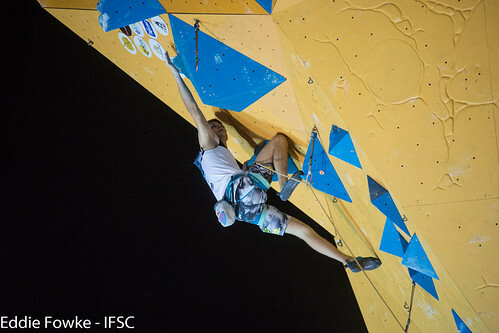 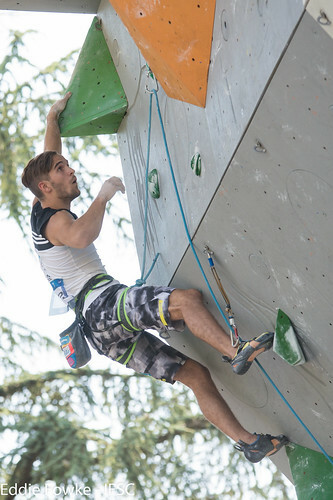 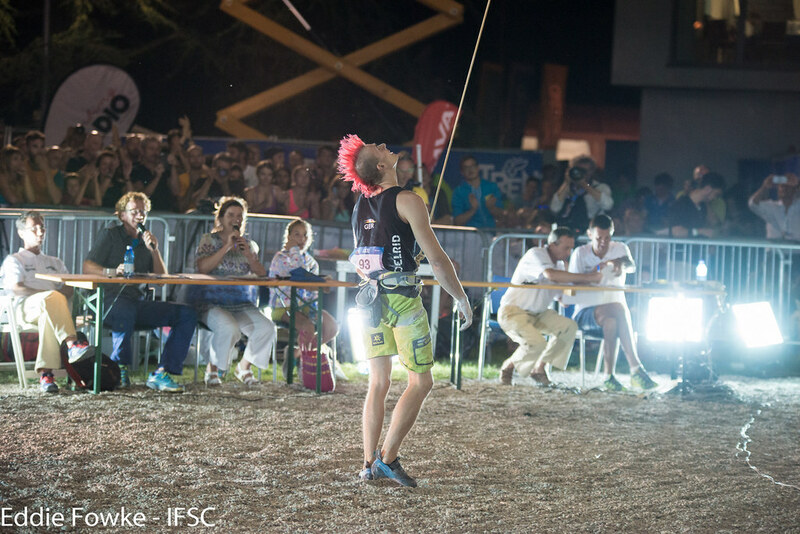 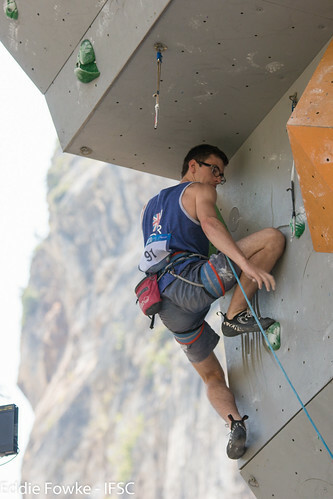 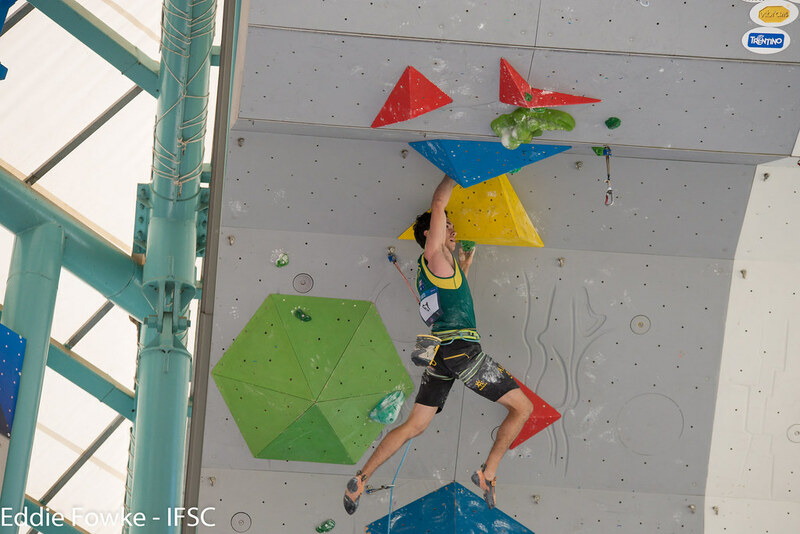 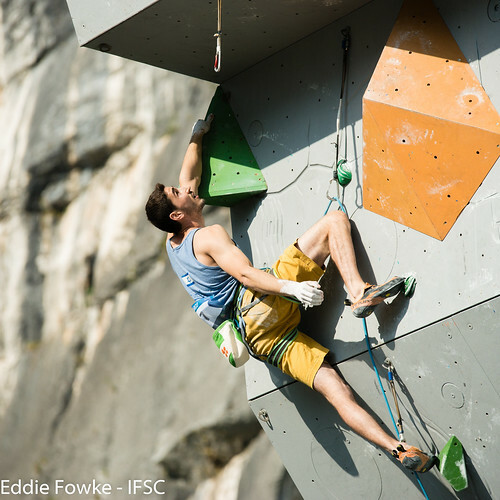 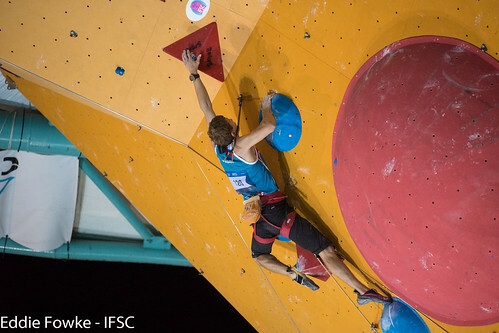 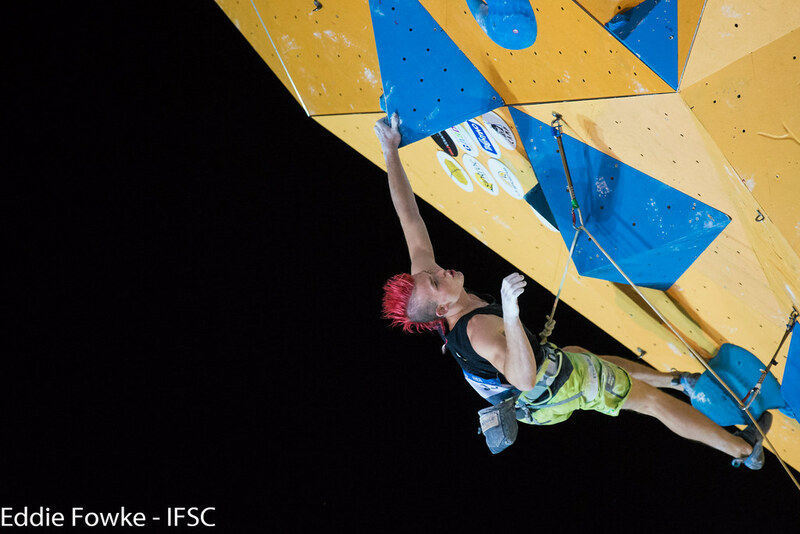 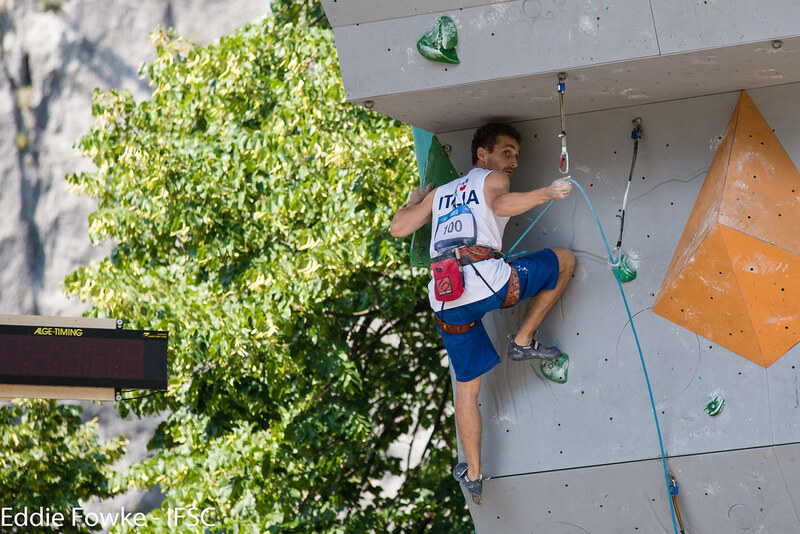 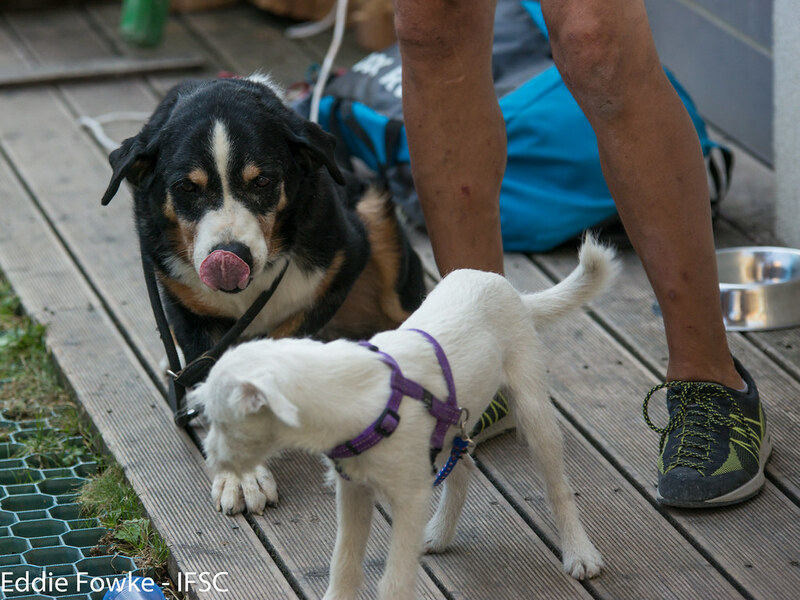 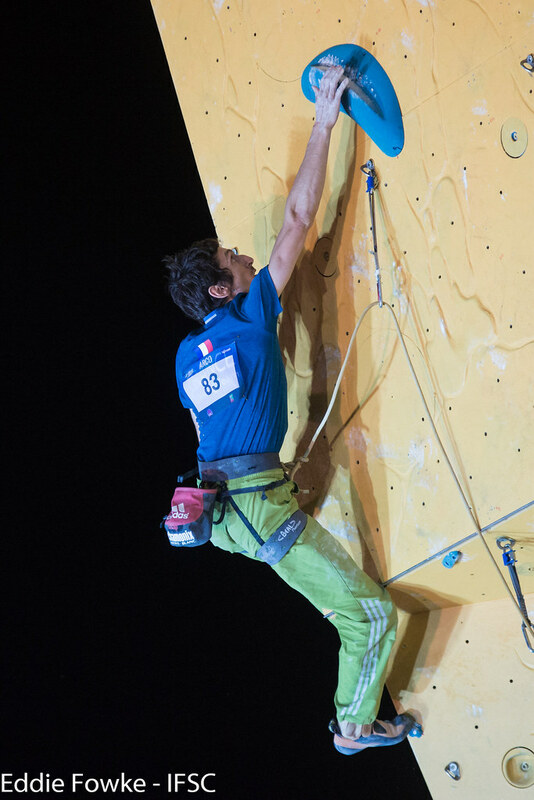 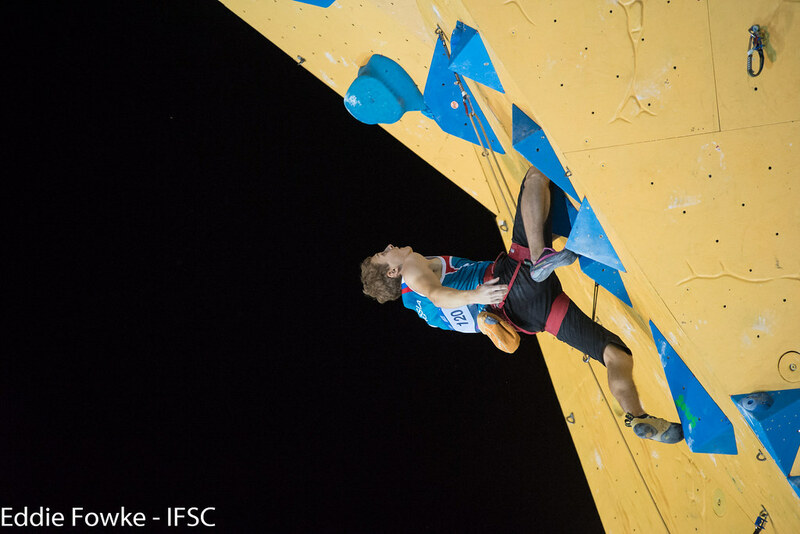 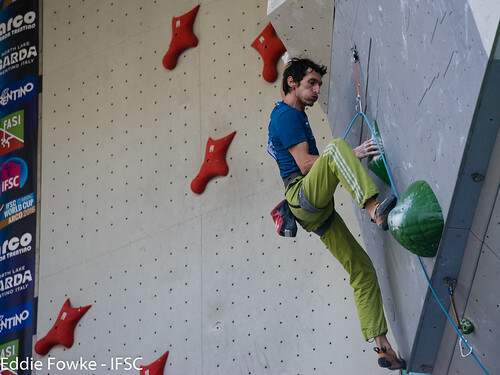 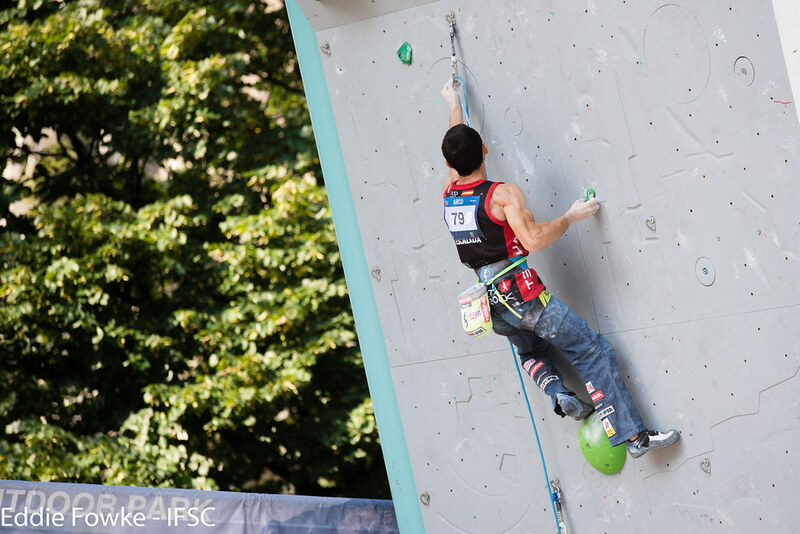 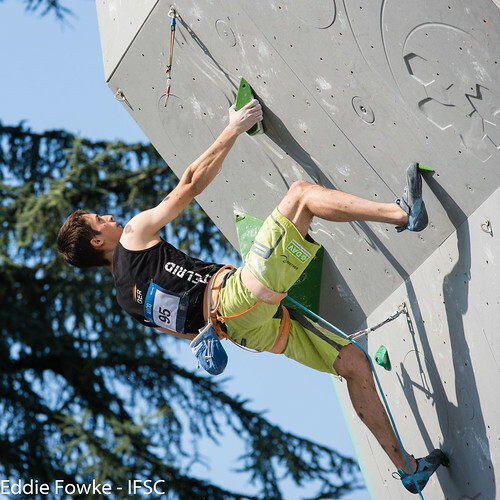 The legendary climber finished fifth in his return to the IFSC Lead World Cup series. 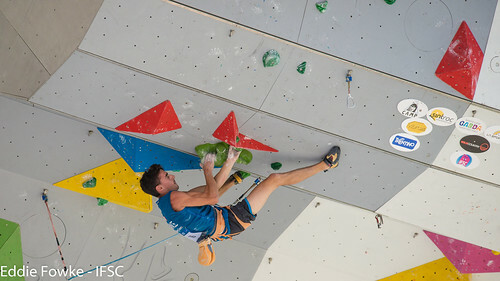 Dmitrii Fakiryanov of Russia fought the pump a bit longer to reach his first podium, and Austrian Jakob Schubert extended his 2016 Finals streak to five (out of five). In the end Desgranges popped the celebratory champagne instead of Schubert due to a Semi-Finals countback. 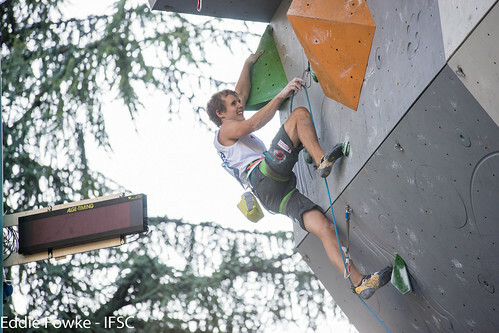 Slovenian Domen Skofic, also in the Finals, remains atop the Lead World Cup rankings. 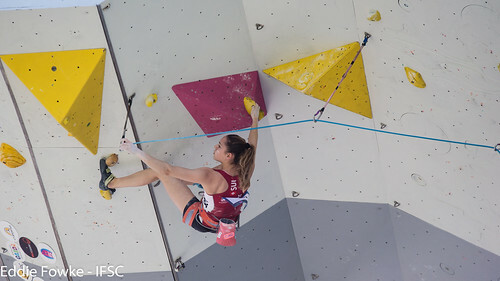 For the Women, a difficult Finals route kept many elite Athletes at bay. 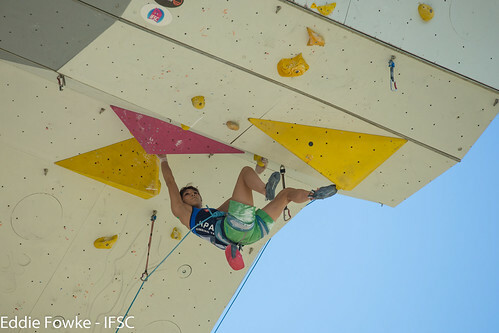 Jain Kim of Korea was the first to clip a draw and set the high point at the top panel. Her mark stood the entire hour, until the last Woman finalist: Verhoeven. The twenty-year-old has won multiple Lead World Cup medals in her career, but never Gold. On Saturday, she wowed a large, appreciateive crowd in Arco with an inspiring flash that left many speechless and the rest roaring with applause. 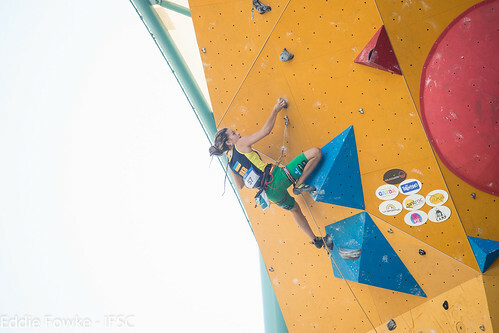 Janja Garnbret of Slovenia maintained her place atop the rankings with a third-place finish. 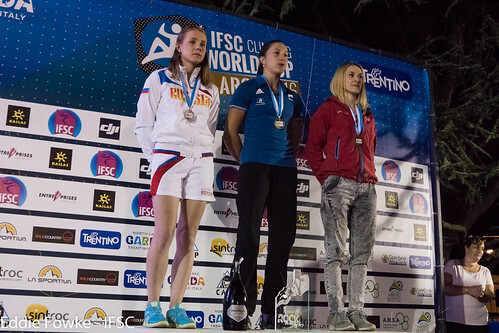 Iuliia Kaplina of Russia started off the year with two Golds, and she was quick again in Arco. The story of the Speed Finals, though, was the record setting performance of Jaubert, who had previously won two Golds of her own after ending Kaplina's streak in Chamonix. After matching Anna Brozek of Poland in the Quarter-Final, Jaubert flew out of the gates in the rerun to continue her bid for the top of the podium. In the final race, it was once again Jaubert versus Kaplina. 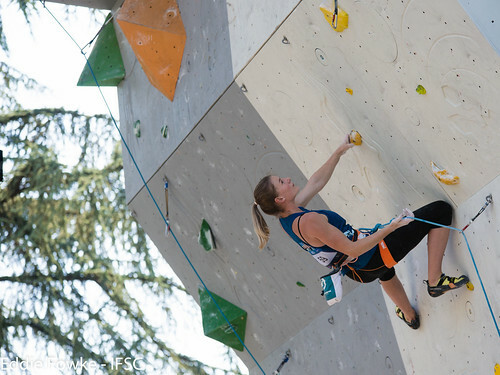 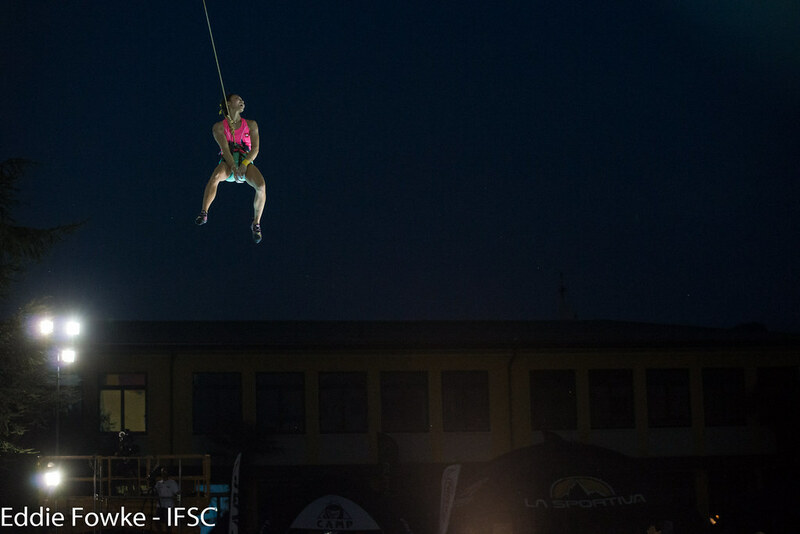 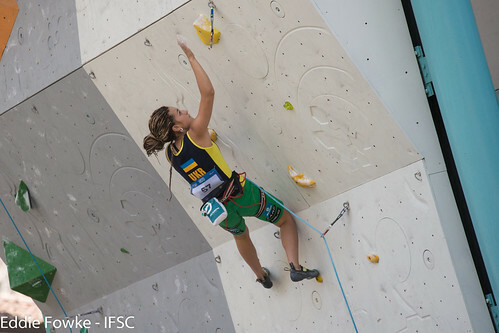 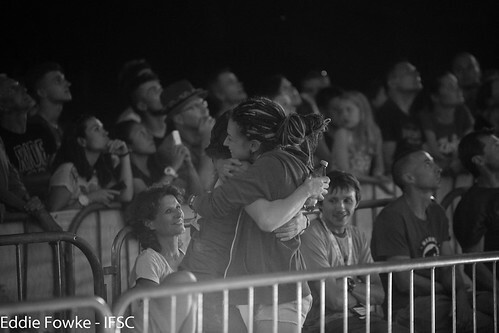 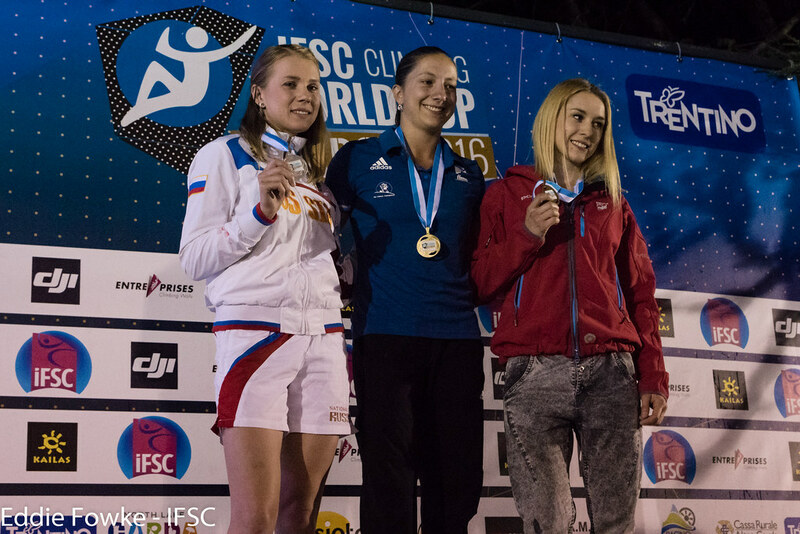 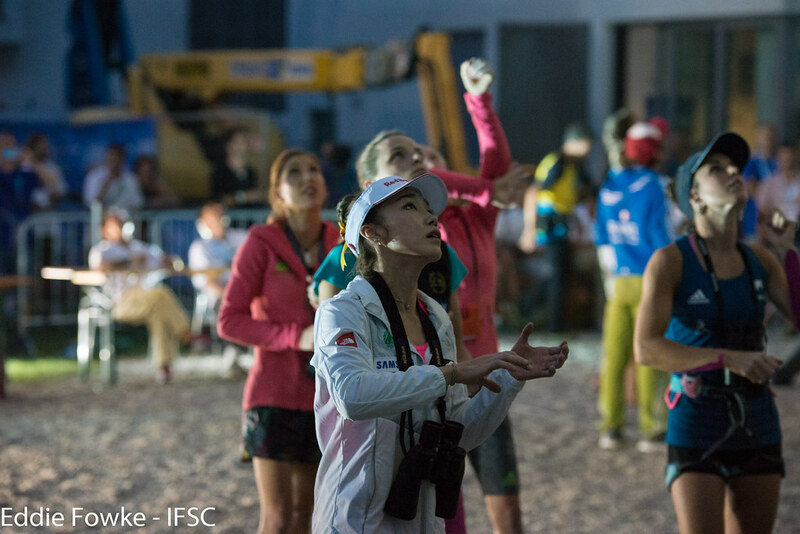 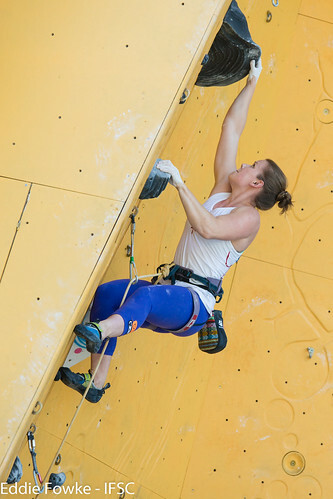 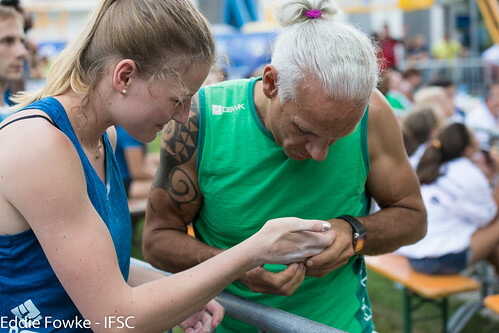 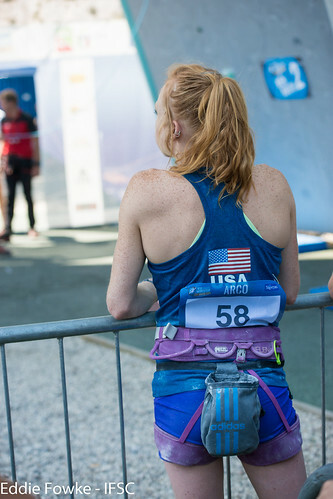 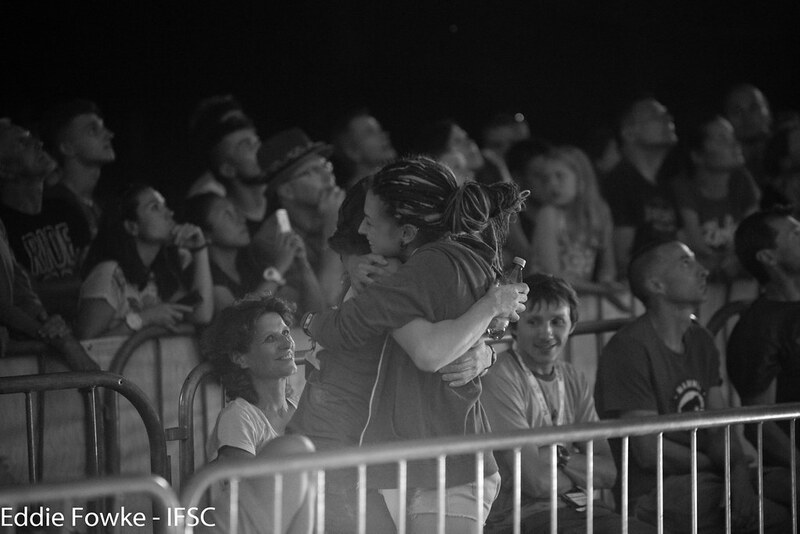 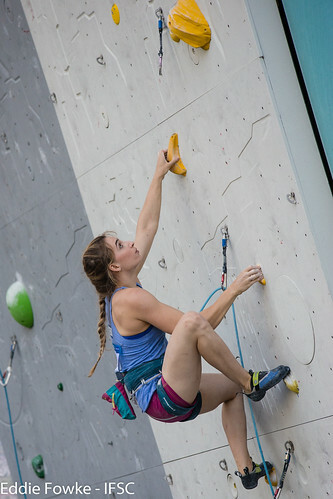 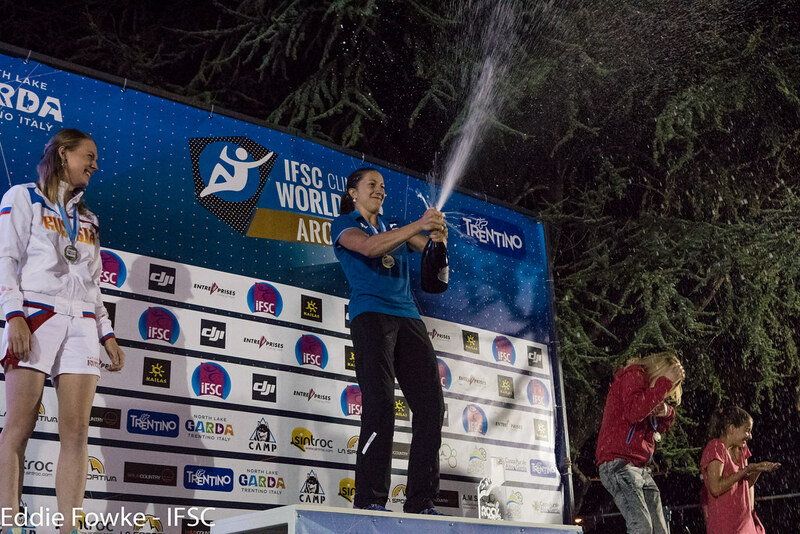 A misstep from Kaplina handed Jaubert the Gold, and she became the first Woman to win three consecutive IFSC Speed World Cups. 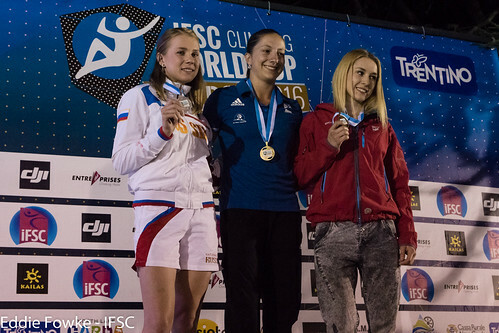 Klaudia Buczek of Poland rounded out the podium. 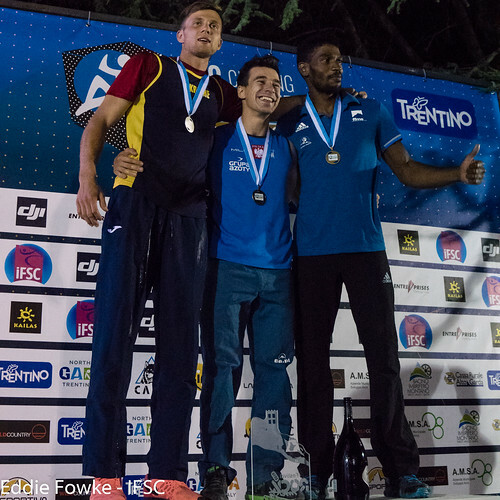 For the Men, Dzienski extended his Gold streak to three as well. 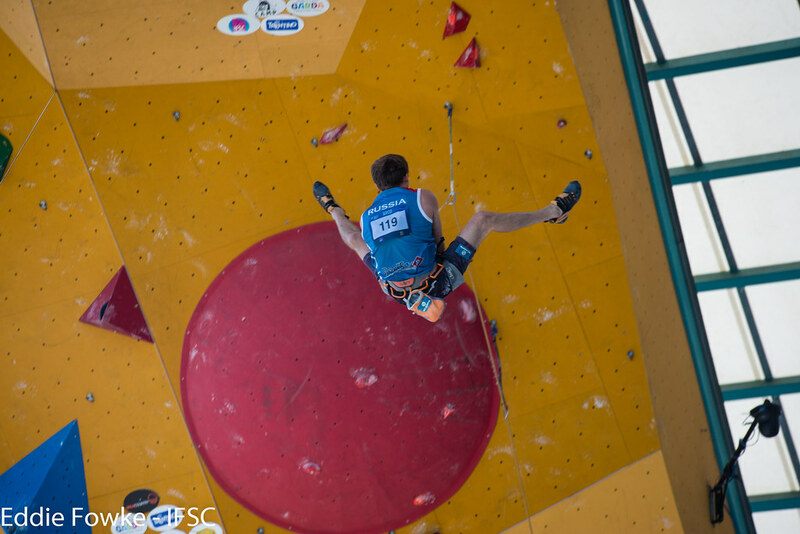 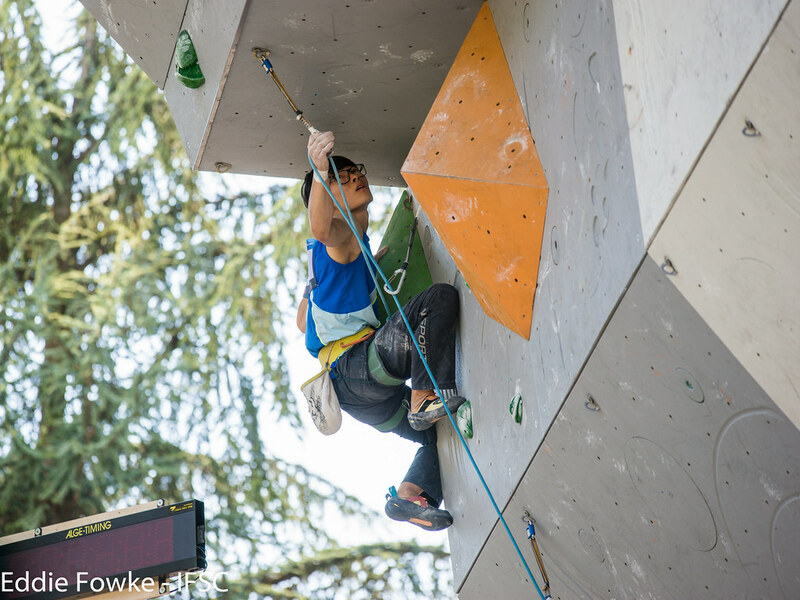 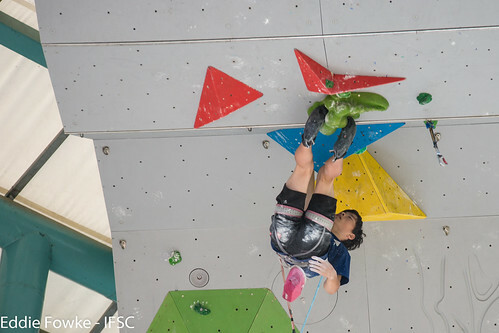 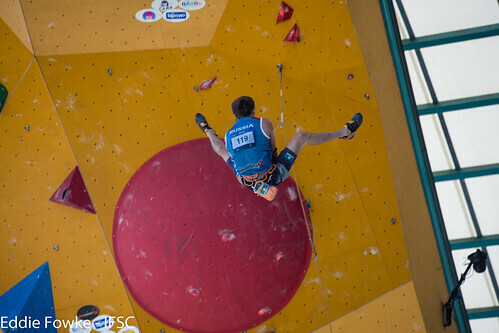 Only two other Men have won three IFSC Speed World Cups in a single season (Qixin Zhong of China in 2015 and Russian Stanislav Kokorin of 2013), and Dzienski joined the elite club with a blistering 5.76 in the final match against Danyil Boldyrev. 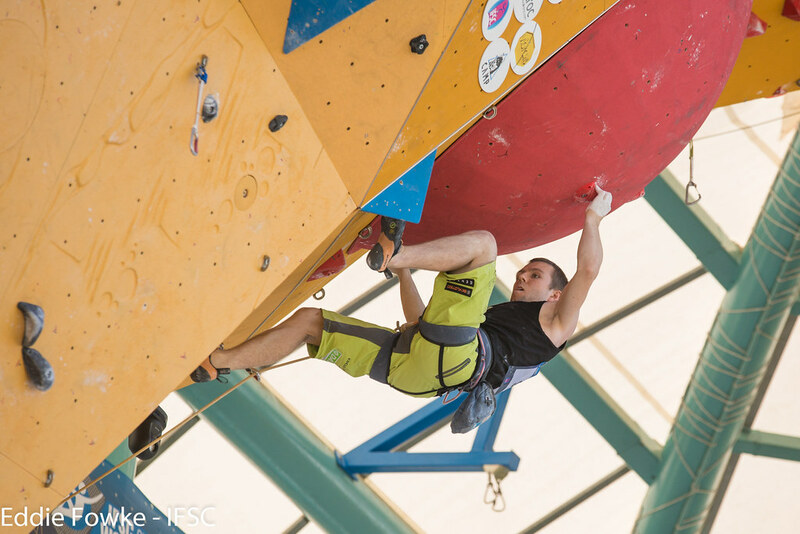 The Ukranian veteran and current Speed World Record holder climbed twice against Bassa Mawem in the Semi-Final due to a technical incident, and he twice bested the fast Frenchman. 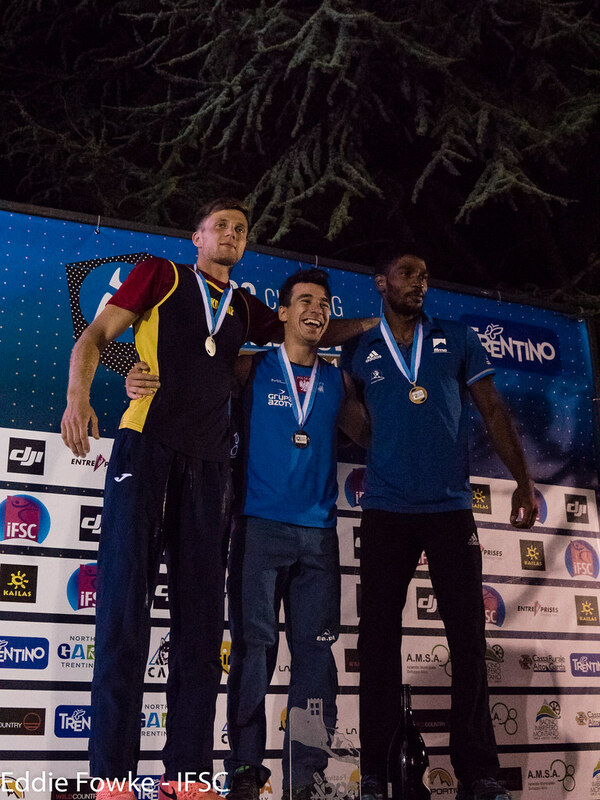 Mawem kept it together in the Small-Final against Arco-favourite Leonardo Gontero of Italy for Bronze.